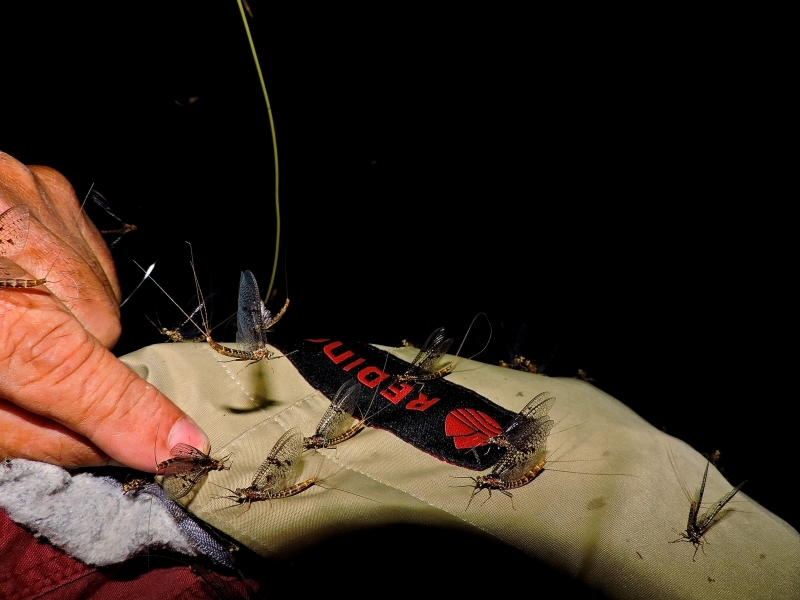 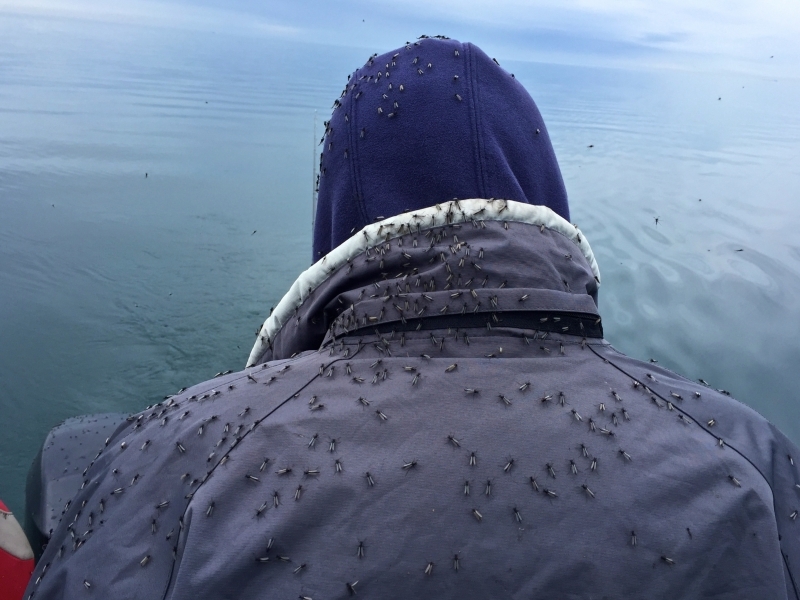 When the bugs start hatching, it’s time to tie one on! 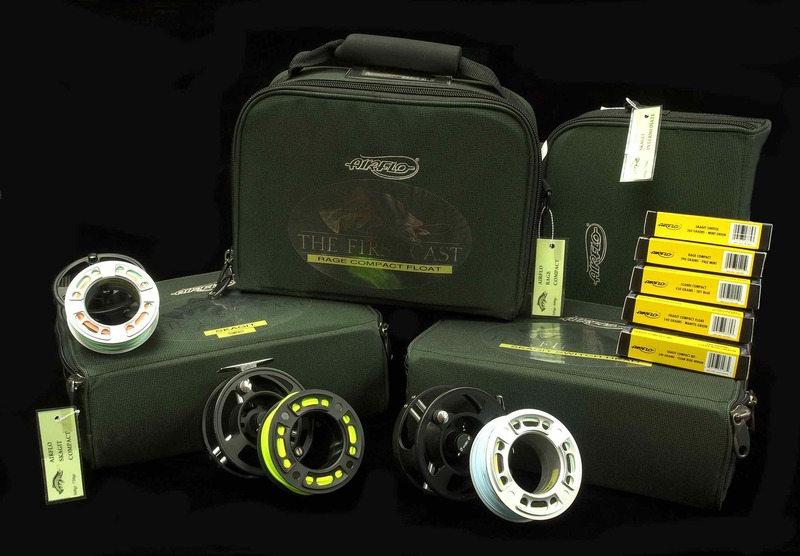 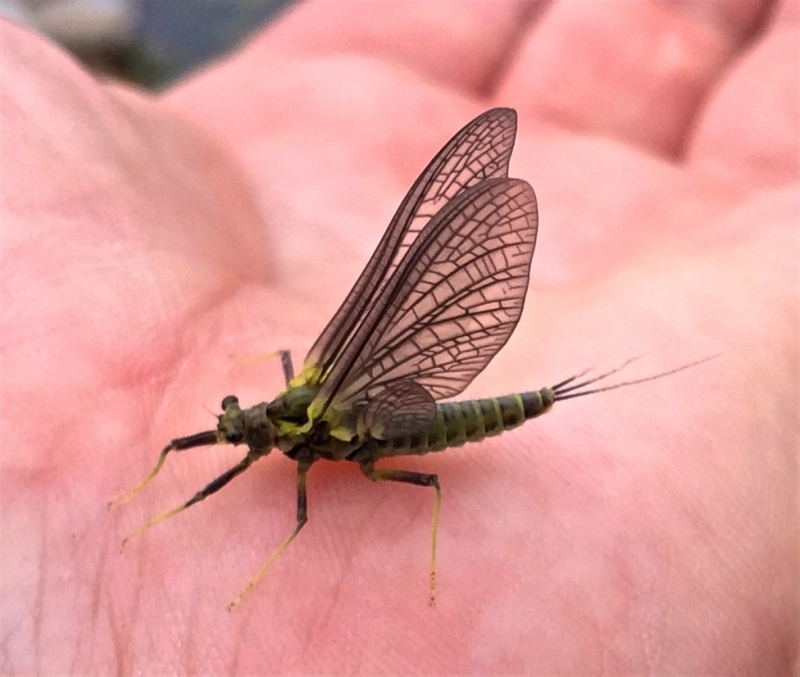 Matching the hatch is fly-fishing gospel for stream trout anglers, not to mention the stuff of legend when you hit a hatch just right. 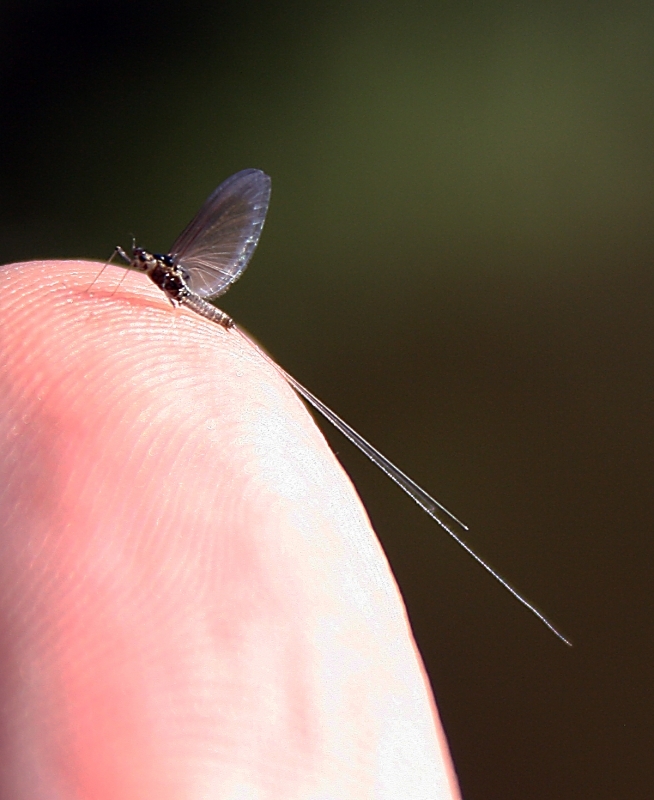 Nothing beats being on the river, after all, and knowing exactly which imitation will fool the fish. 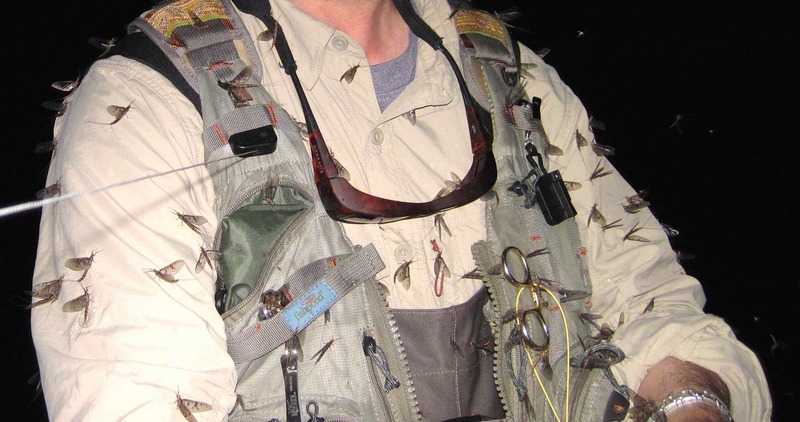 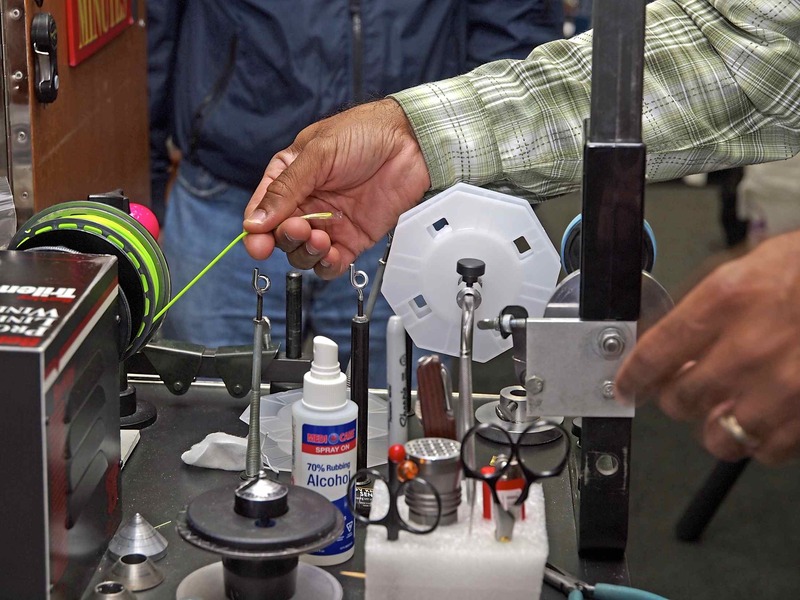 While all fly anglers dream about such a scenario, the unfortunate reality is that many either miss the timing of the hatch or fumble at the pivotal moment. 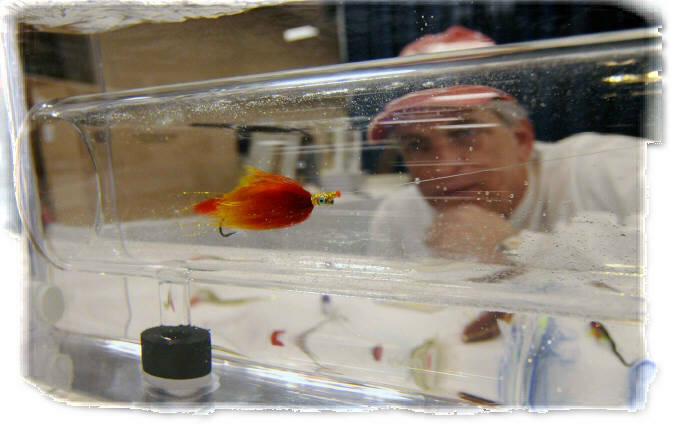 Here’s how to avoid disappointment. 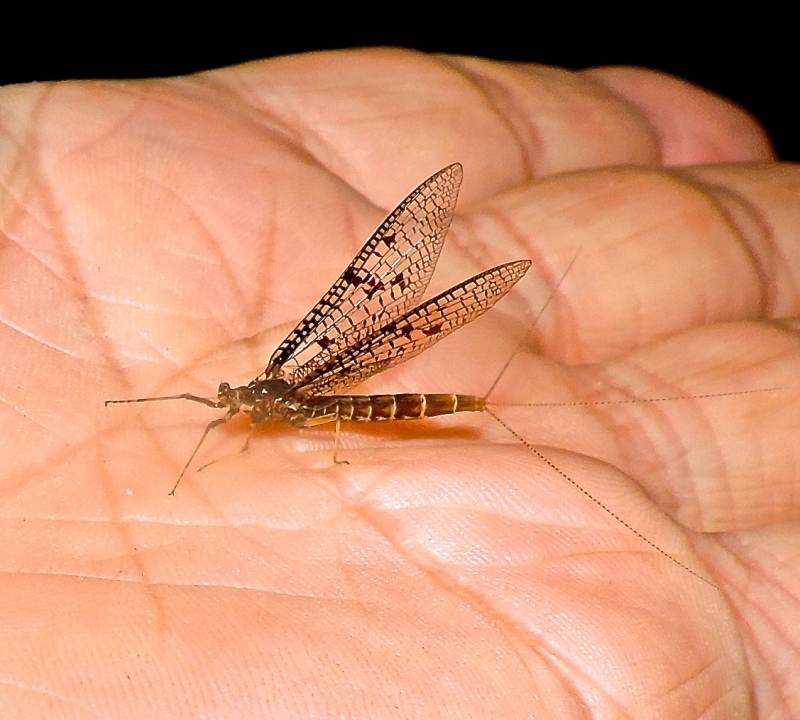 Fly-fishing literature is rife with tales of famous hatches such as the Hendrickson, green drake and golden stonefly. 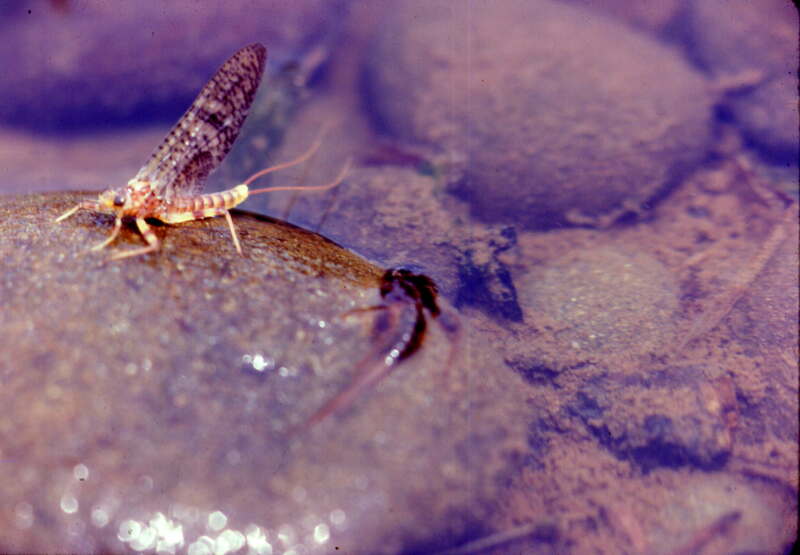 However, many of Canada’s most famous trout fisheries are in regions where human activity has significantly altered the environment. 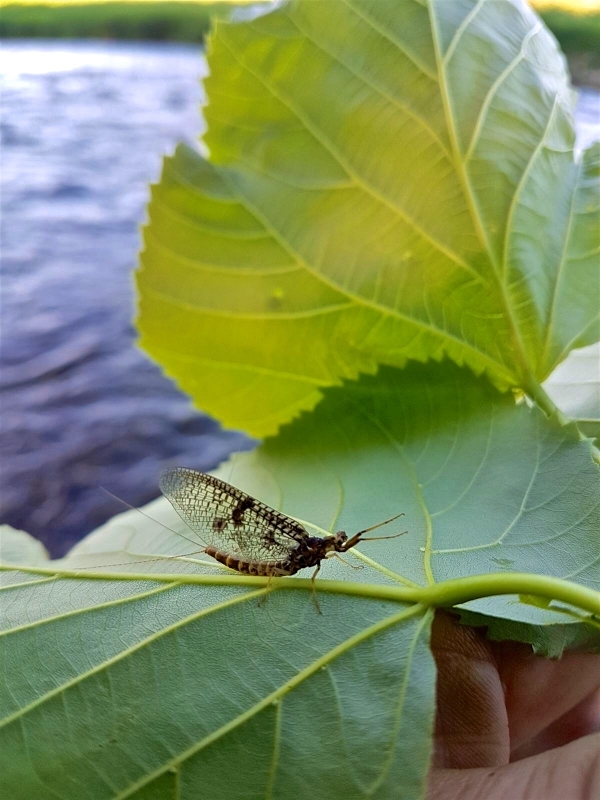 In aquatic biology, one rule of thumb is that as the abundance of life increases in a given system, the variety of insect species decreases. 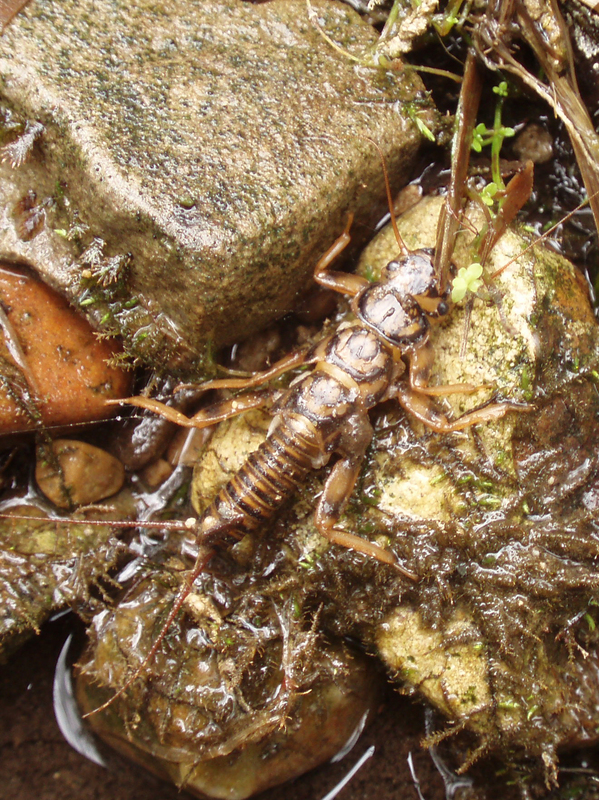 There are exceptions, but this rule certainly applies to systems such as southern Ontario’s Grand River, where agriculture has introduced manure, chemical fertilizers and other nutrients that have substantially increased the river’s productivity. 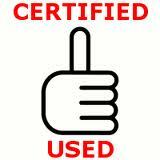 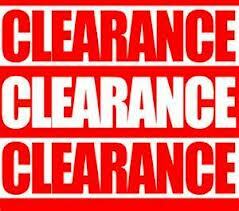 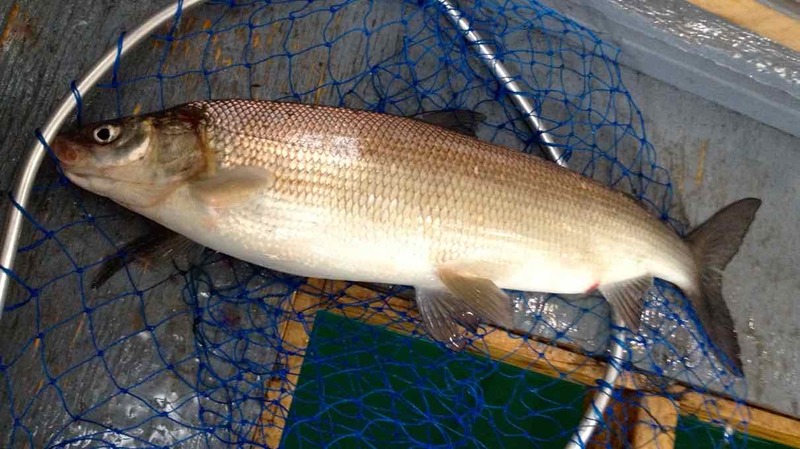 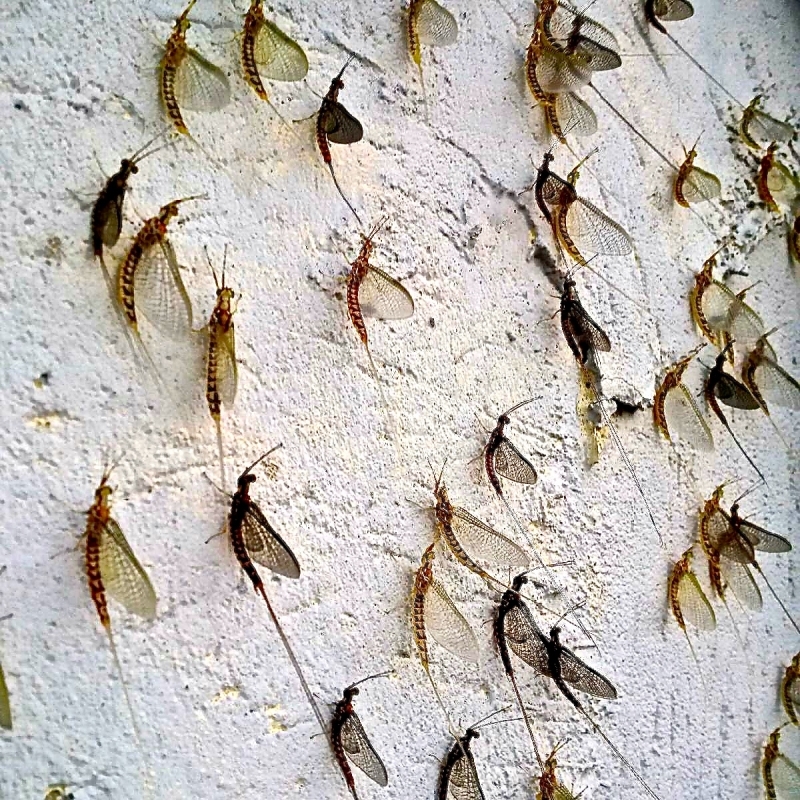 Contact us for comprehensive Hatch Charts for the Grand & Credit Rivers. 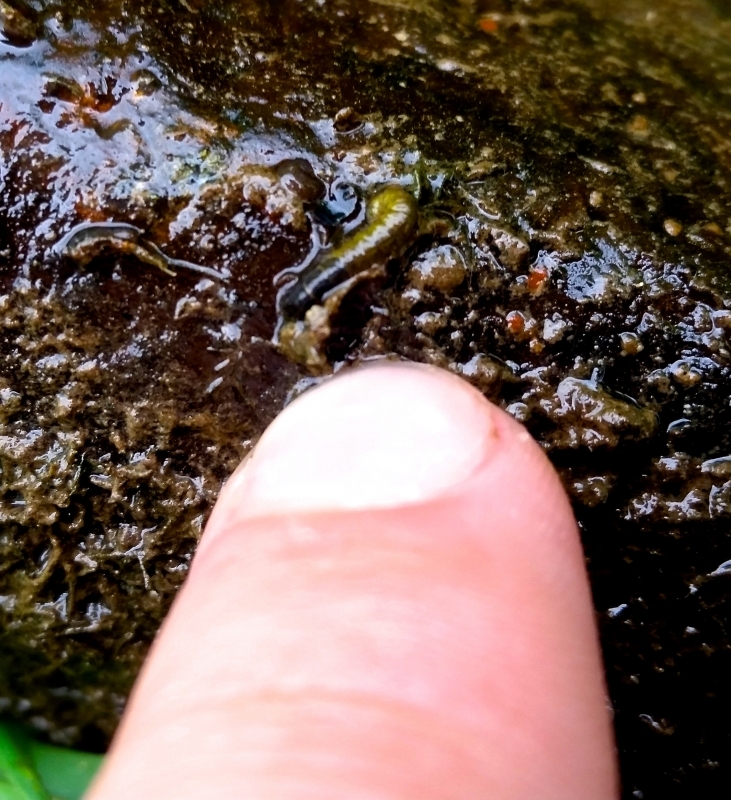 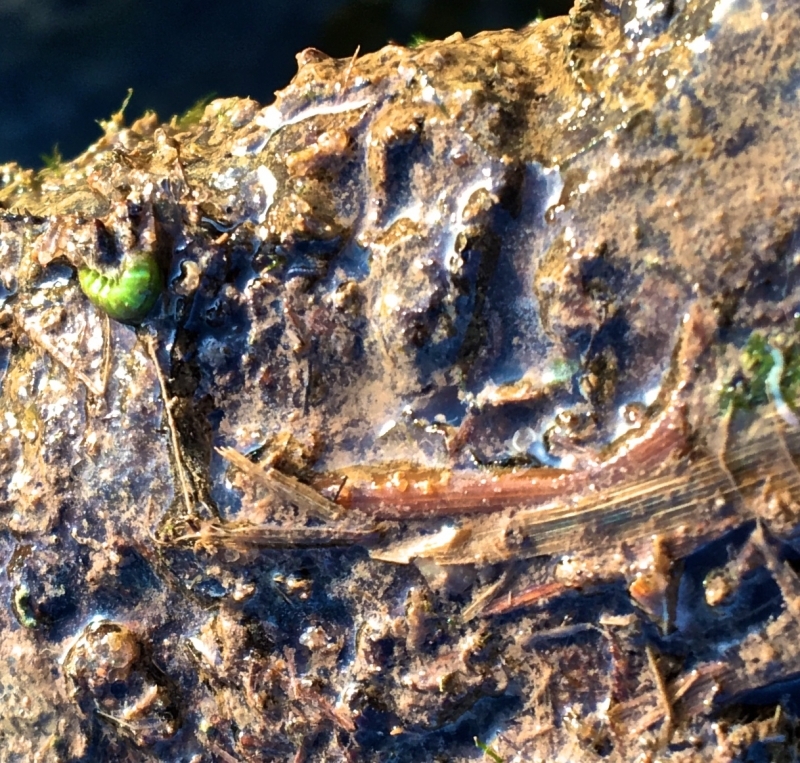 Upper Grand River Caddis Larva. 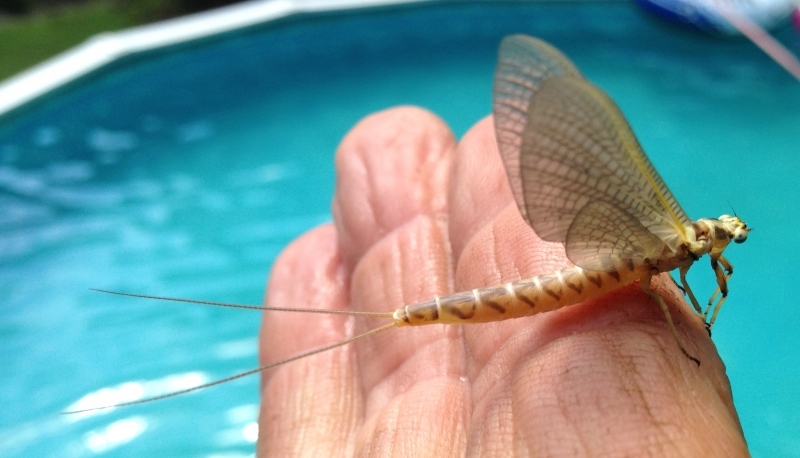 Grand River - Hendrickson Dun. 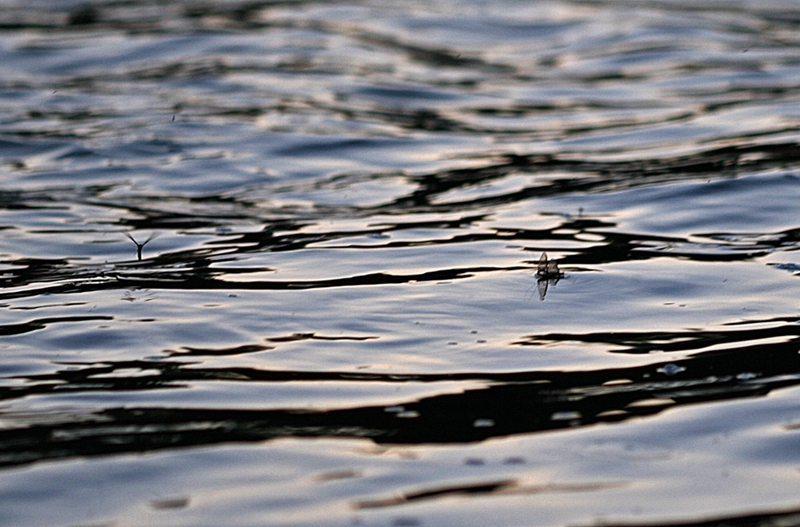 Grand River Hendrickson Shedding its Shuck. 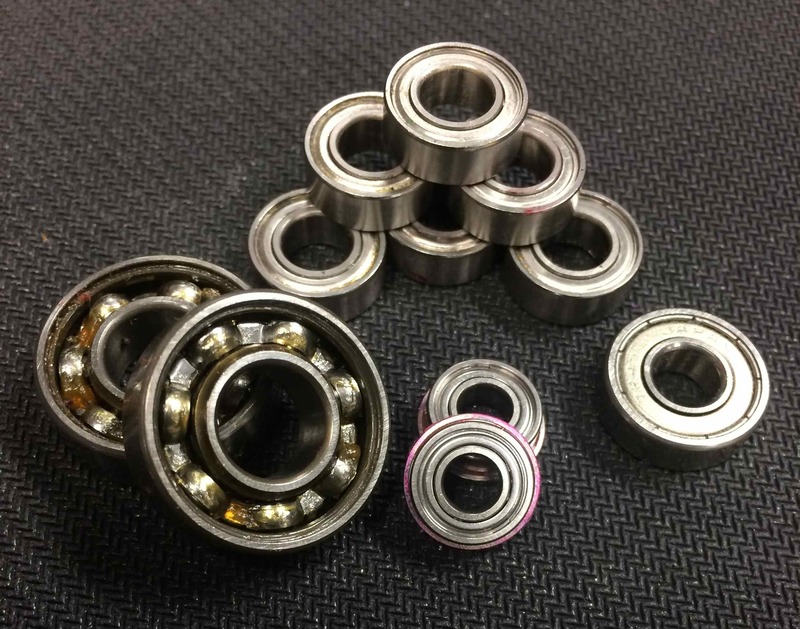 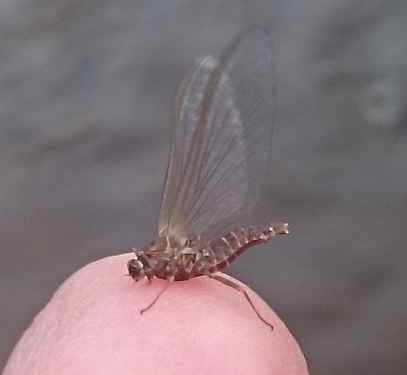 Grand River Hendrickson Male and Female Spinners. Hendrickson Hatch on The Upper Grand River. 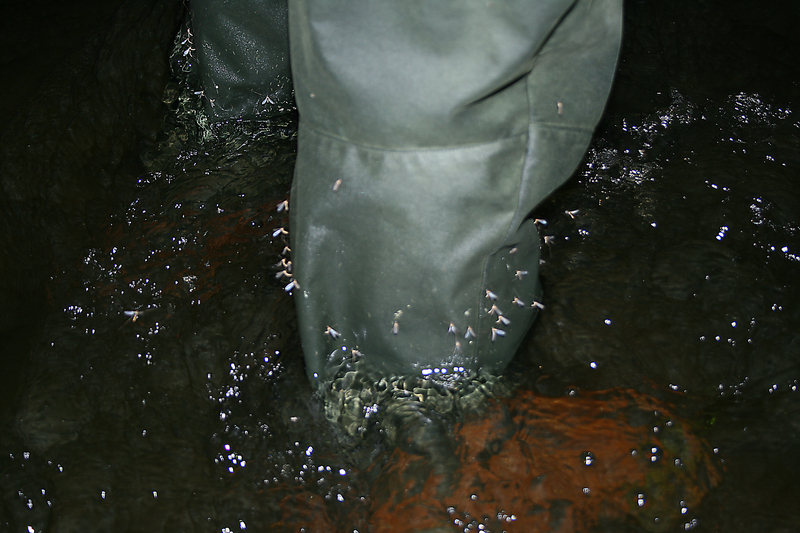 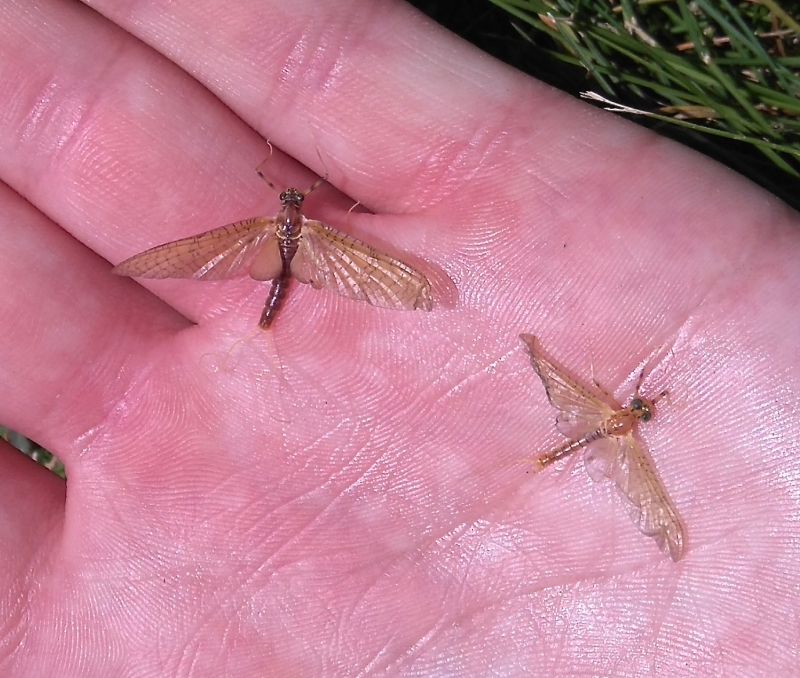 Caddis Flies on The Upper Grand River Wilson's Flats in September. 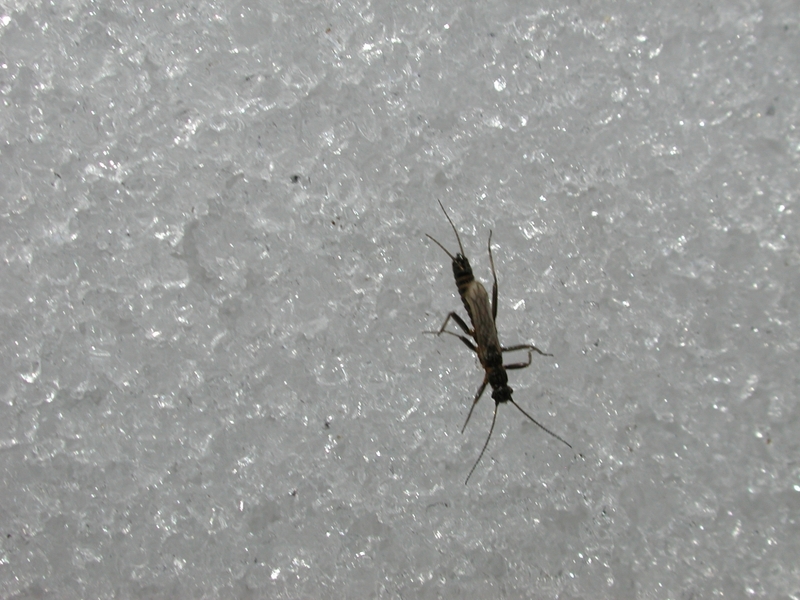 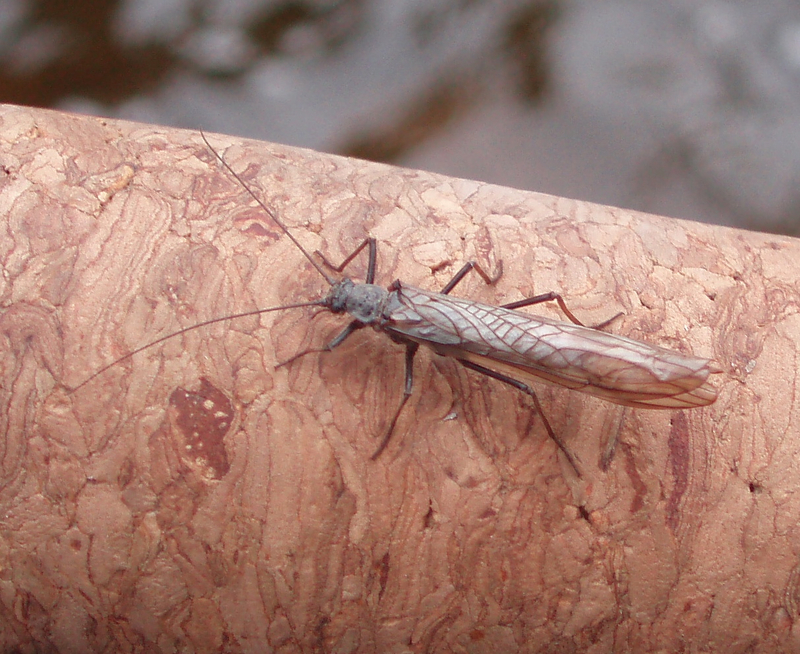 A Upper Credit River Stonefly. 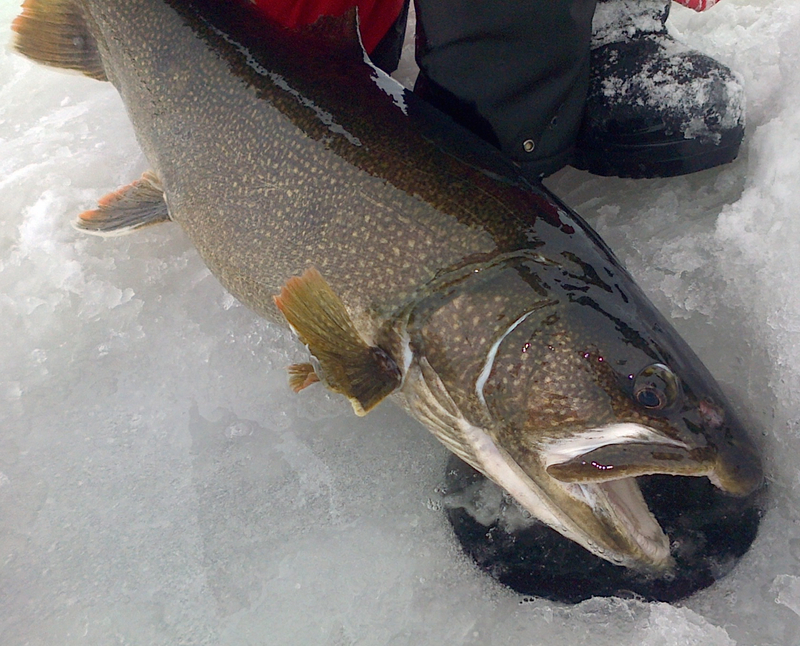 A Upper Grand River Fox. 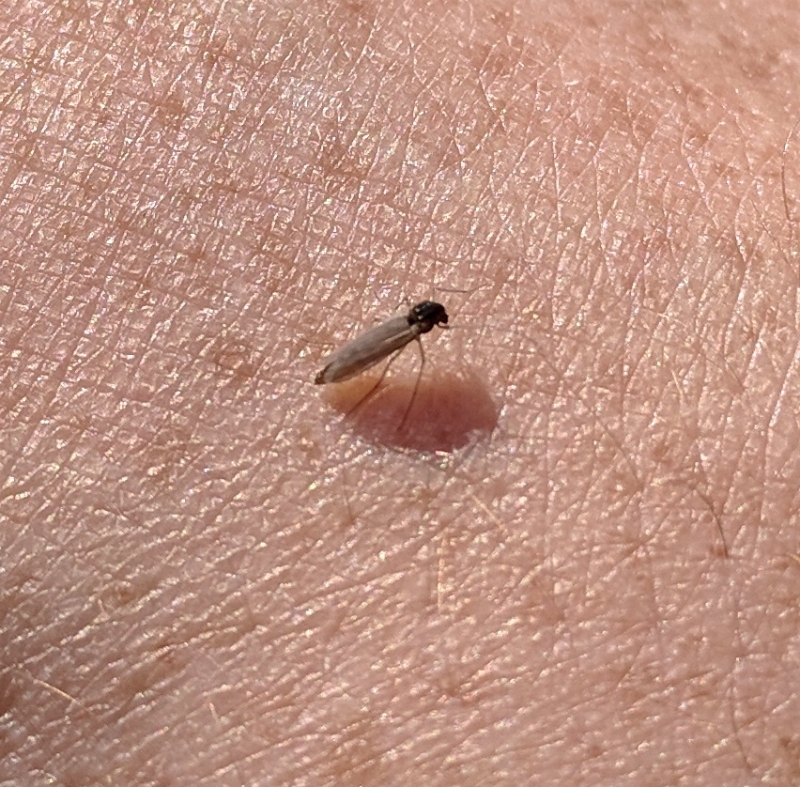 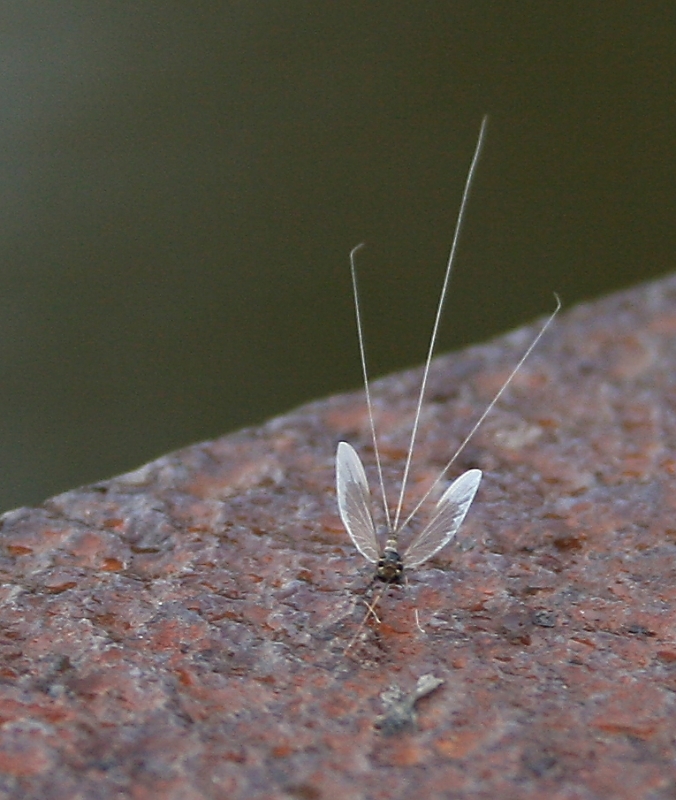 A Upper Credit Coffin Fly. 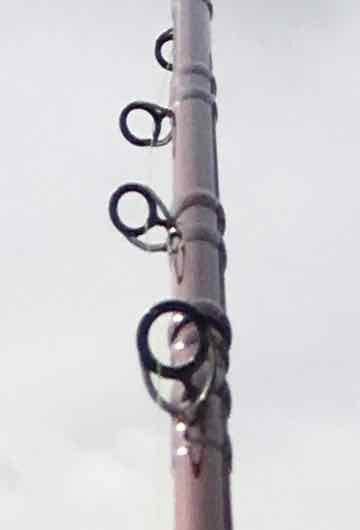 A Upper Grand River Light Cahill. 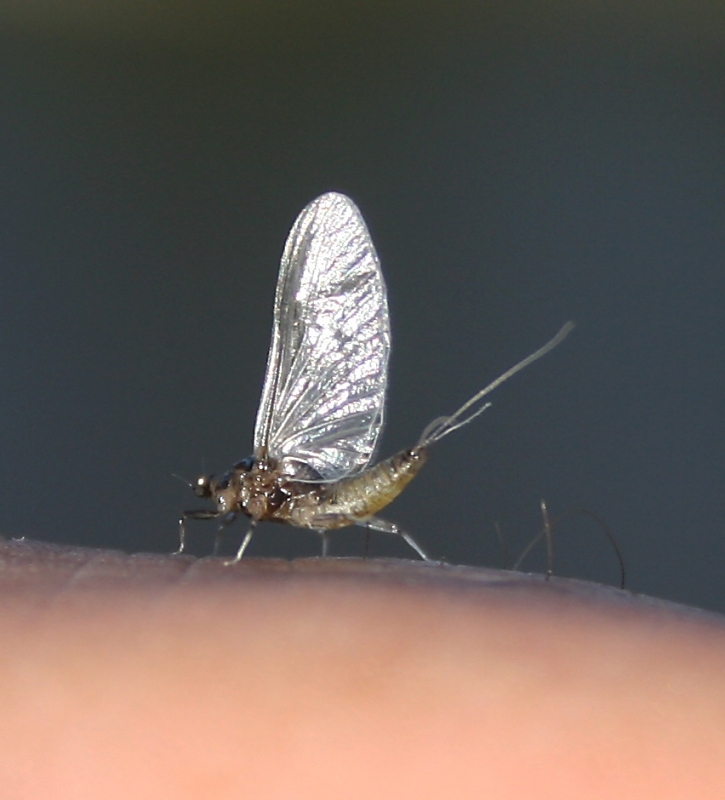 Grand River Cahill Nymph - Size Reference. 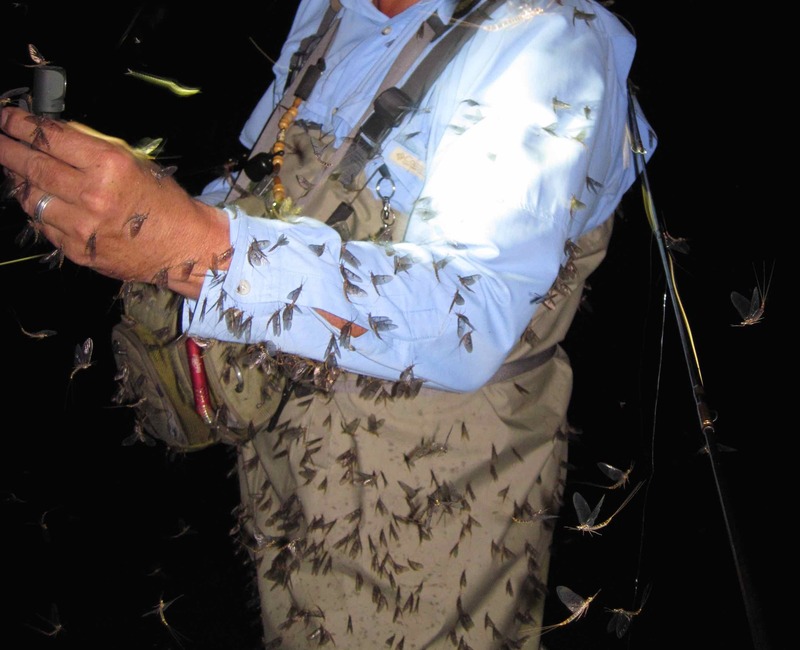 Upper Grand River Cahill Flies. 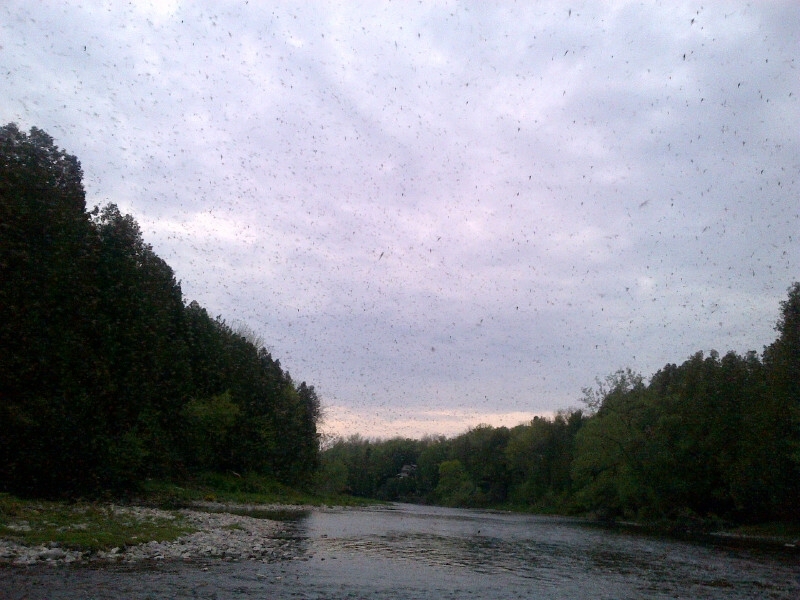 Upper Grand River Grey Fox & Cahill. 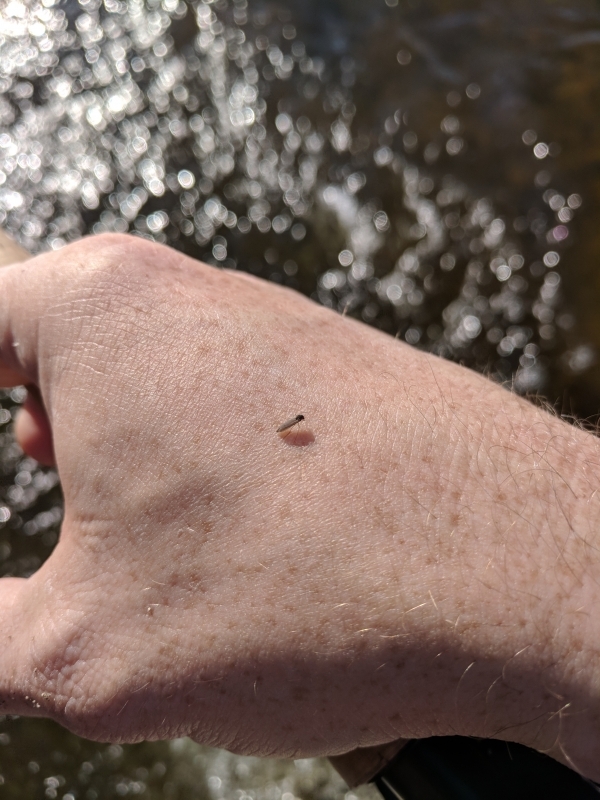 Grand River Fox on Finger. 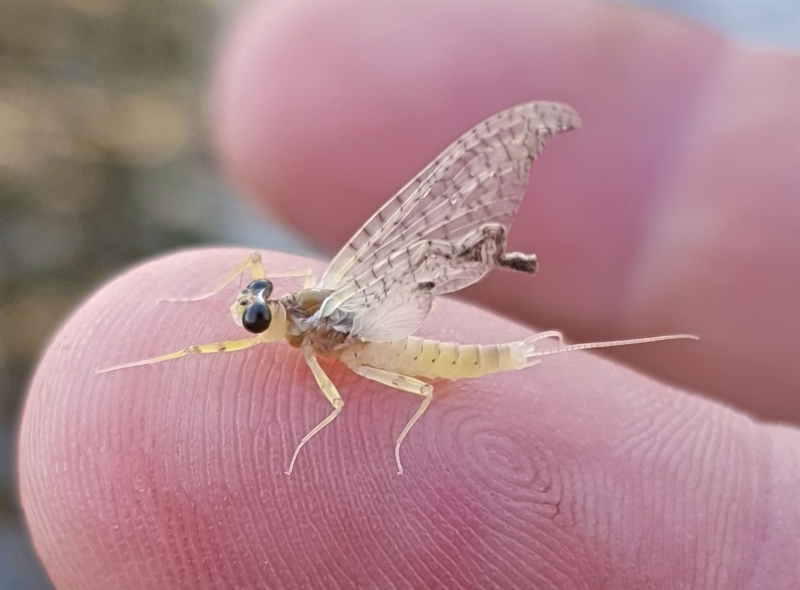 Credit River - Fox Dun. 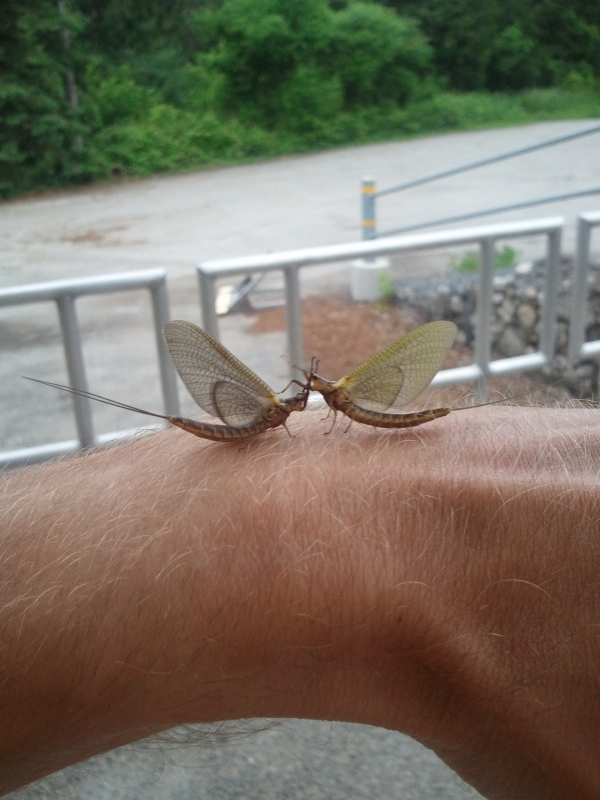 Upper Grand River Crane Flies. 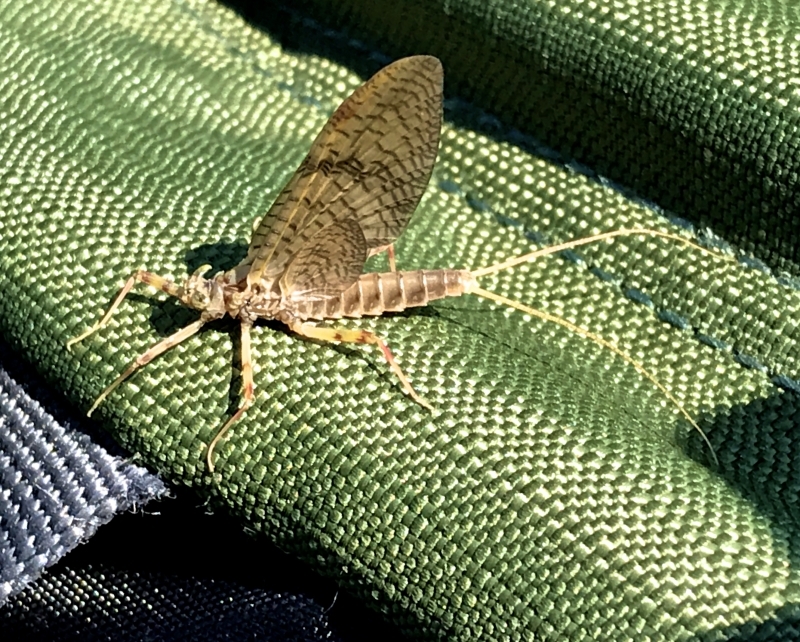 Upper Grand River Crane Fly on Waders. 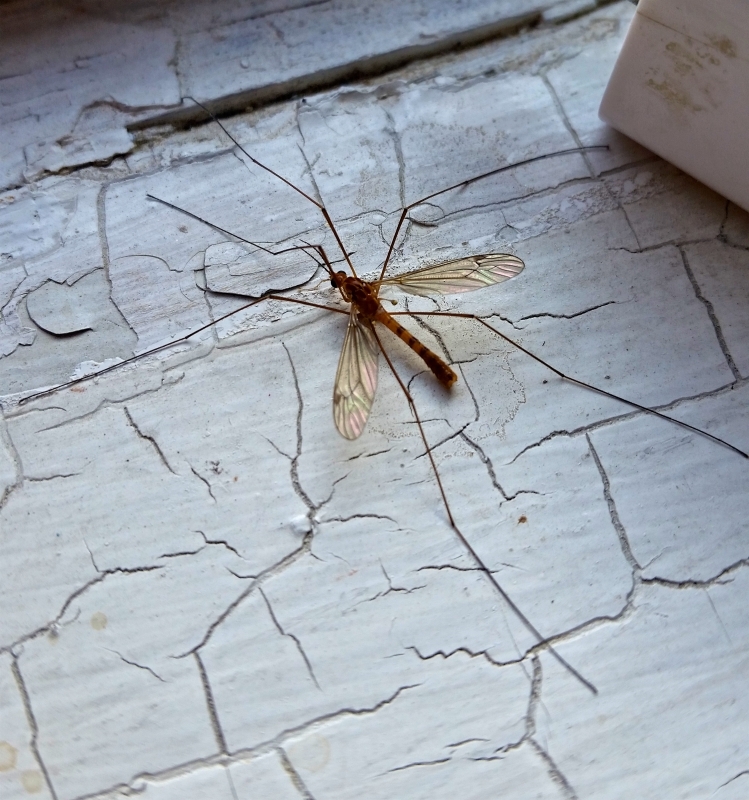 A Upper Grand River Crane Fly. 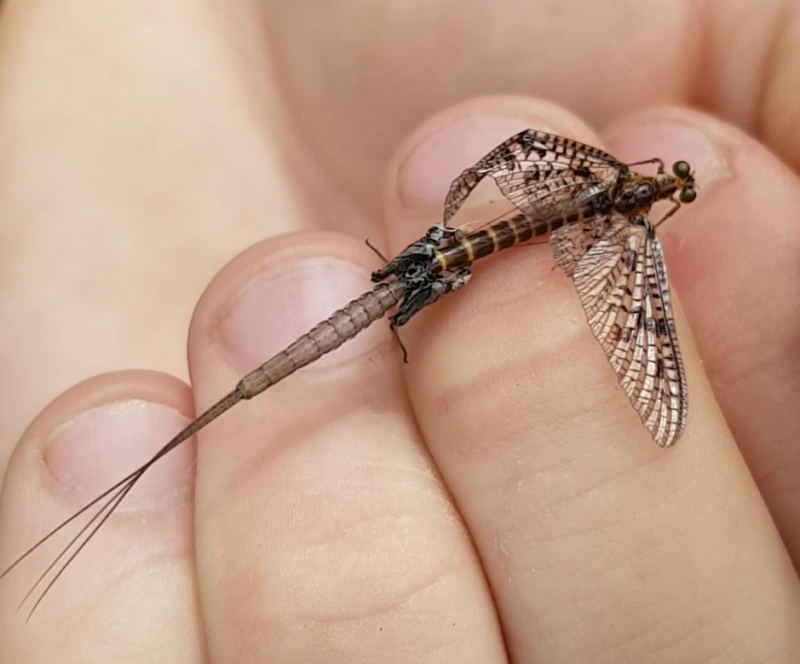 Grand River Cranefly with Imitation. 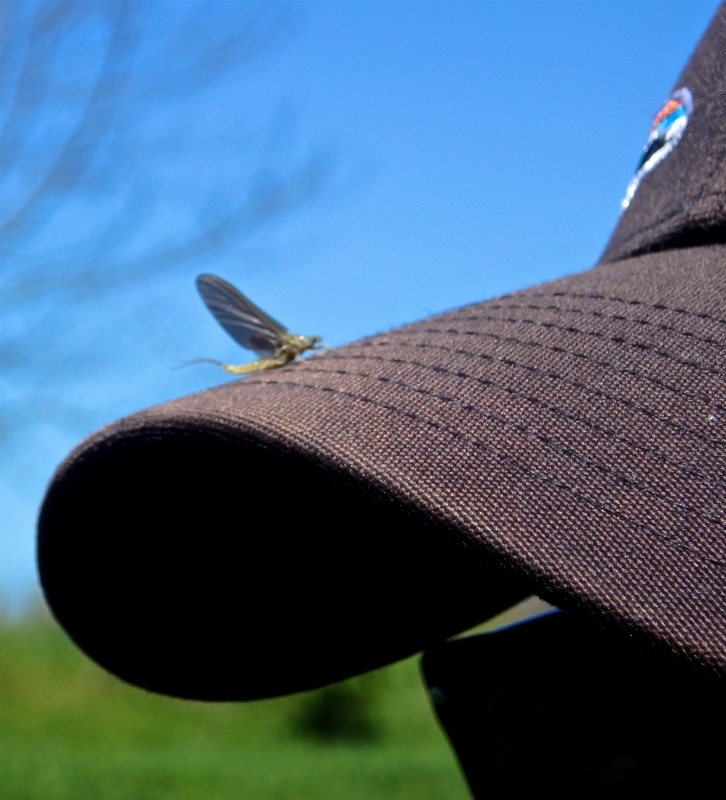 Grand River Fox on a Ball Cap. 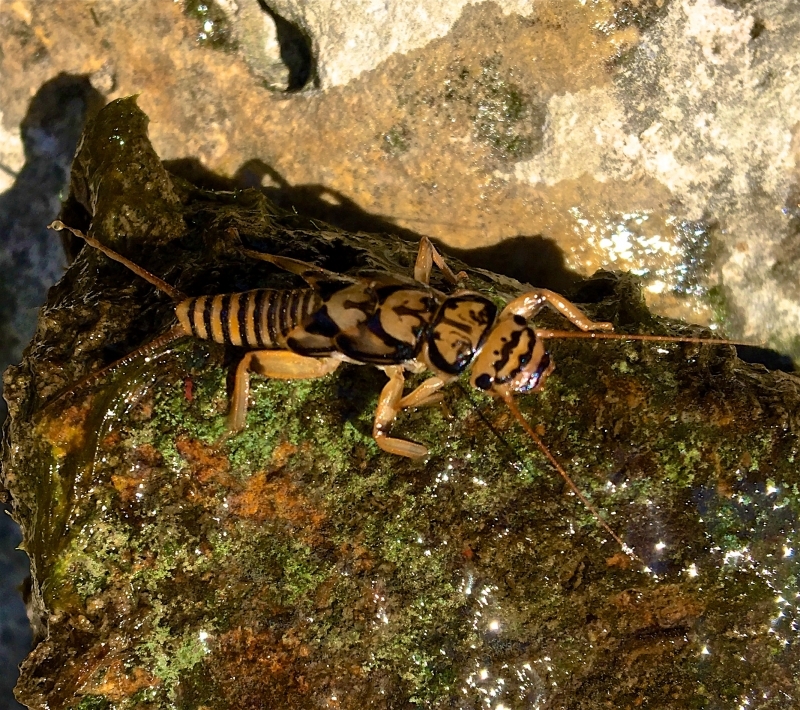 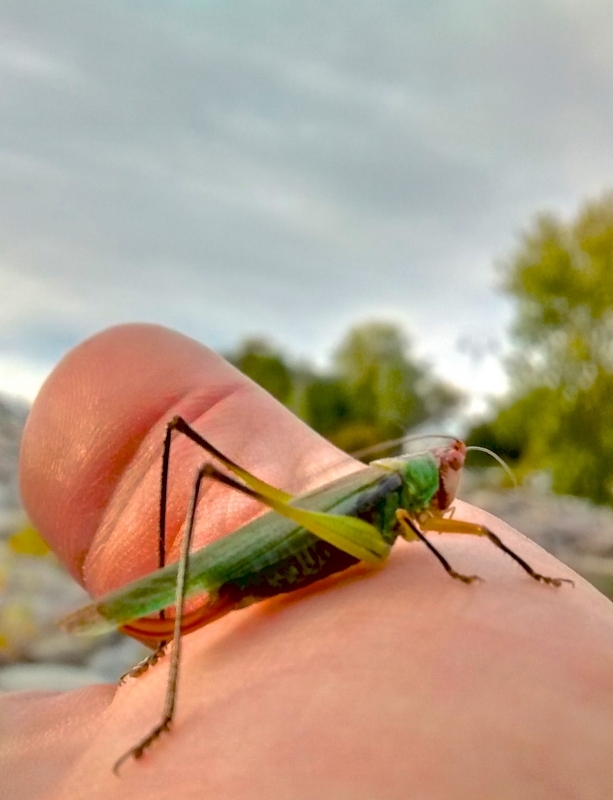 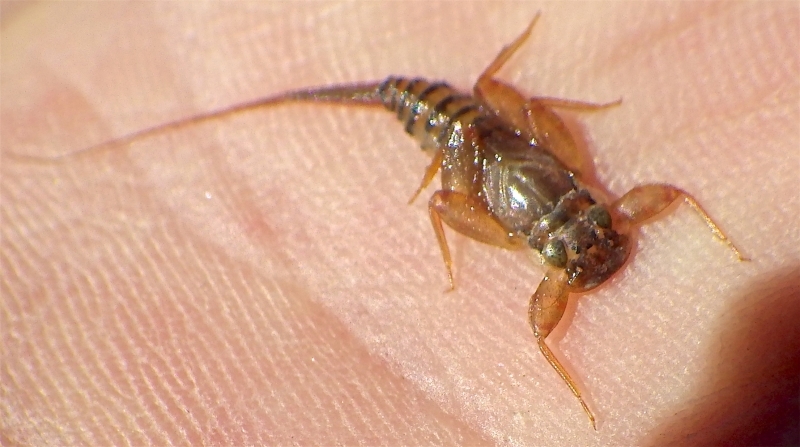 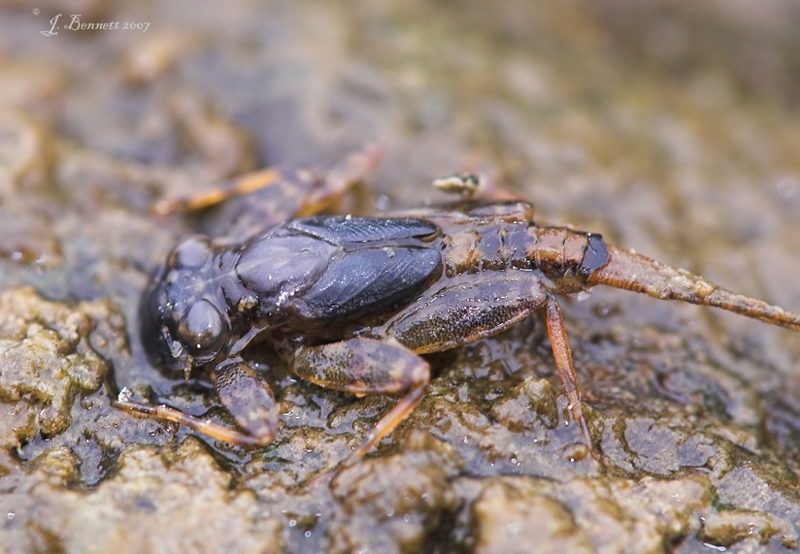 A Credit River Stonefly Shuck. 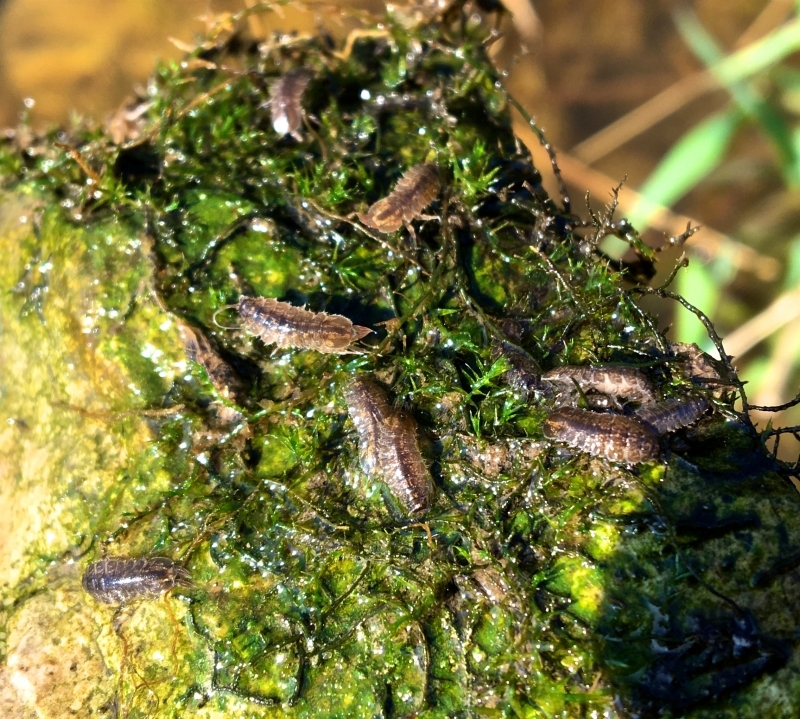 Isopod - Upper Grand River. 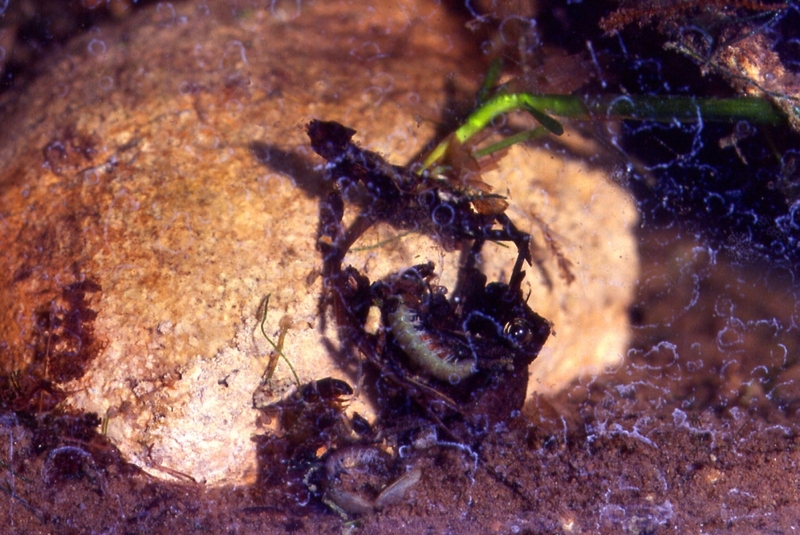 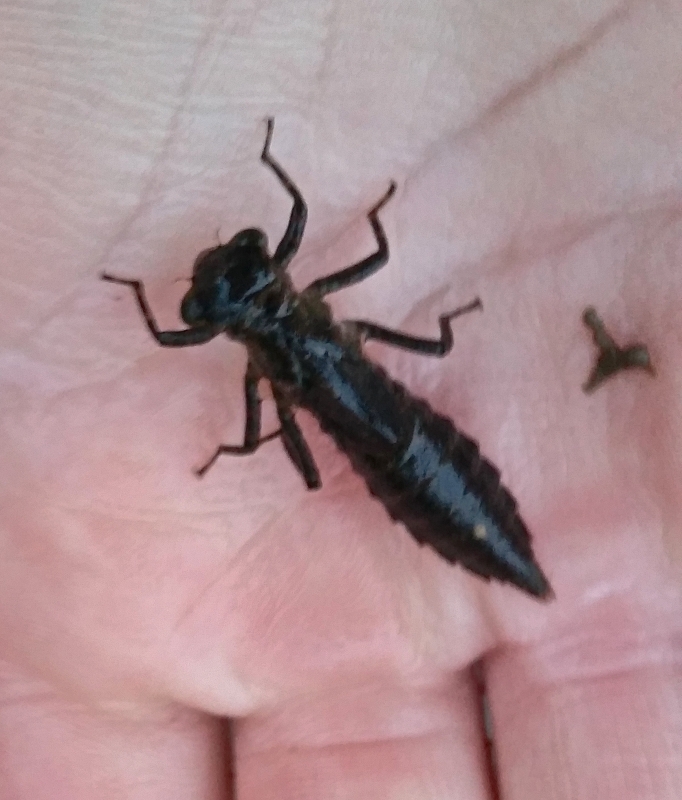 Upper Grand River Caddis Larvae. 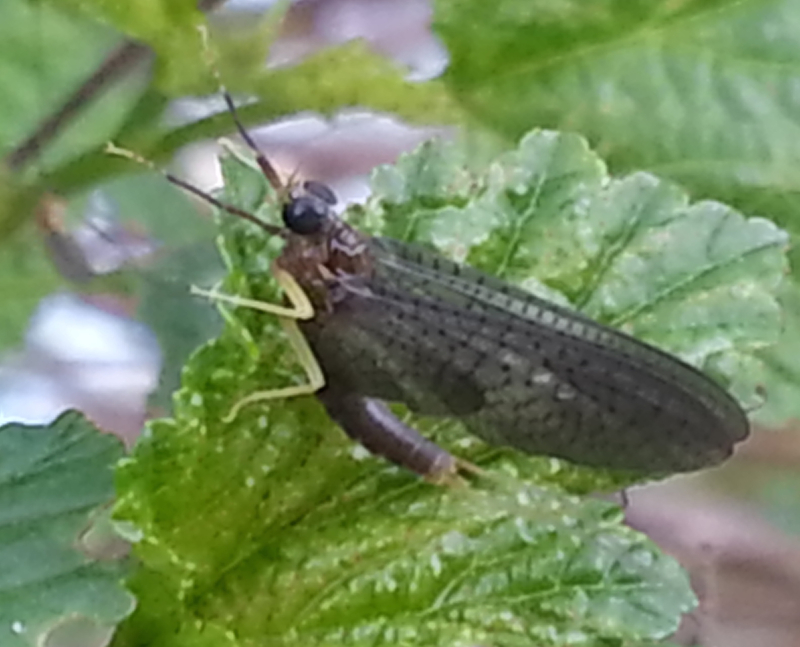 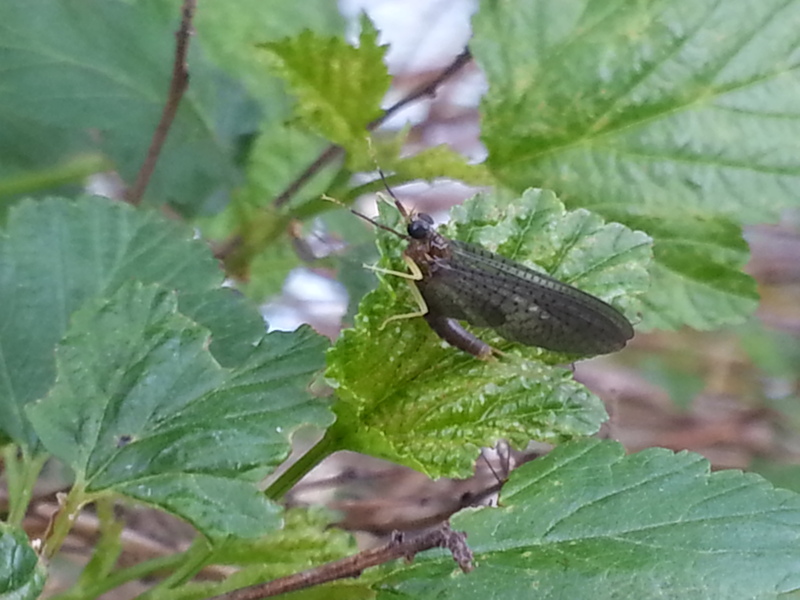 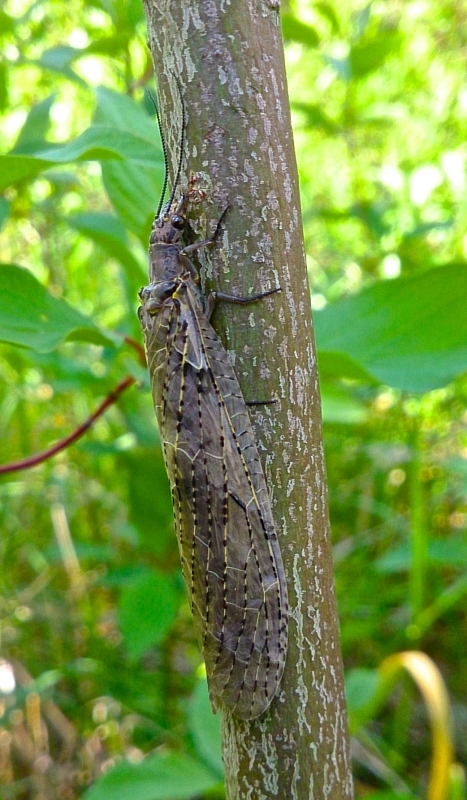 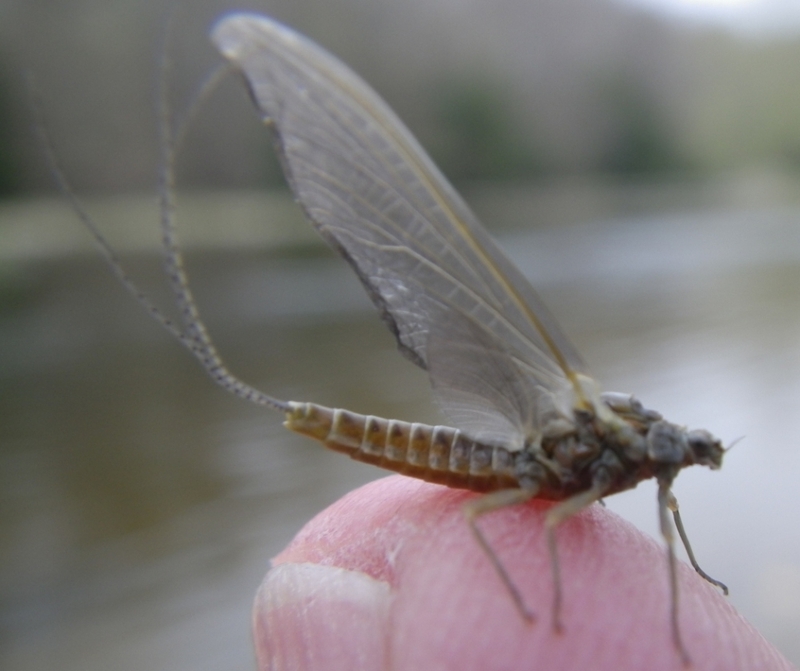 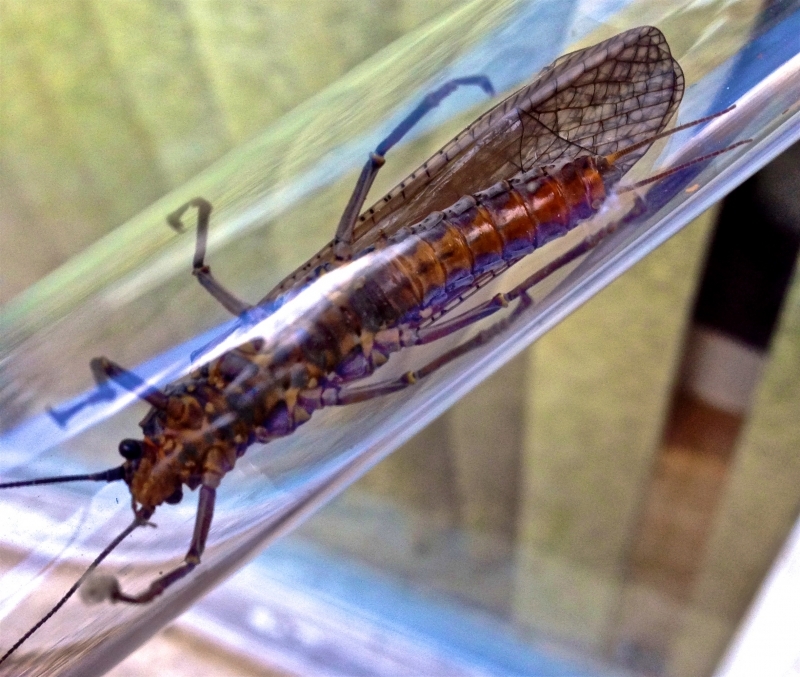 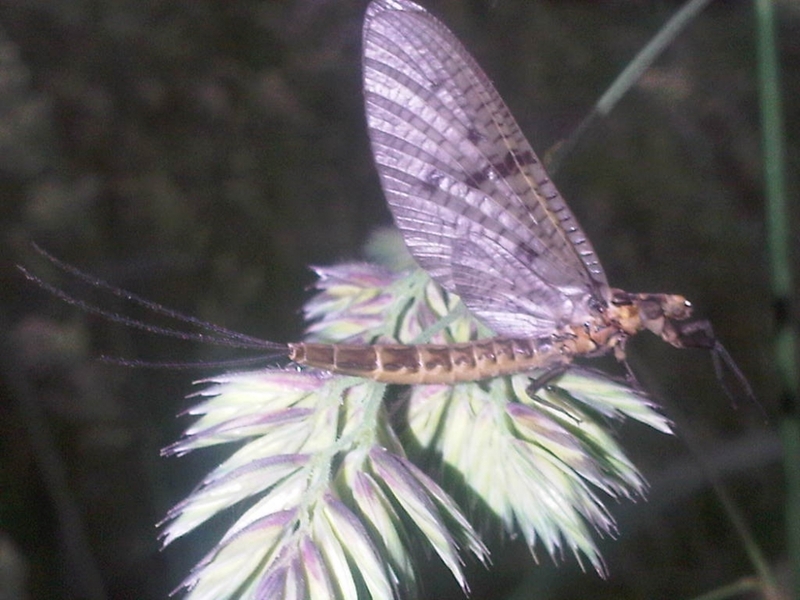 Learn To Fly Fish Lesson - Upper Grand River May Insect Survey. 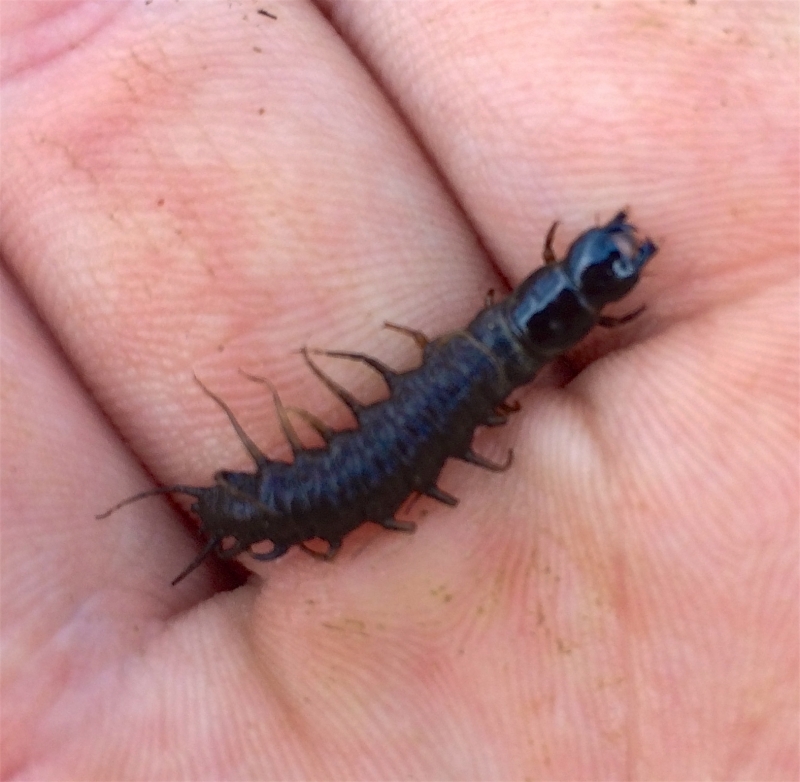 Grand River - Tan Caddis larva. 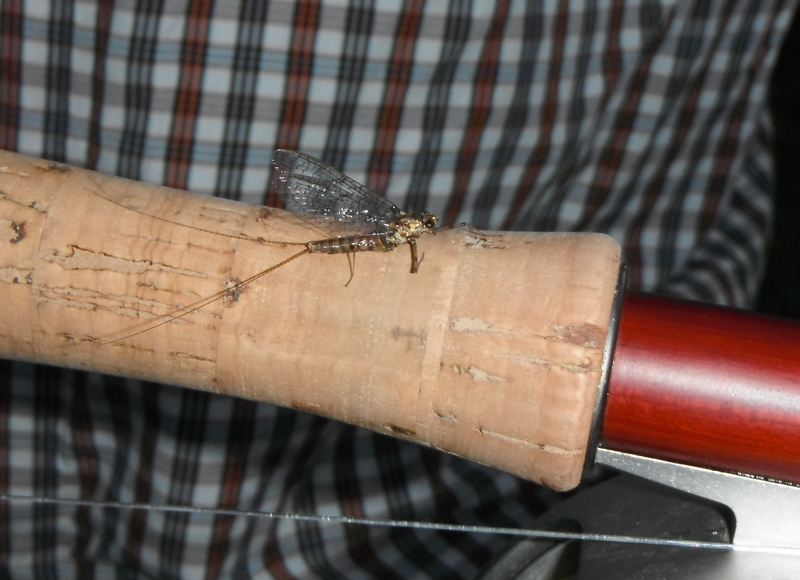 Grand River - Hydopsyche and TFC Landed Net. Grand River - Grand River - Hydopsyche and TFC Landed Net. 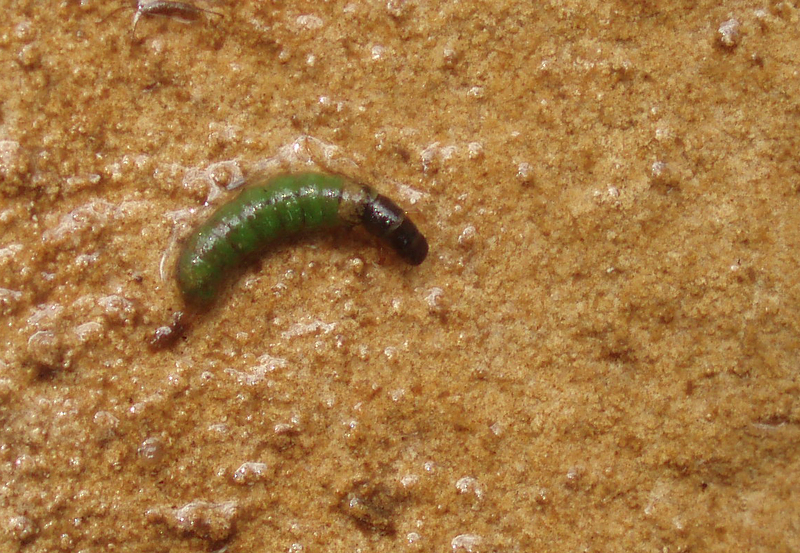 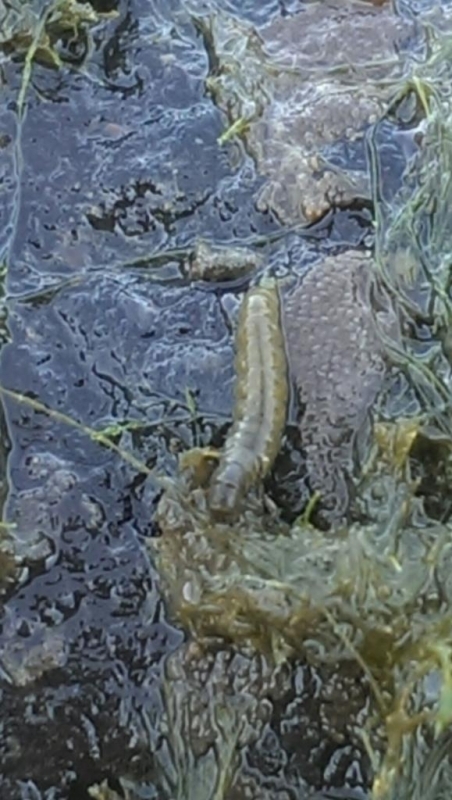 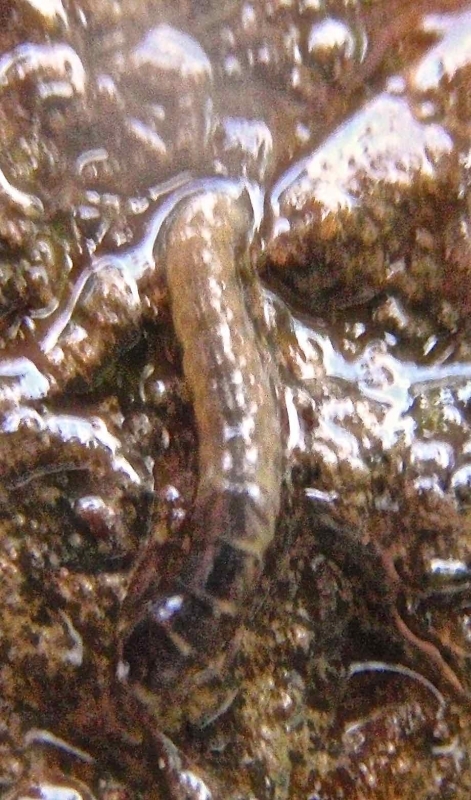 Grand River Tan Caddis Larva. 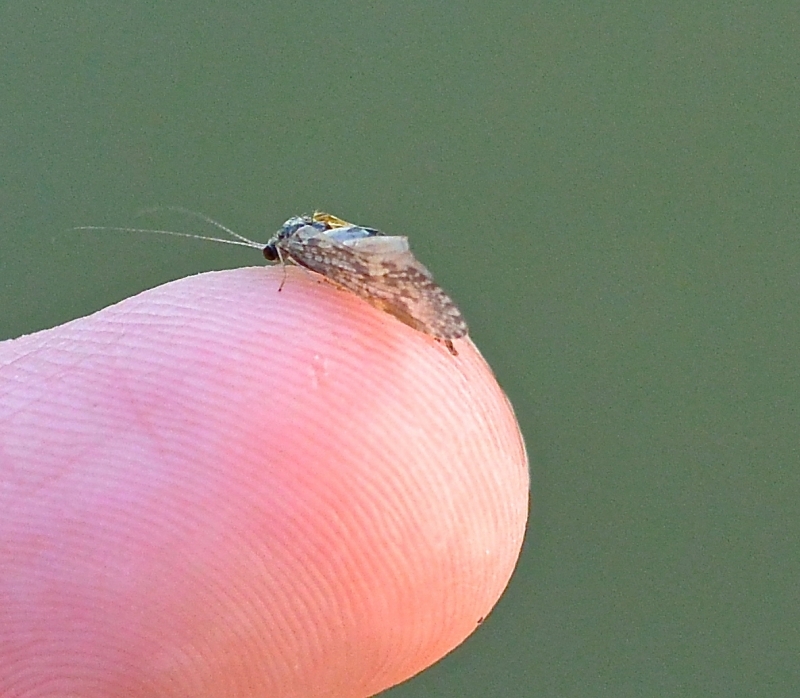 Grand River - Green Caddis Pupa. 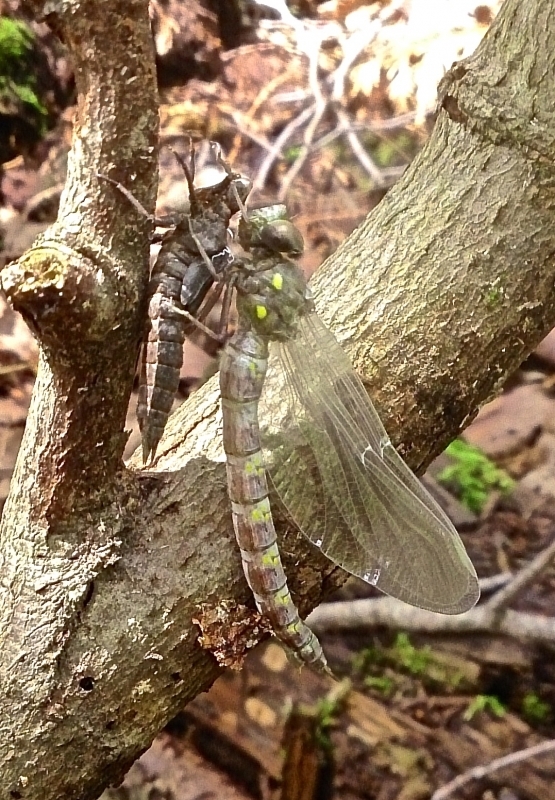 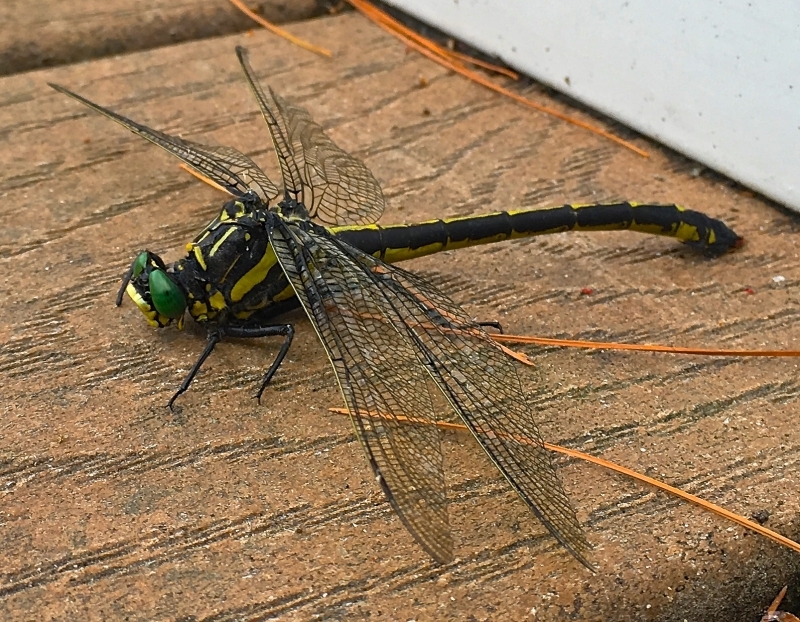 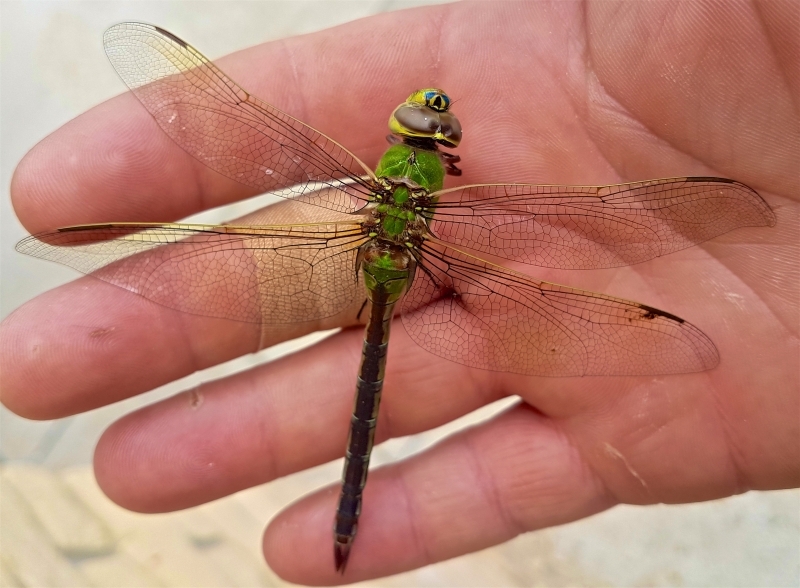 A Upper Grand River Dragonfly. 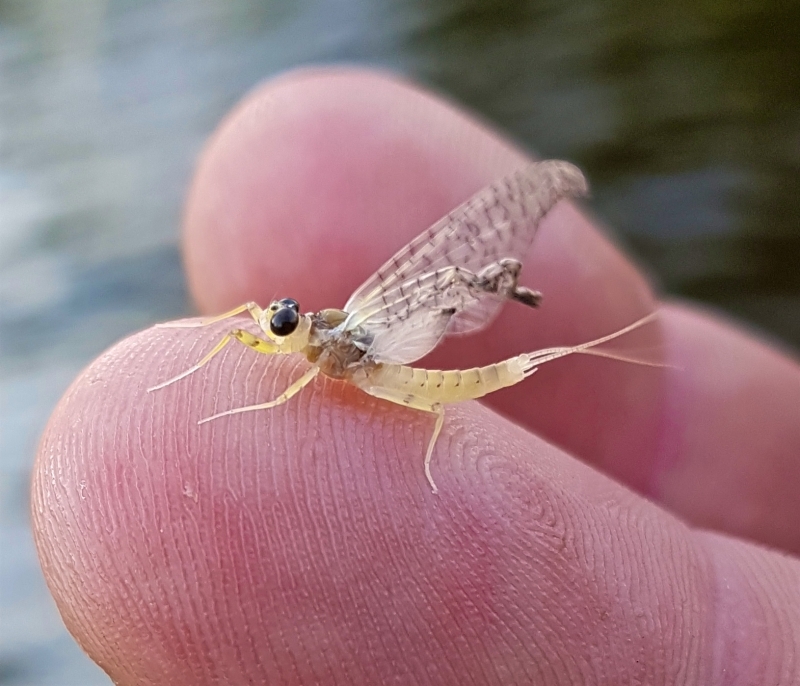 Grand River - Dark Grey Fox Nymph. 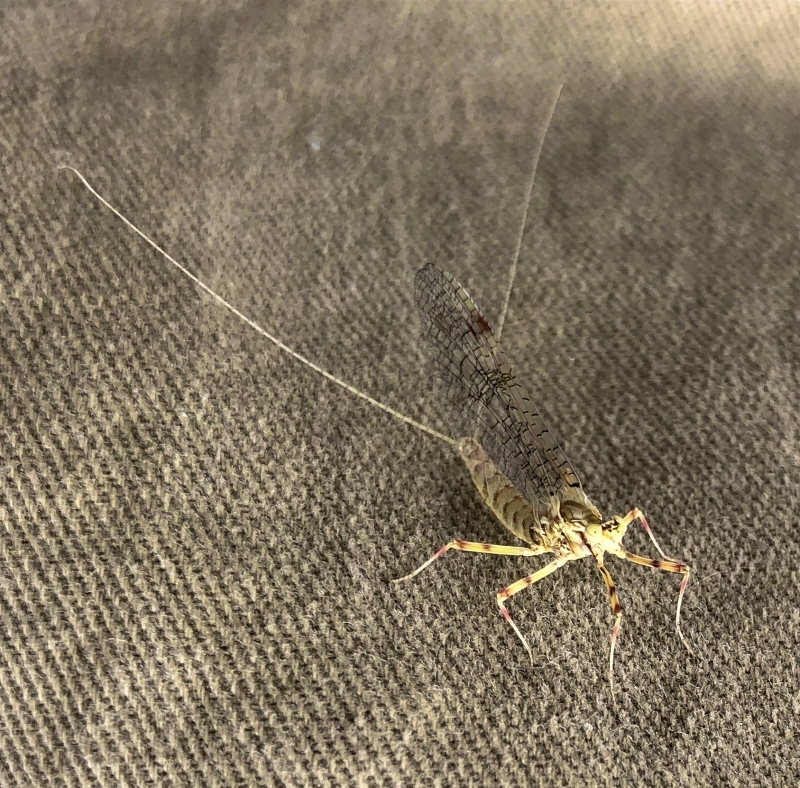 Grand River - Grey Fox Nymph. 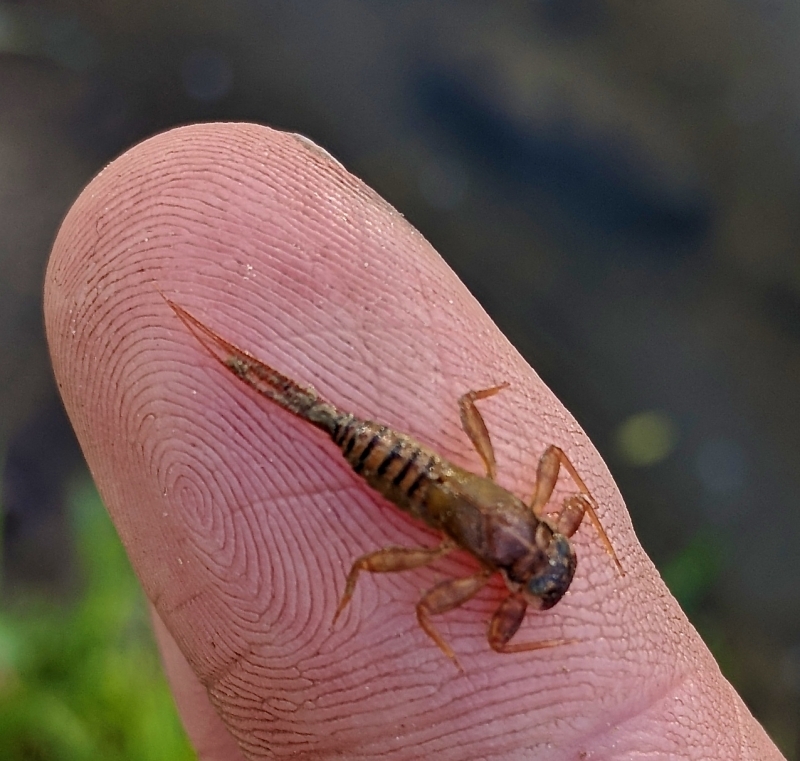 Grand River - Fox Nymph Credit River. 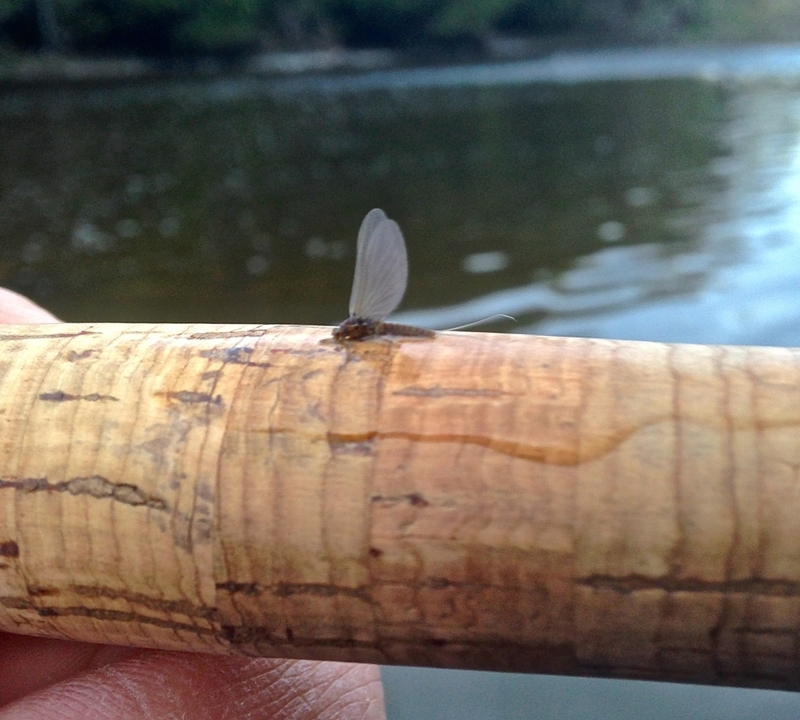 A Upper Grand River Brown Drake. 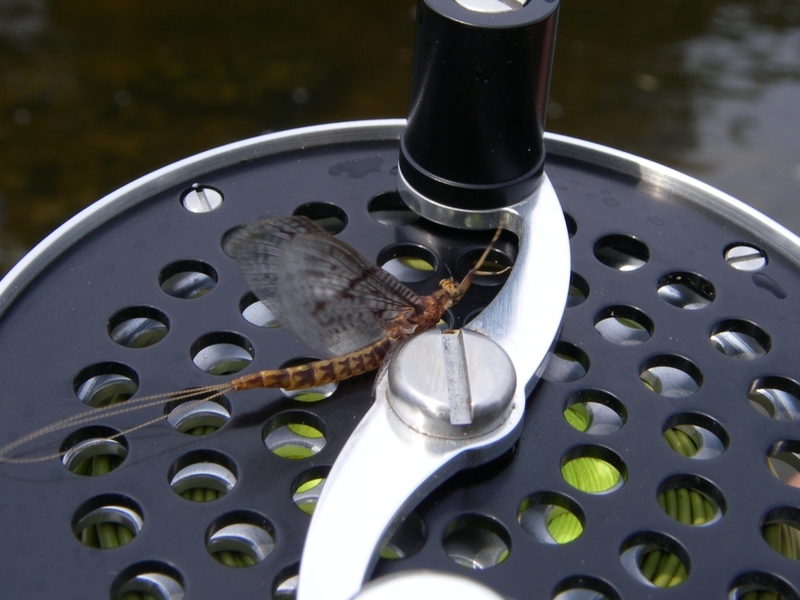 A Grand River Brown Drake. 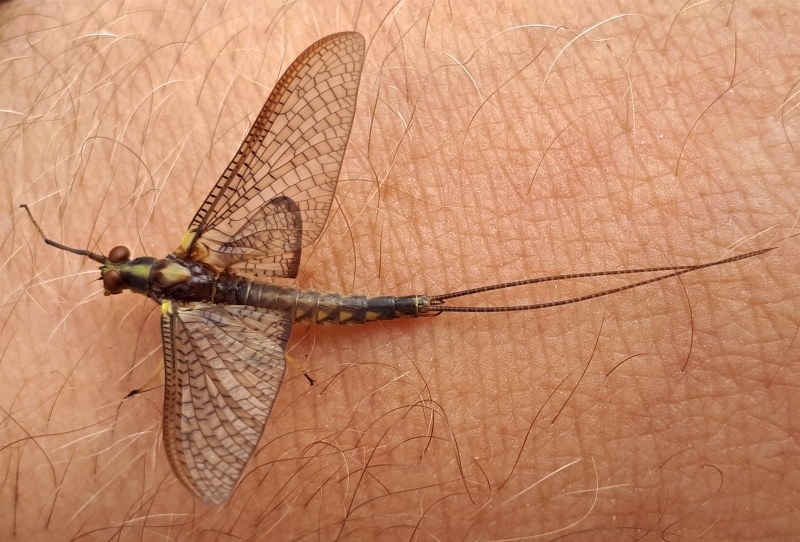 Shades Mills - Mill Creek Hexagenia. 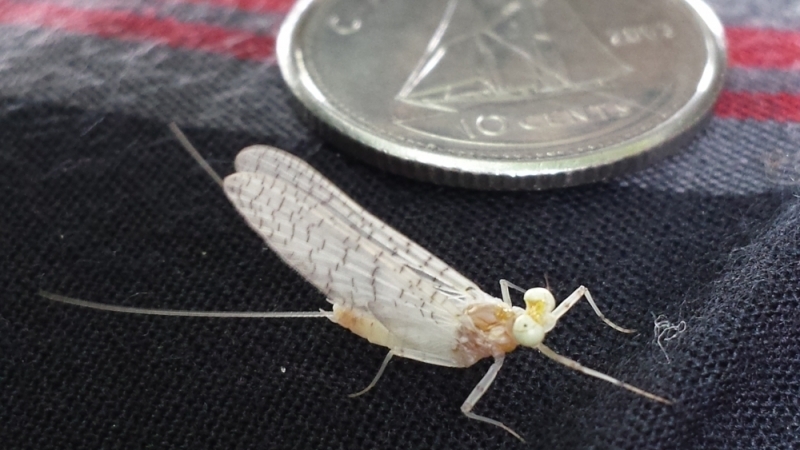 Credit River Mayfly on a Fly Reel. 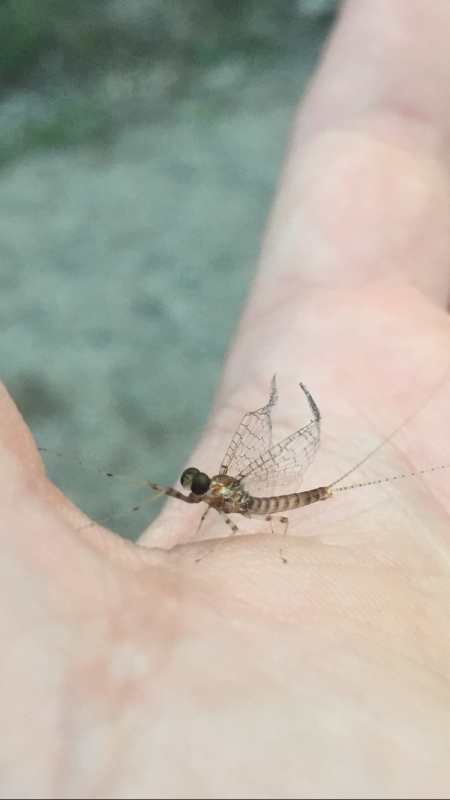 Upper Grand River Dragonfly Nymph. 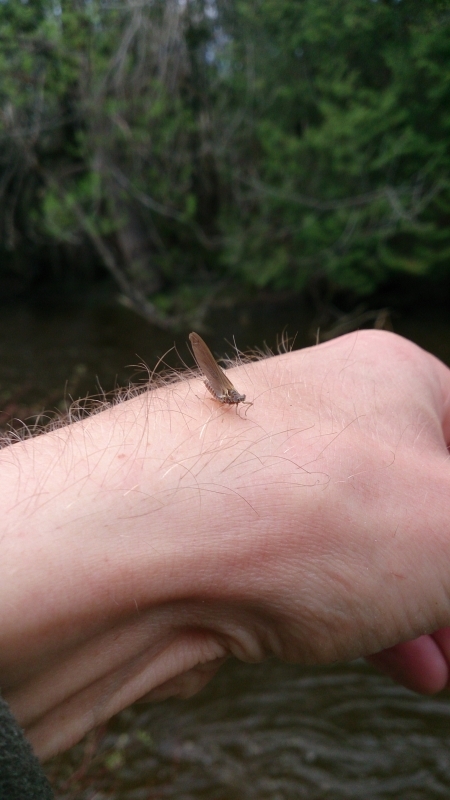 The Upper Grand River - The Brown Drake. 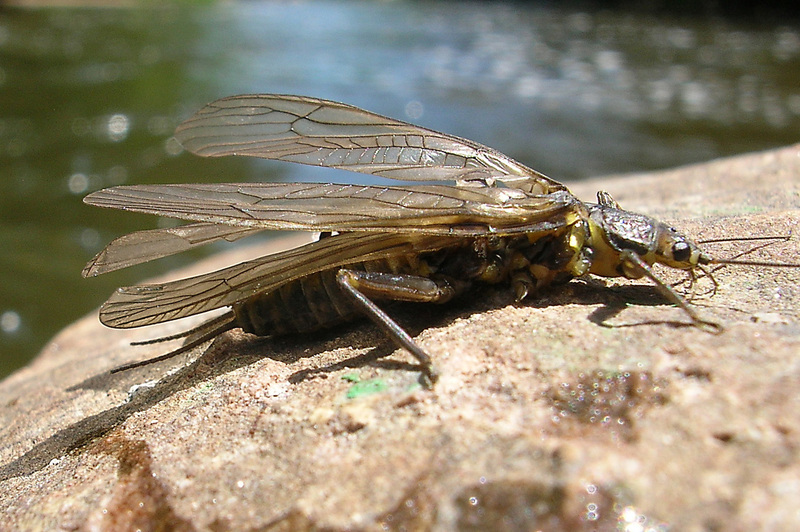 The Upper Grand River - A Brown Drake Spinner. 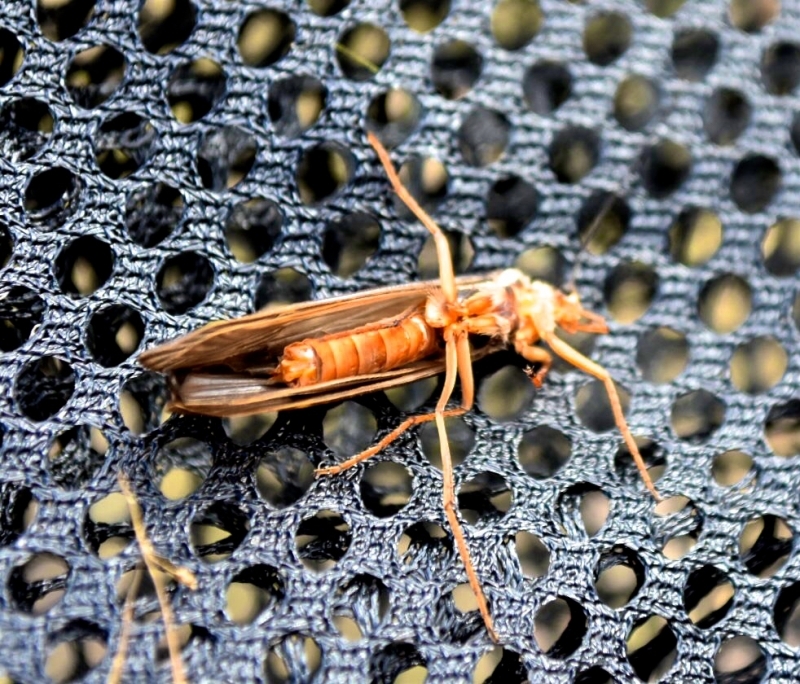 Epic Upper Grand River Brown Drake Hatch. 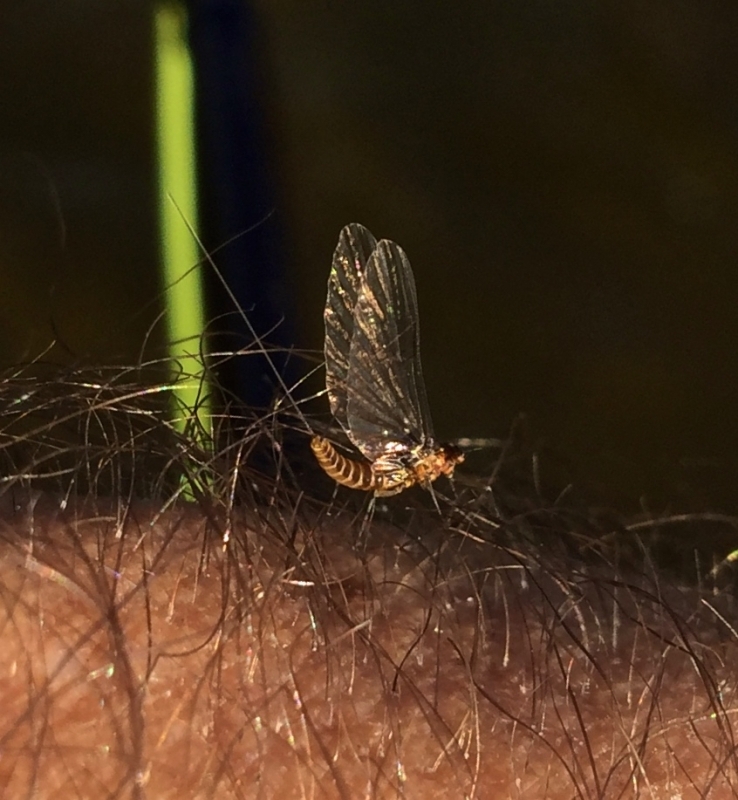 Upper Grand River Brown Drake and Fly Pattern. 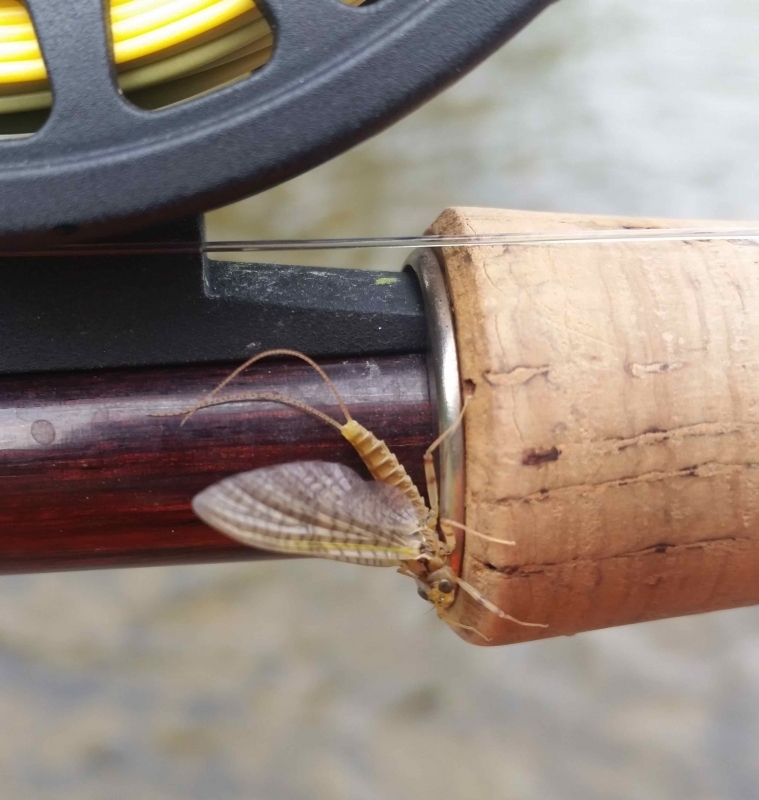 Upper Grand River Brown Drake Spinner. 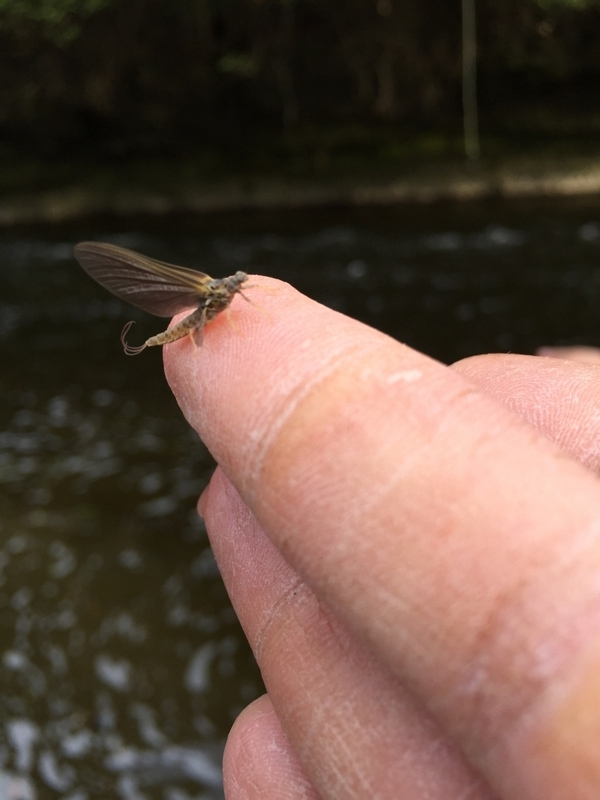 Upper Grand River Brown Drake. 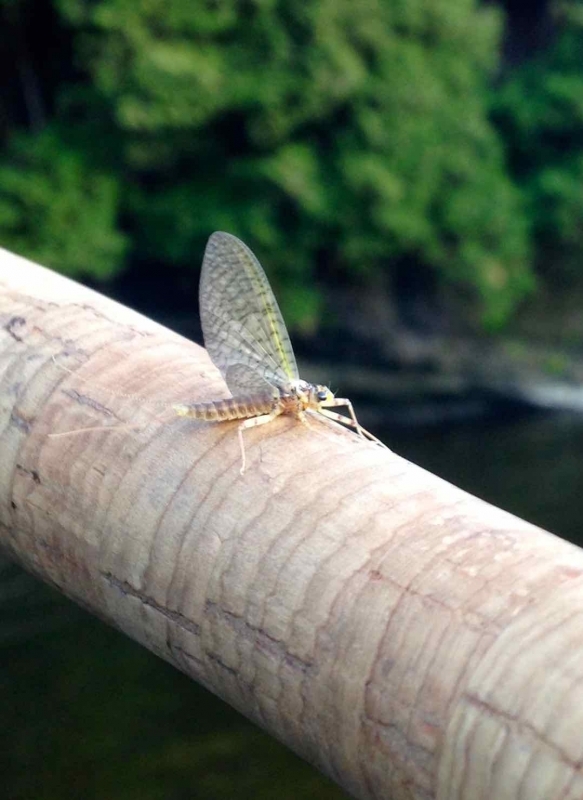 Upper Grand River Drake Dun. 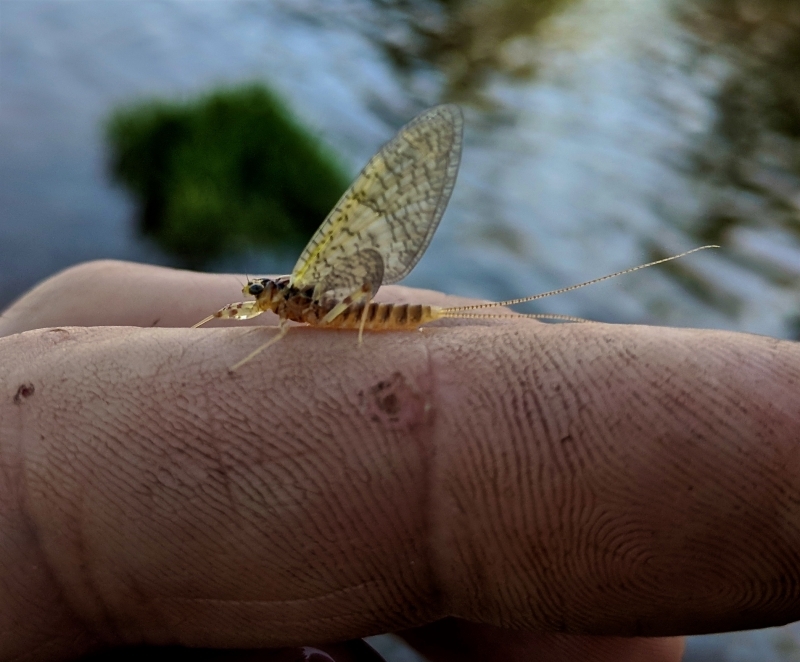 Upper Grand River - Brown Drake. 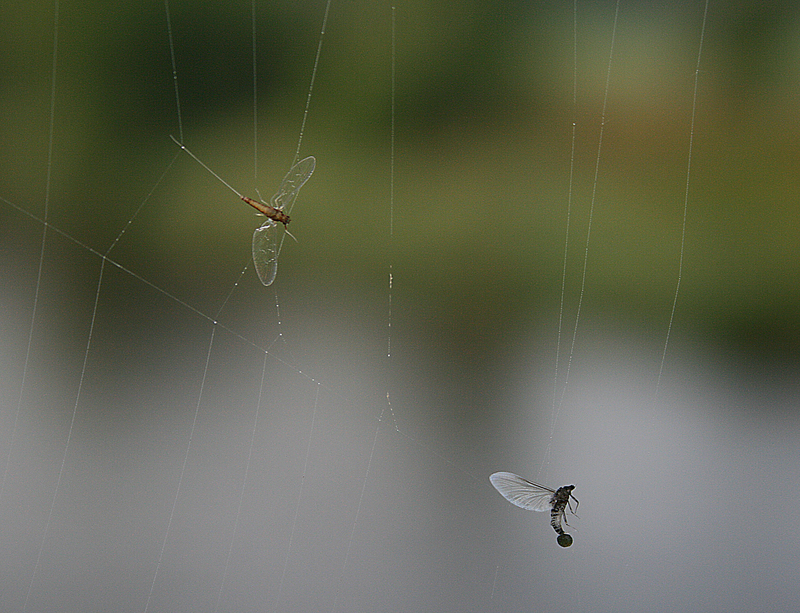 Blue Winged Olive - BWO & Trico in Spider Web. 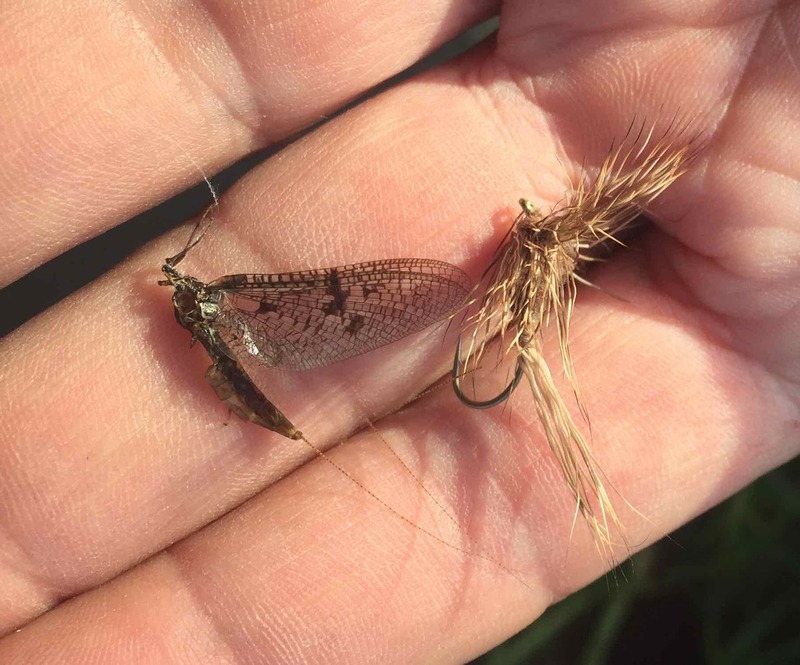 Upper Grand River Brown Drake Shuck. 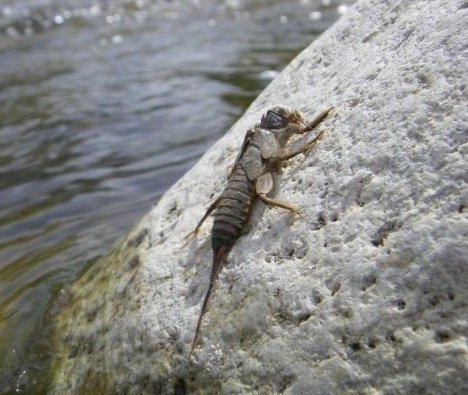 Isonychia Dun - Saugeen River. 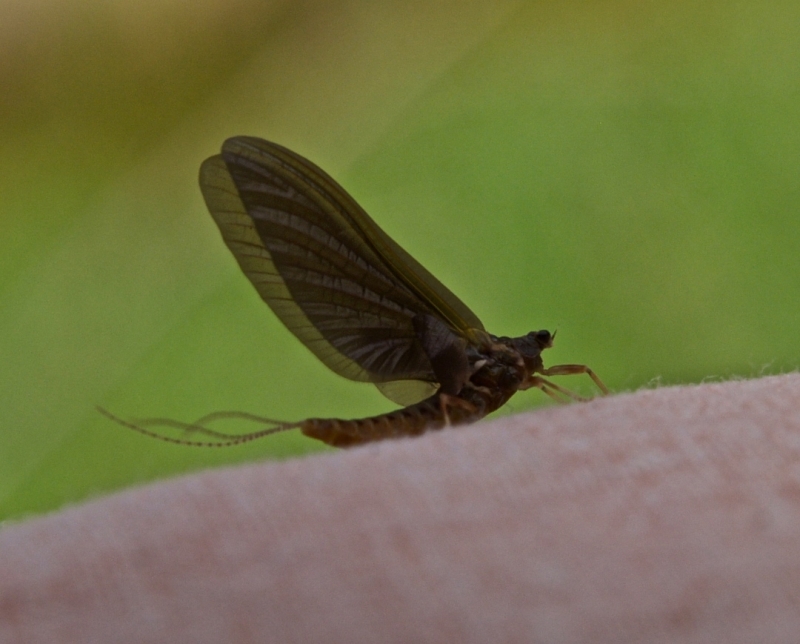 Mayfly Dun - Upper Grand River. 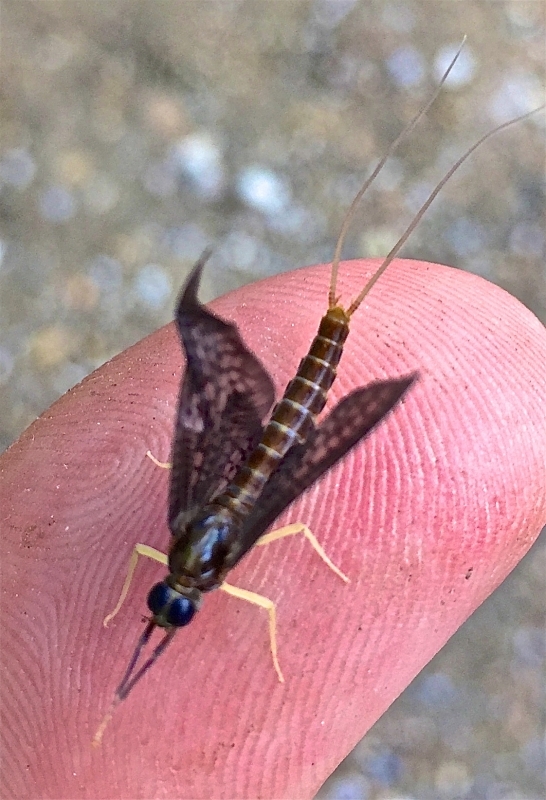 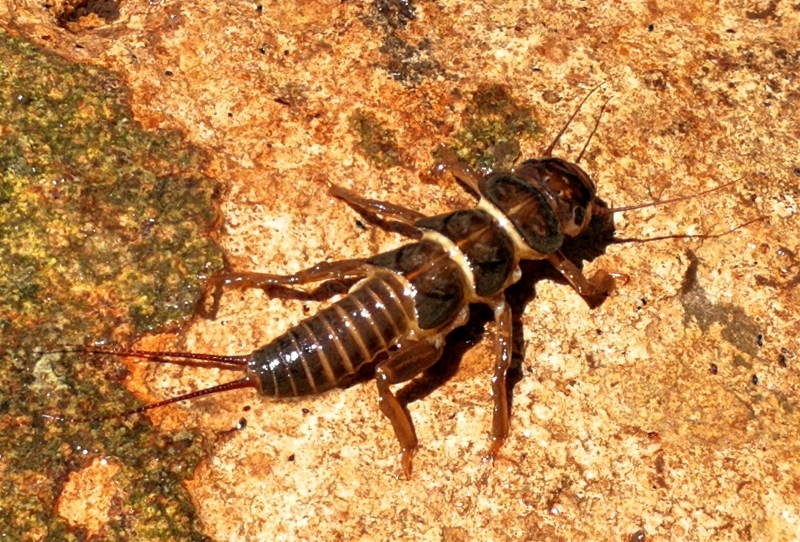 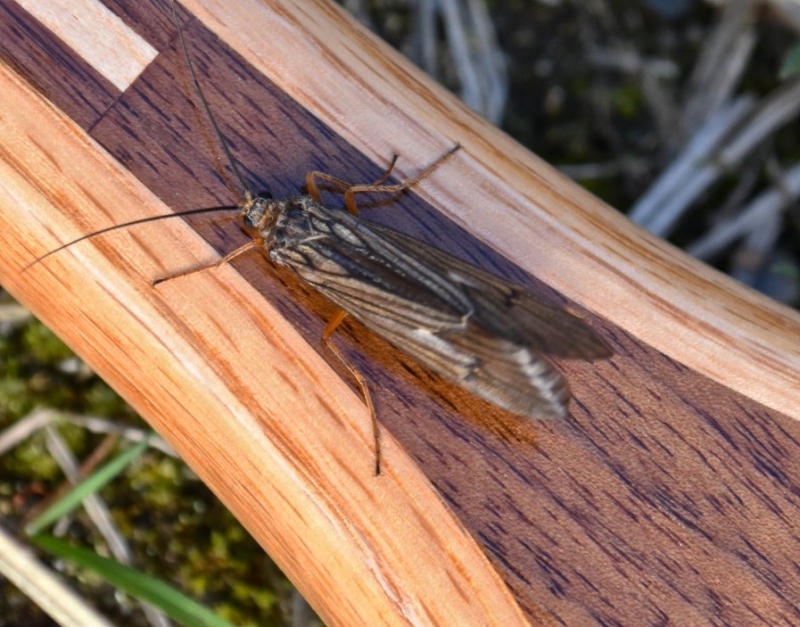 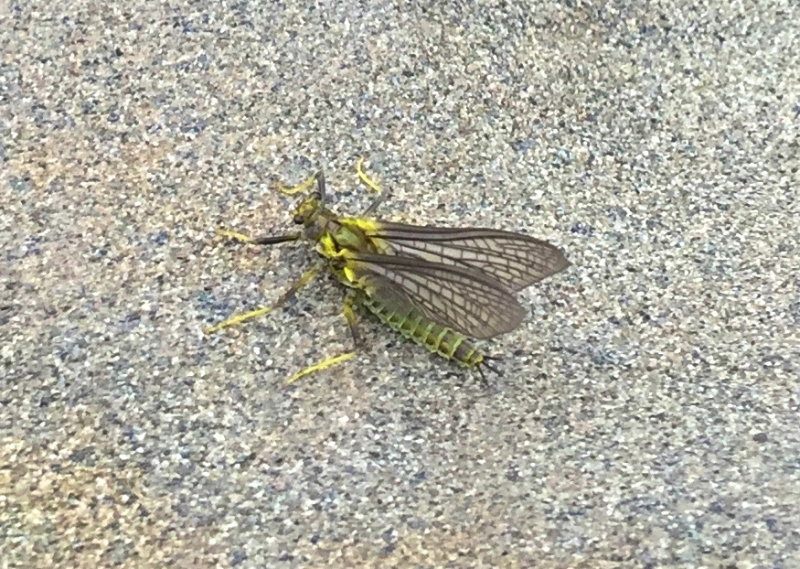 Speed River - Stonefly Shuck. 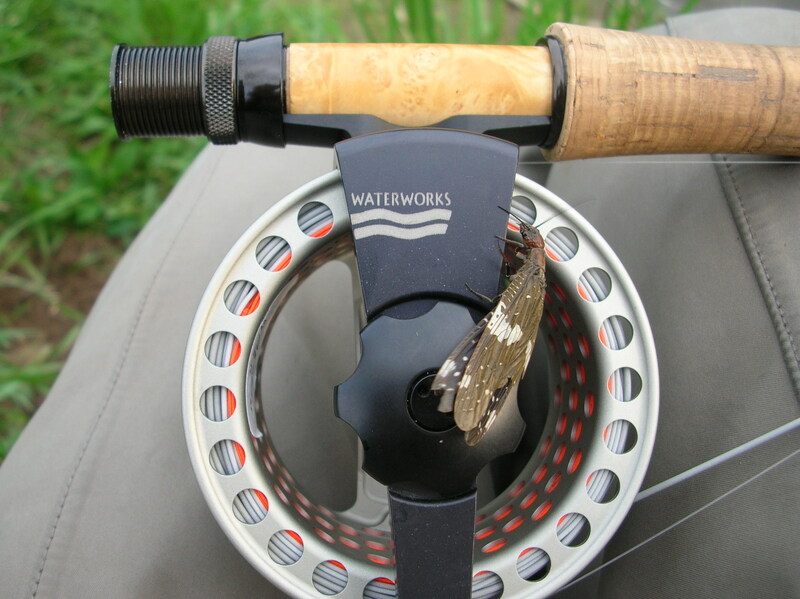 Upper Grand River BWO in Spider Web. 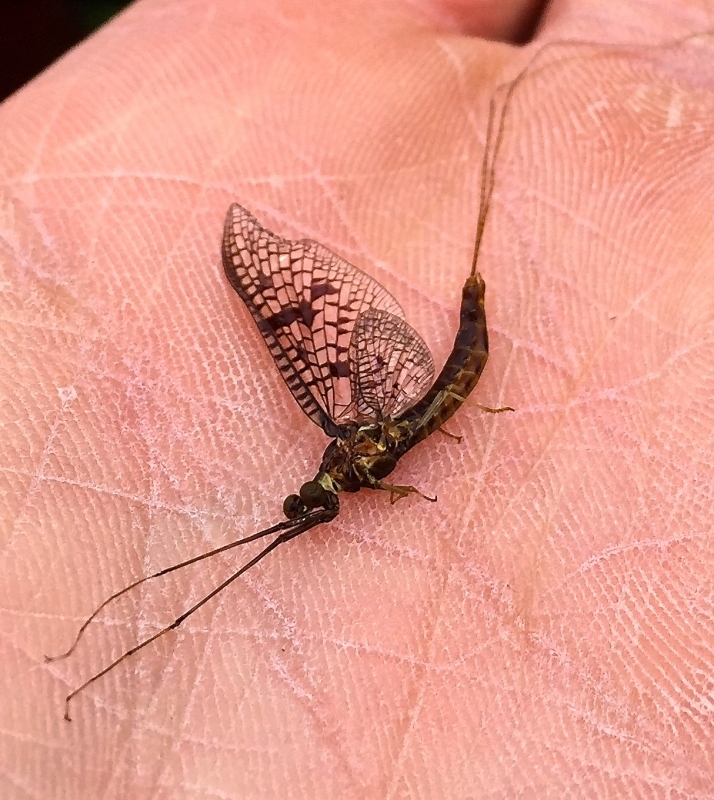 Caddis Eggs on Simms Waders. 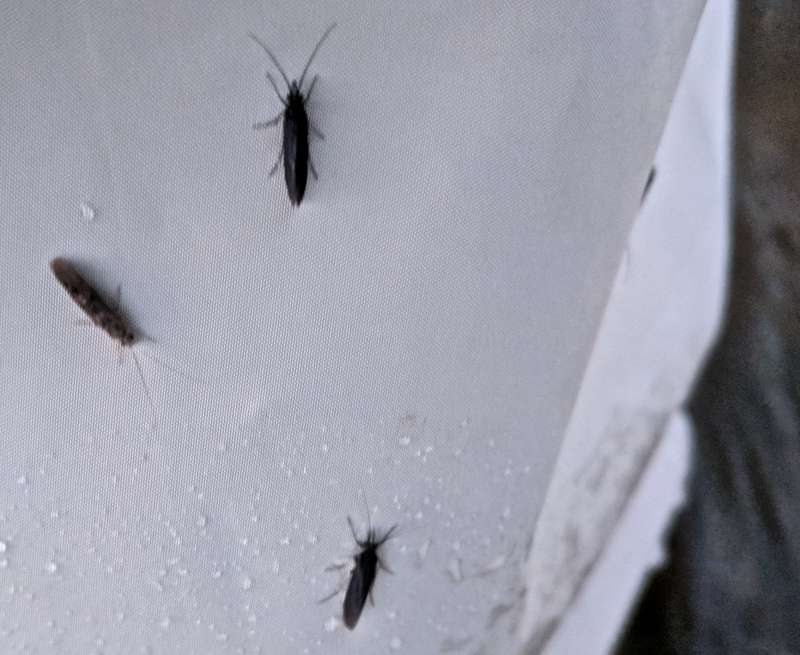 Common Credit River Stonefly Nymph. 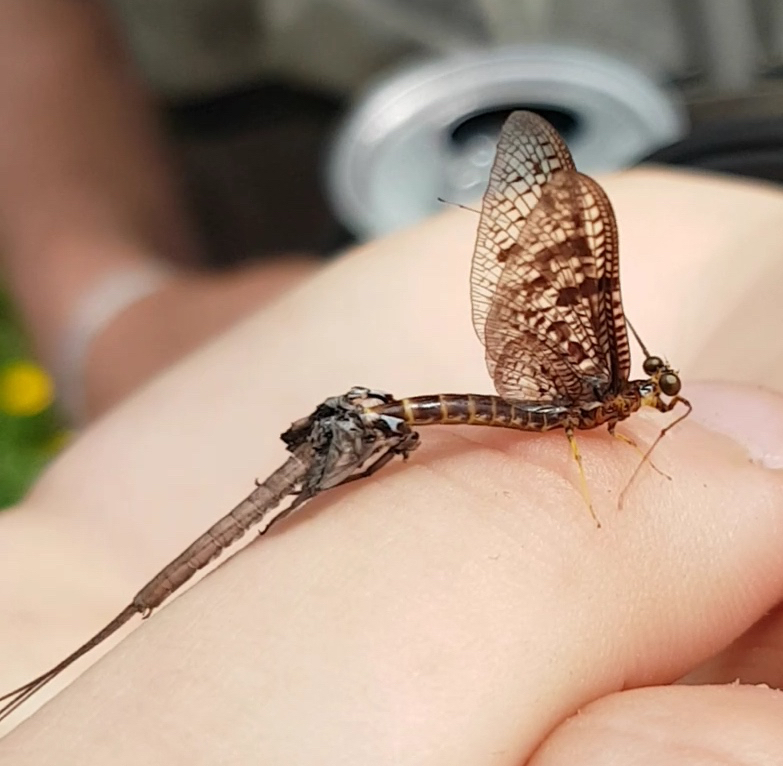 March Brown and Mayfly Nymph. 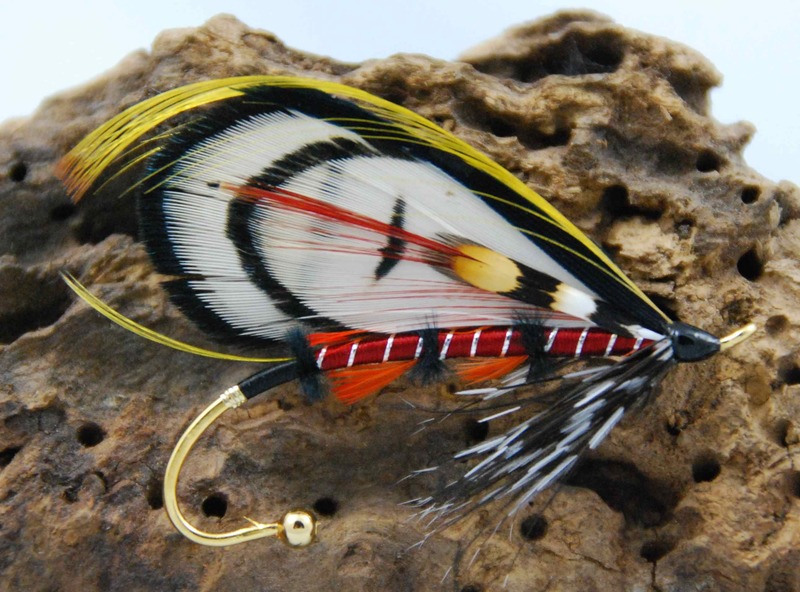 Upper Grand River Tricos on TFC Hats. 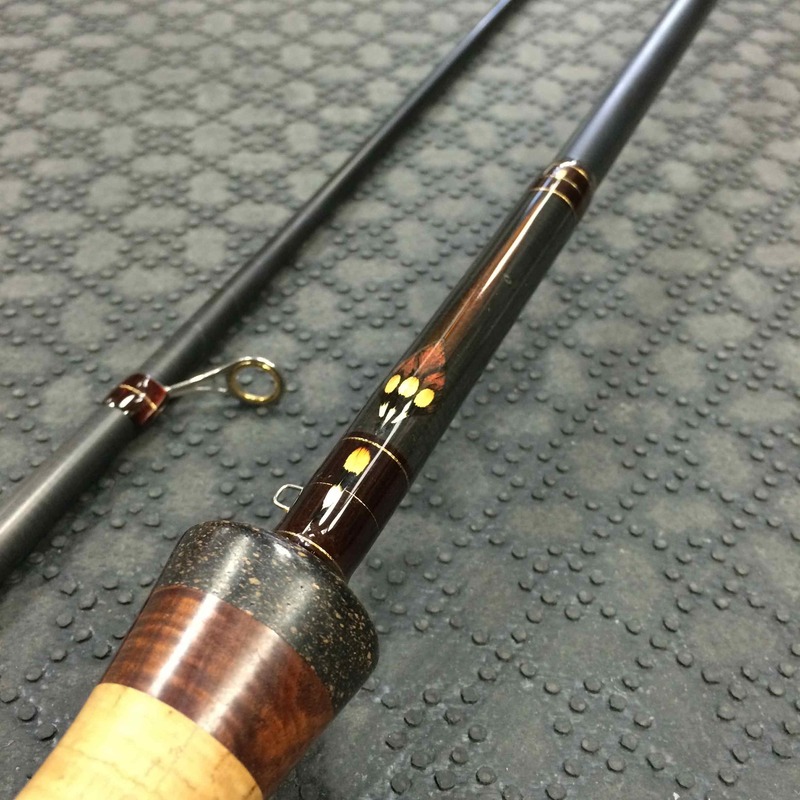 Grand River Brown Drake Shuck. 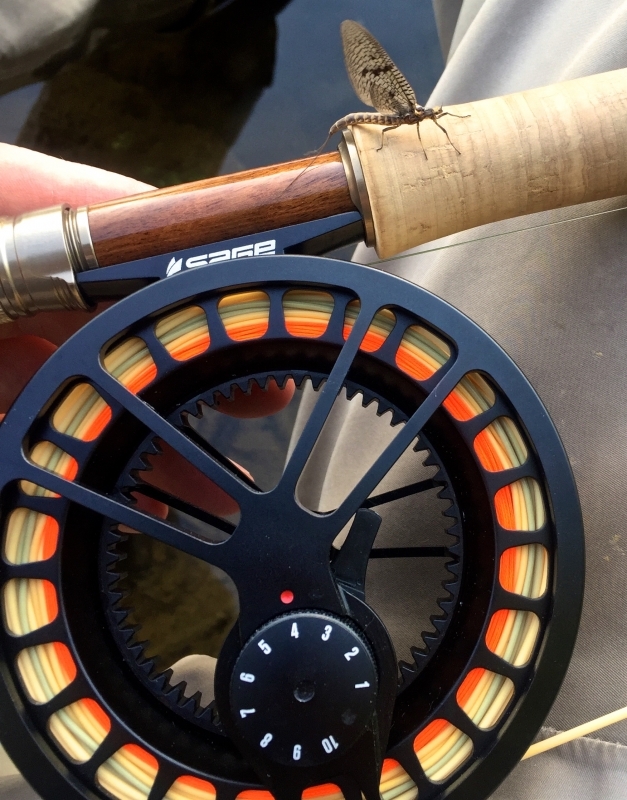 Grand River Brown Drake Spinner. 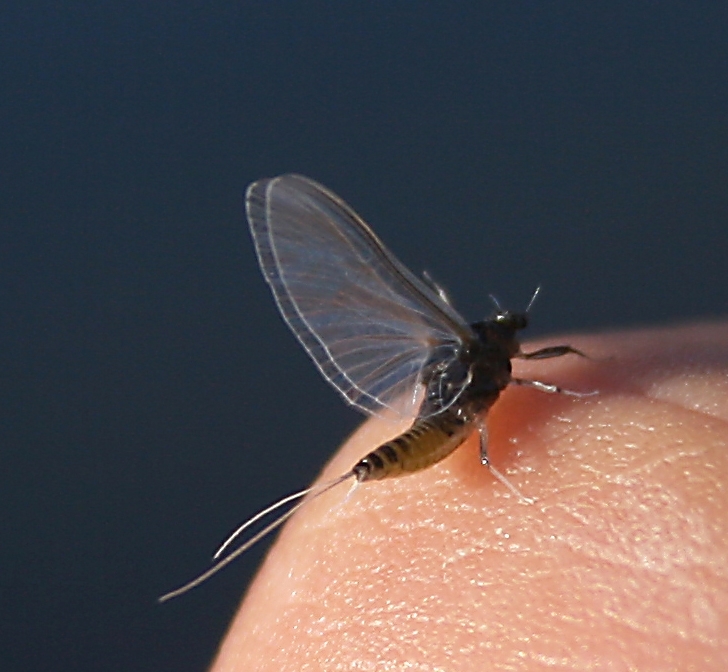 Grand River Early Blue Winged Olive. 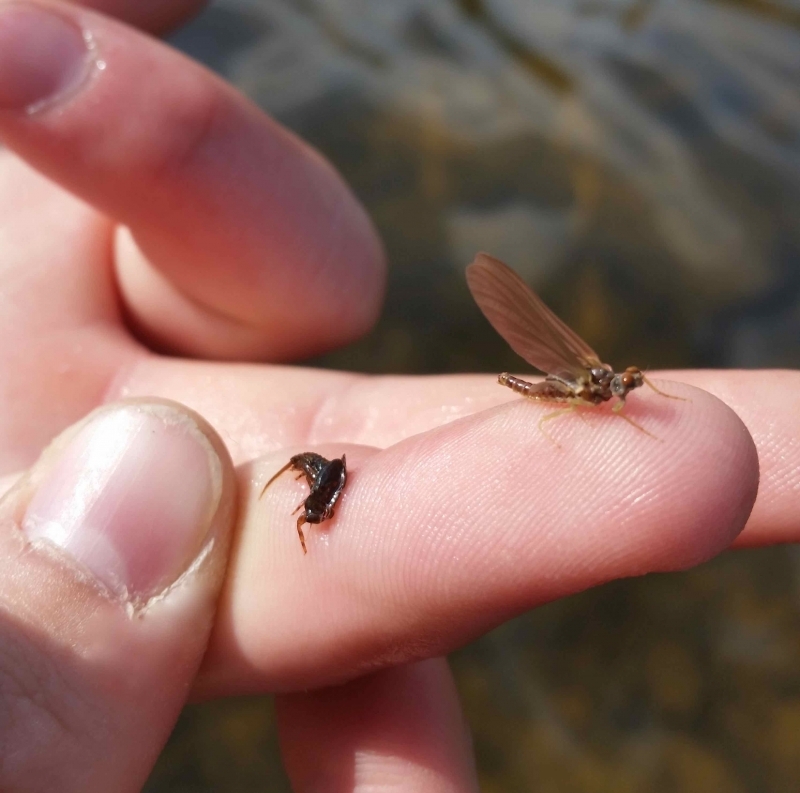 Grand River - Brown Drakes. 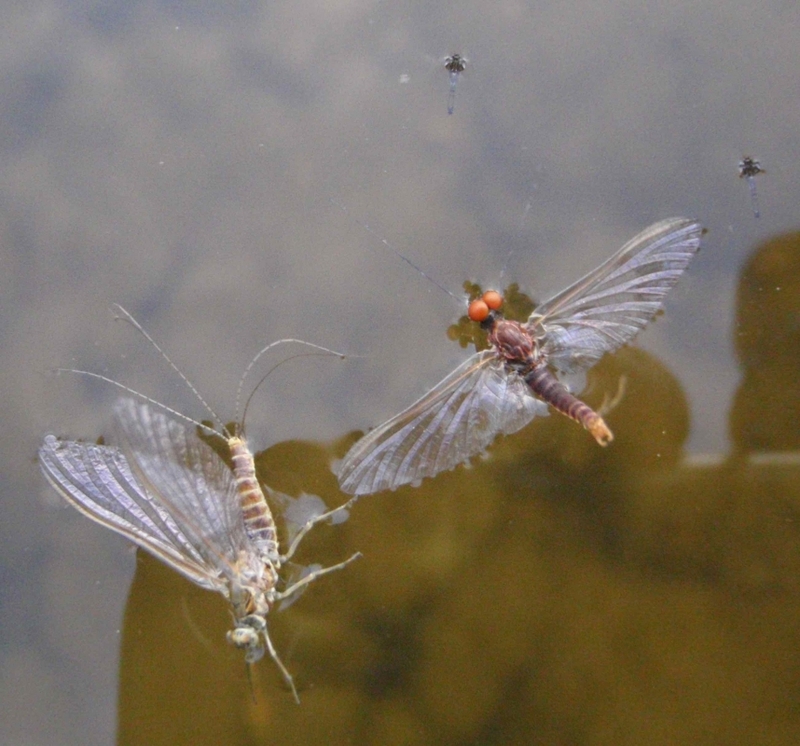 Brown Drakes and Crane Flies. 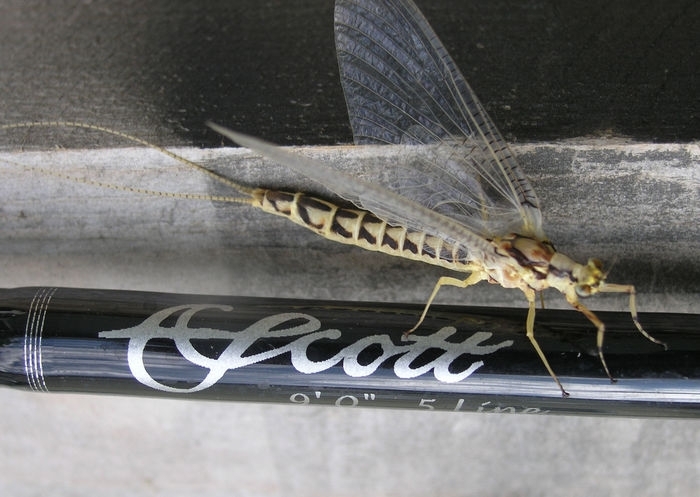 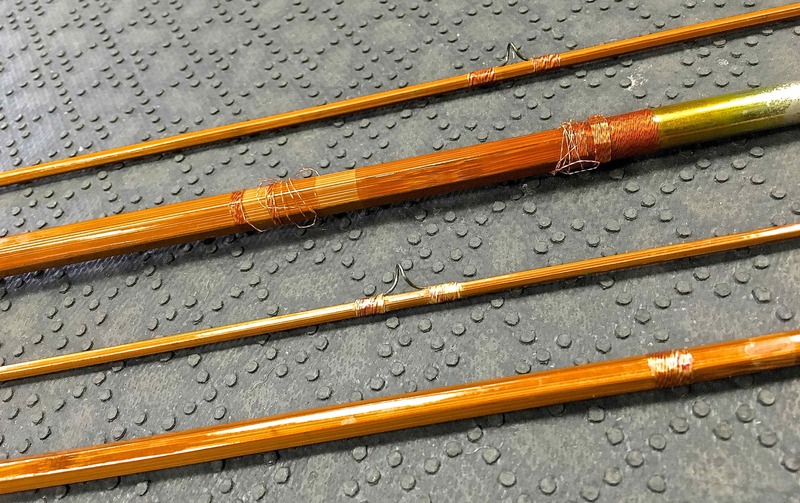 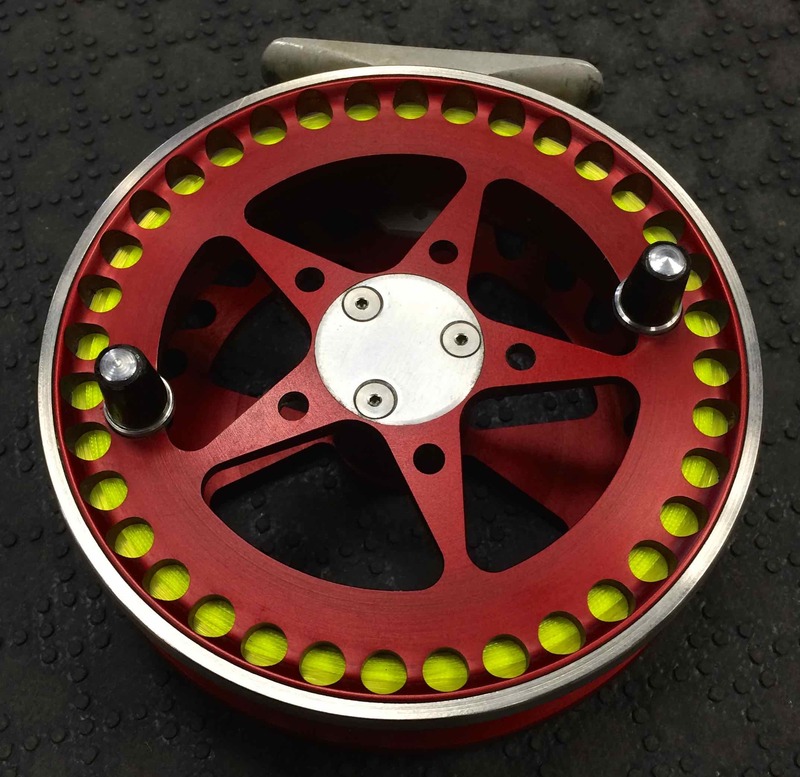 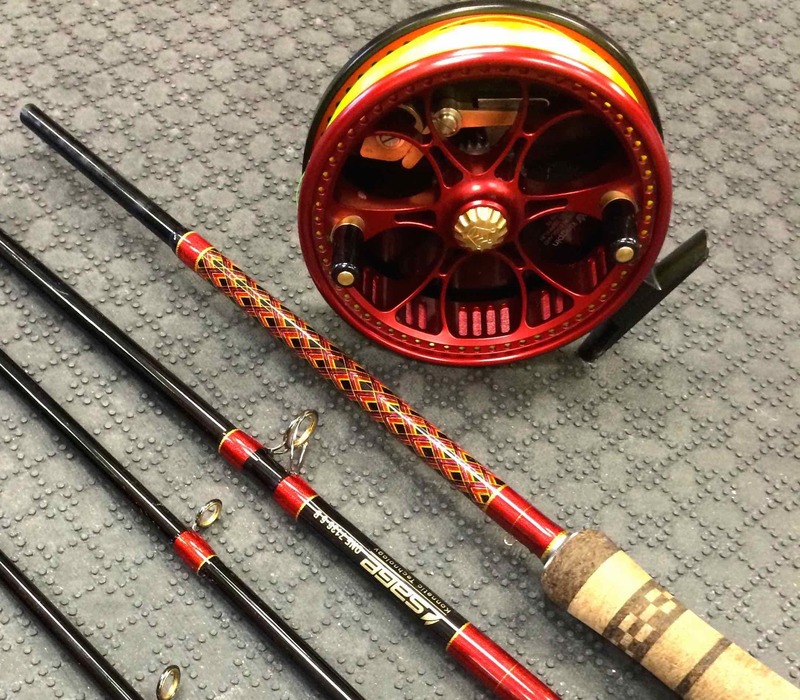 Scott Fly Rod - Hex. 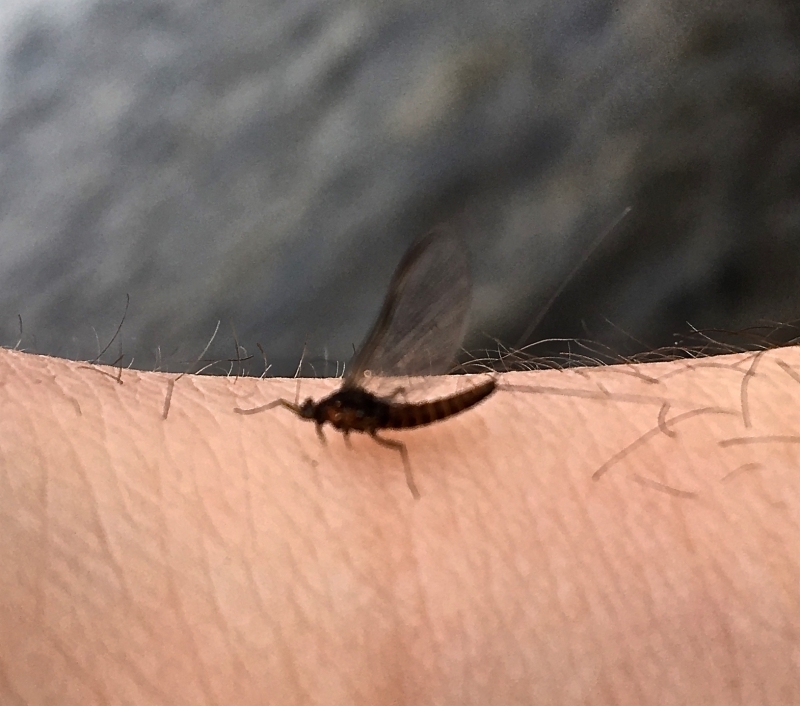 Speed River Mayfly Clean Up. 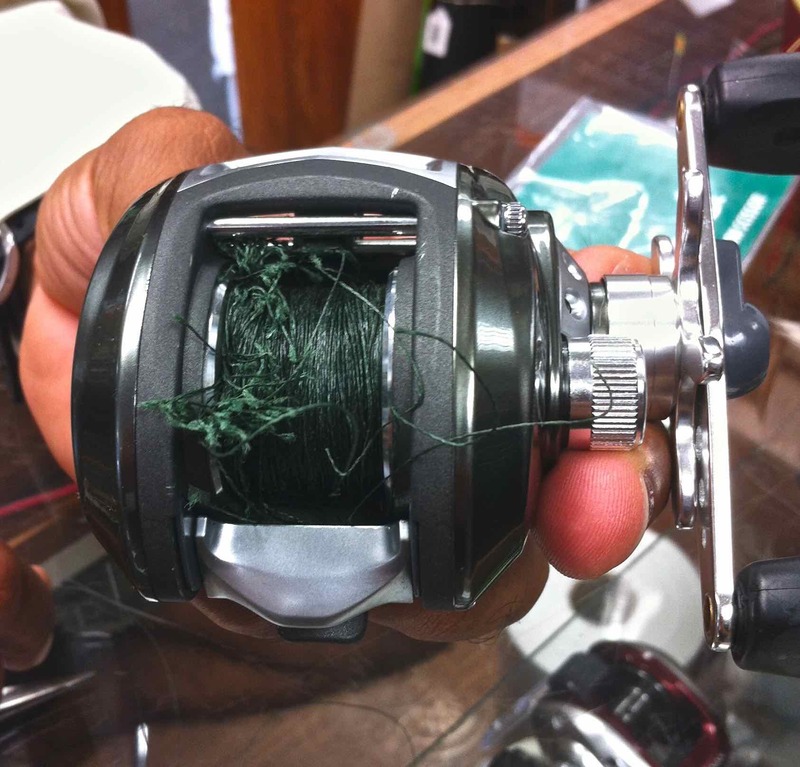 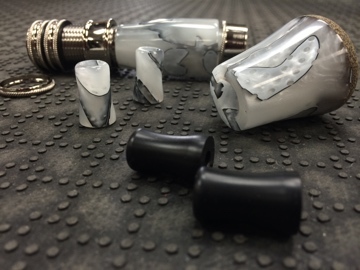 Tricos - The First Cast Hat. 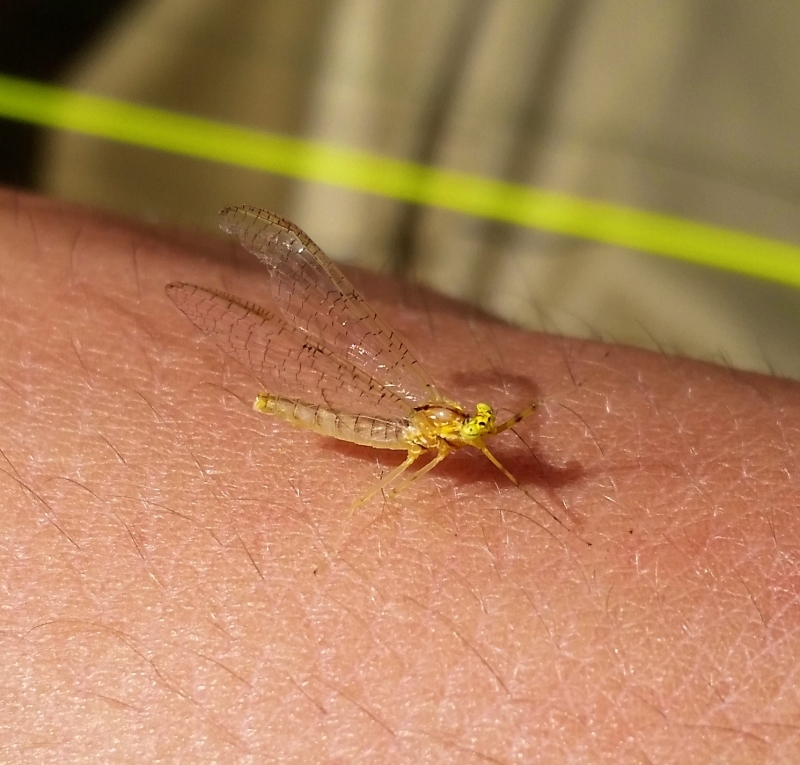 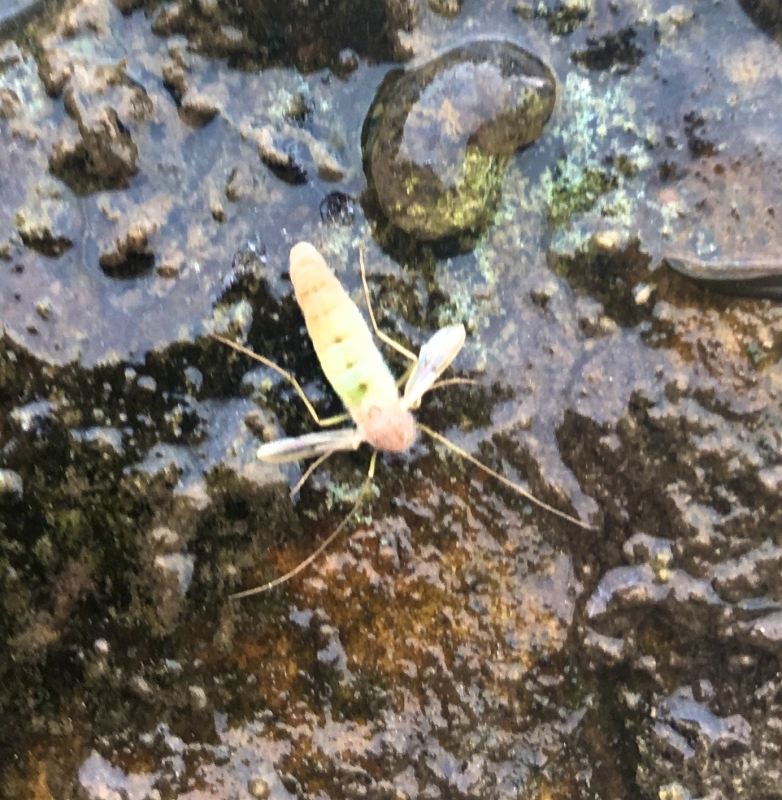 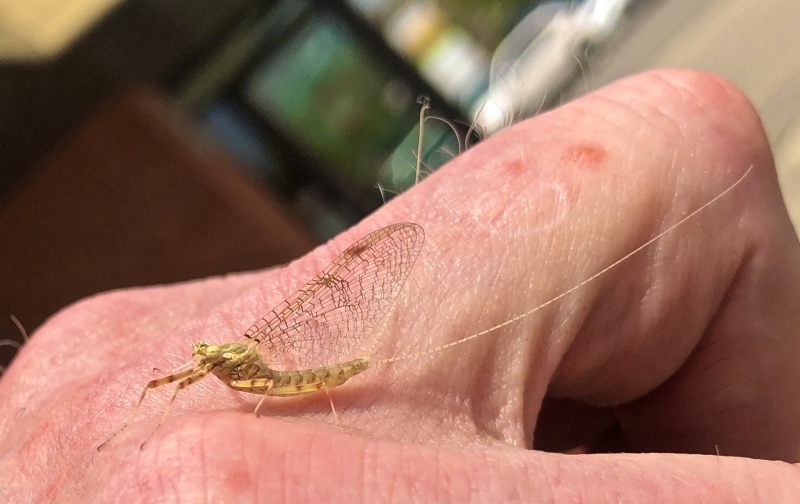 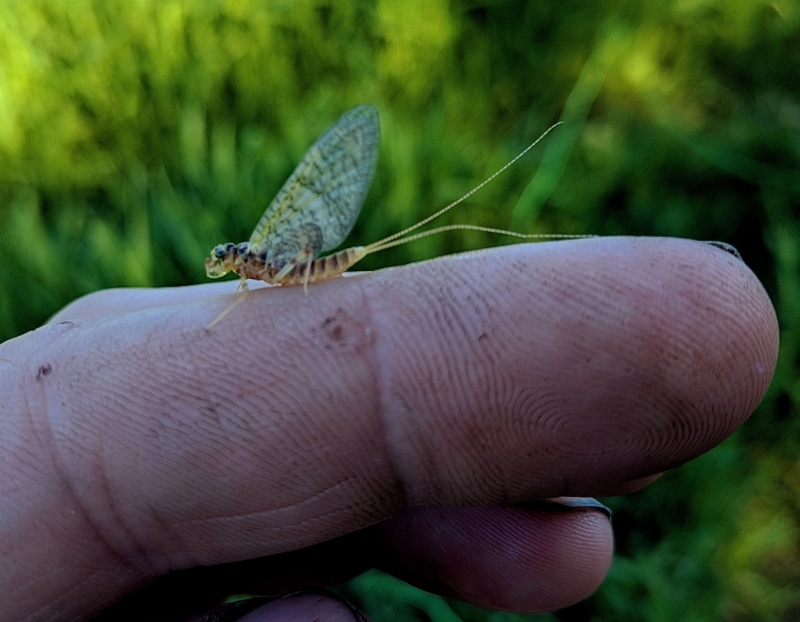 Grand River - Mayfly Nymph. 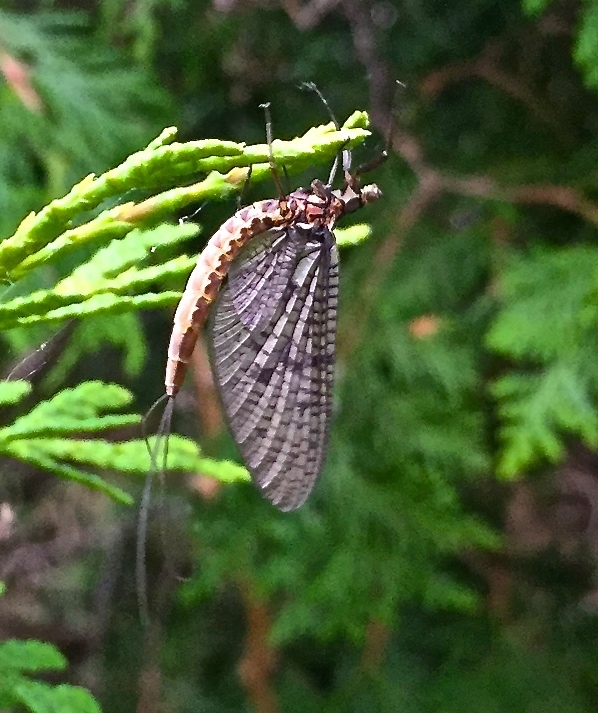 Credit River - Sulpher Nymph. 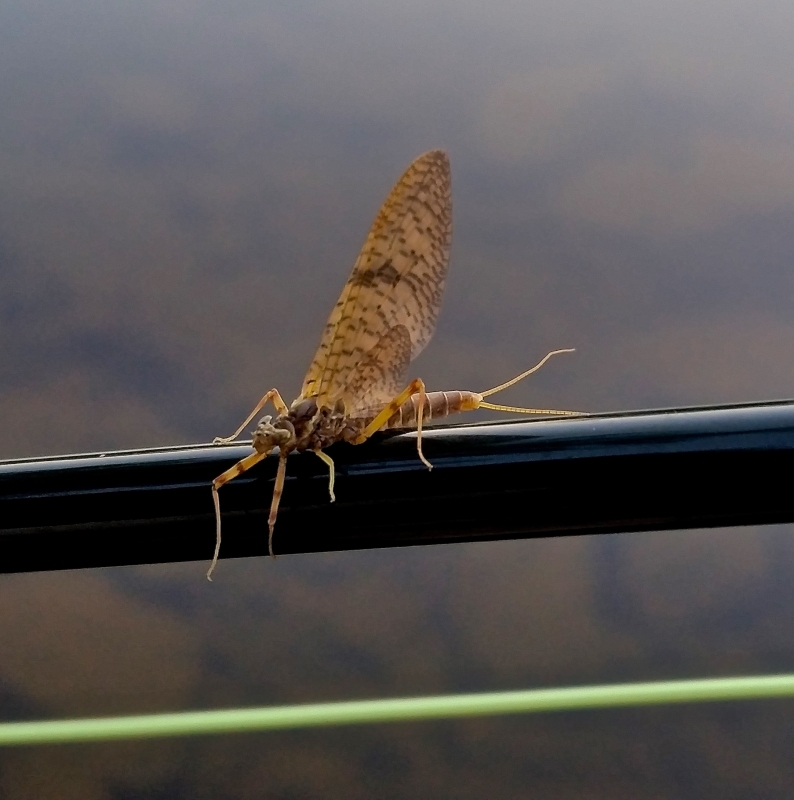 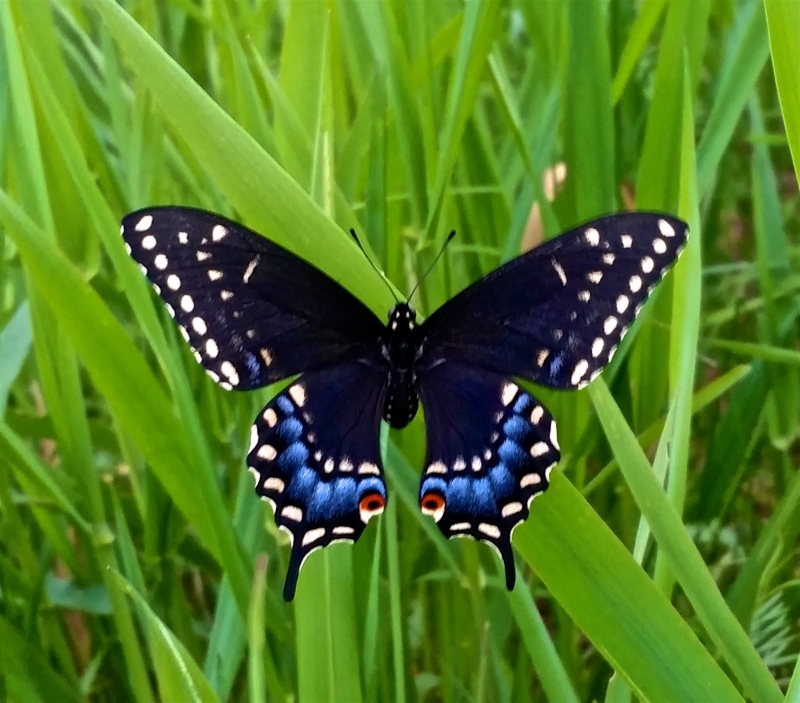 A Upper Grand River Butterfly. 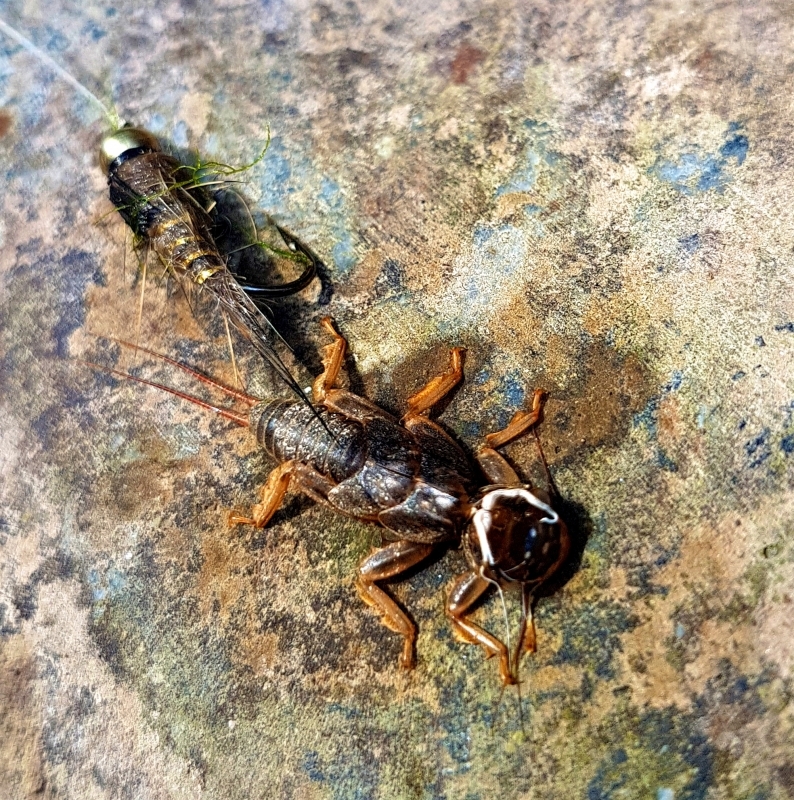 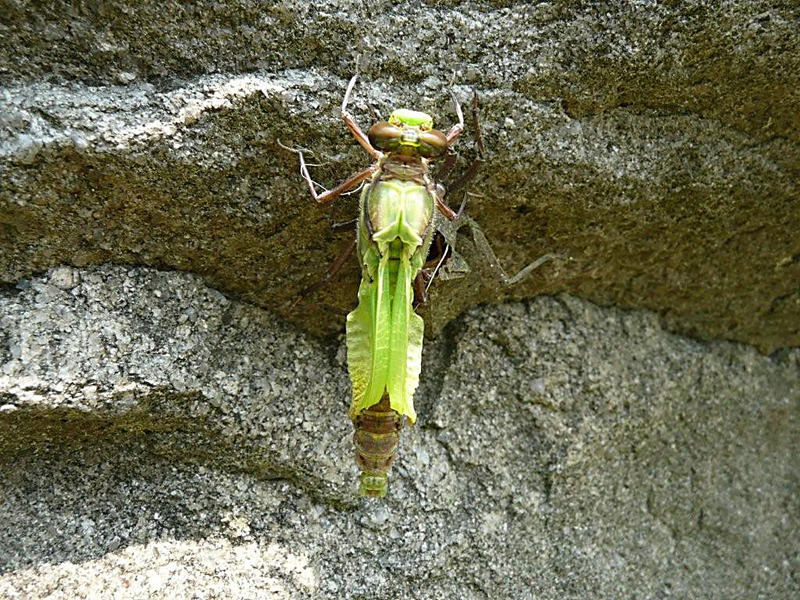 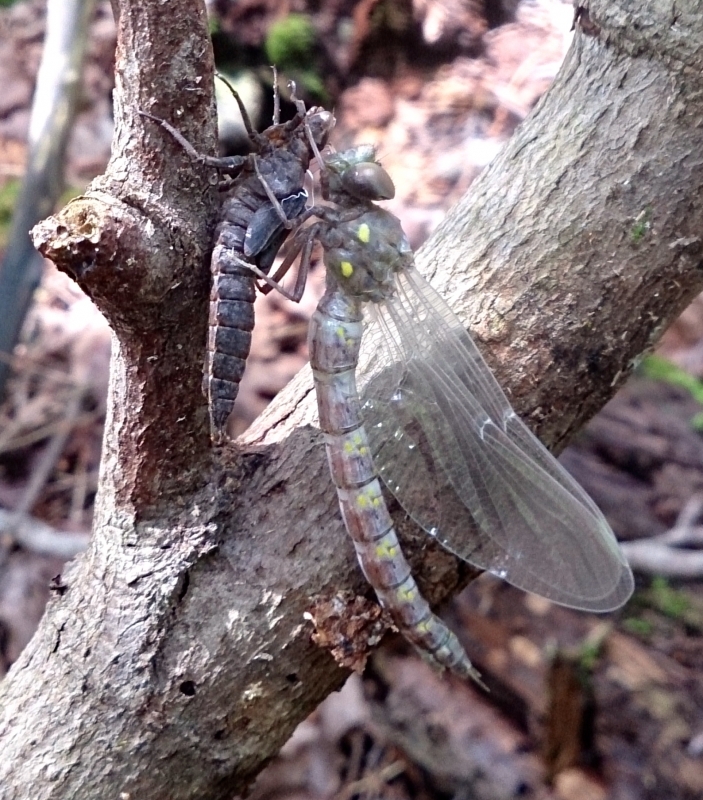 Adult Dragonfly Emerging from it's Nymph Husk. 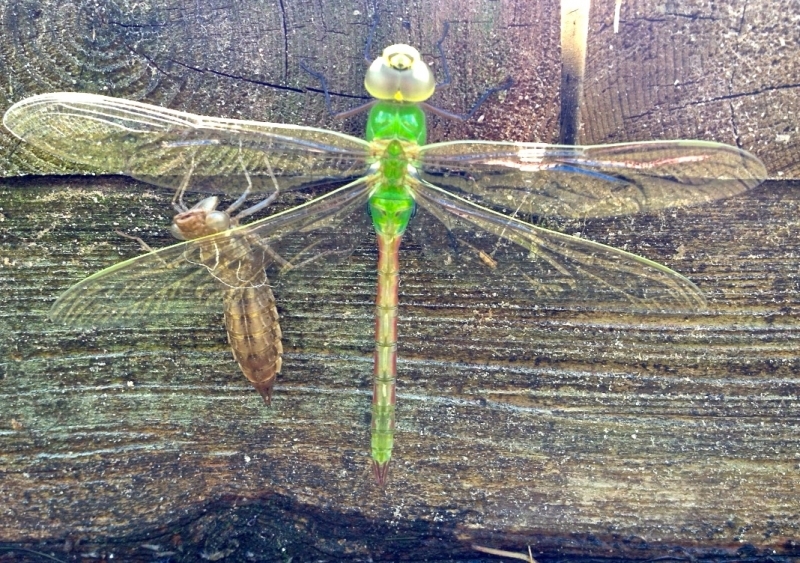 Adult Dragonfly Emerging from it's husk. 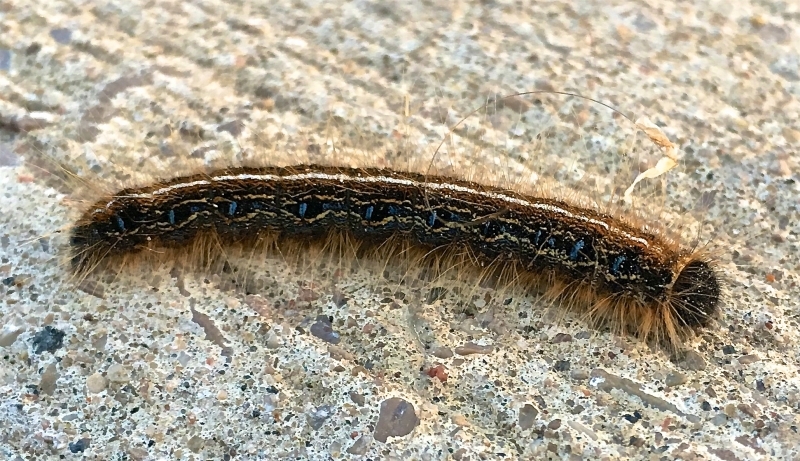 A Upper Grand River Caterpillar. 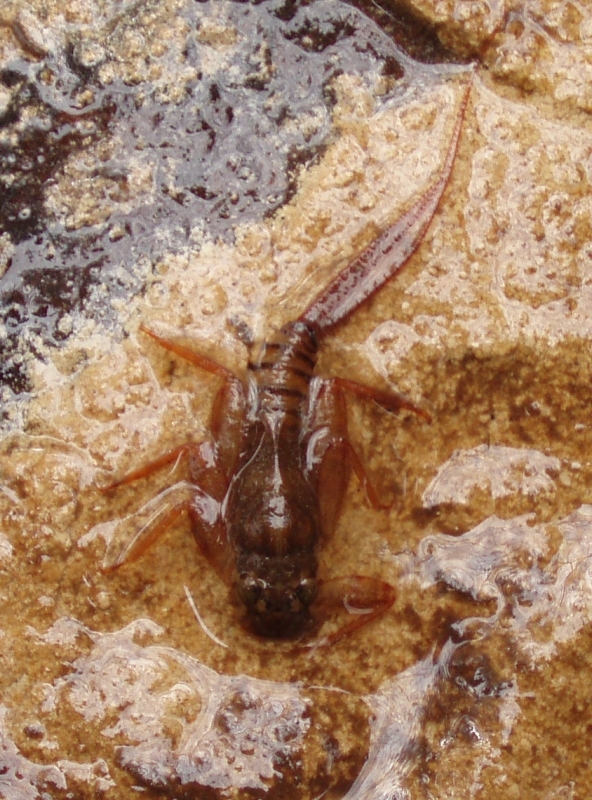 A Upper Grand River Hellgrammite. 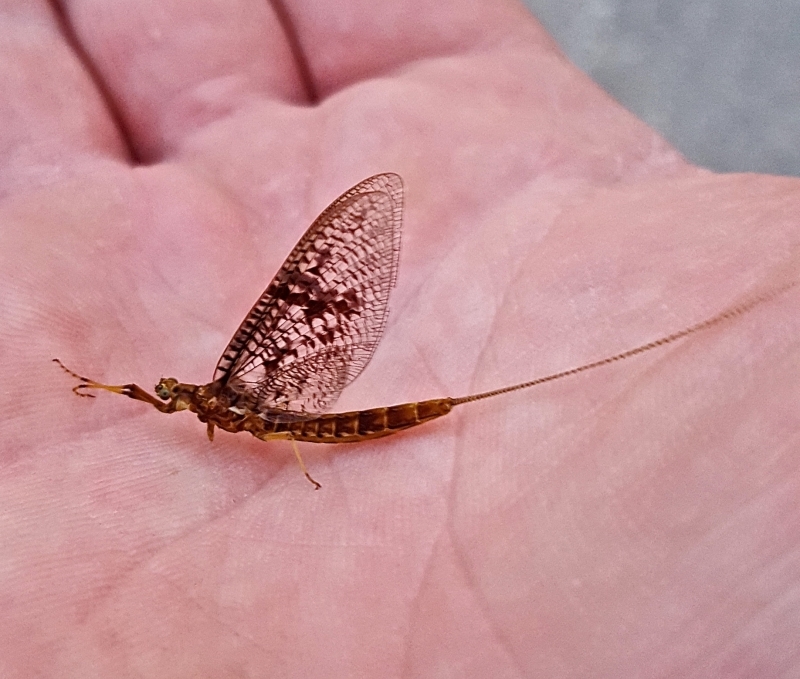 A Fall British Columbia Salmo River October Caddis. 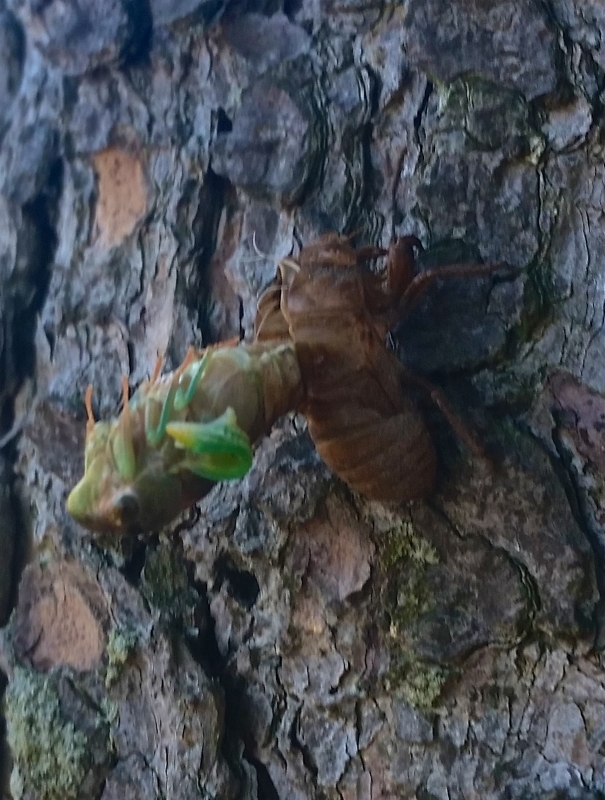 A Cicada Transforming in Maryhill, Ontario - July 2016. 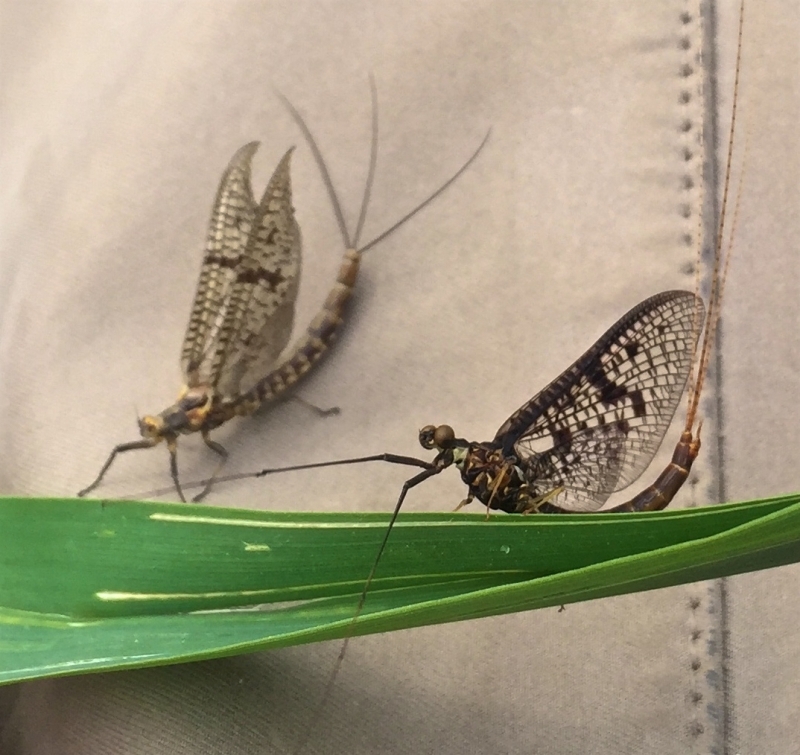 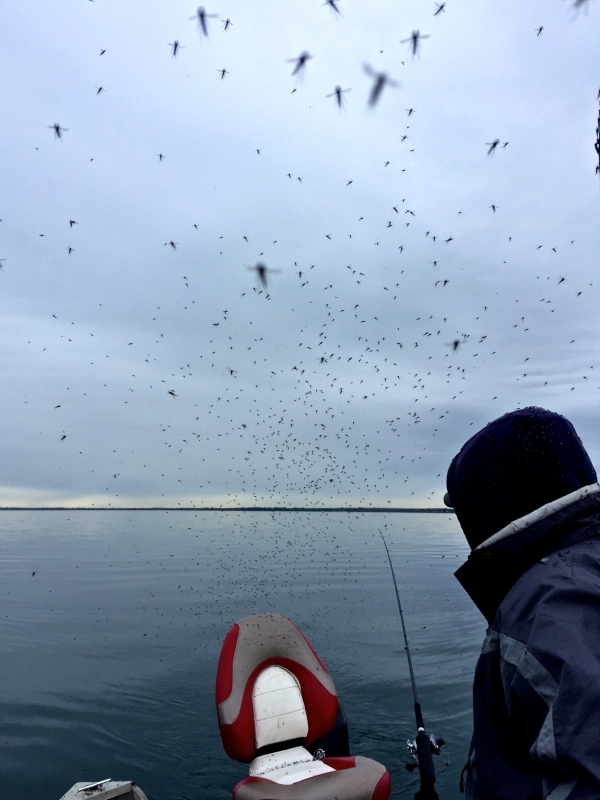 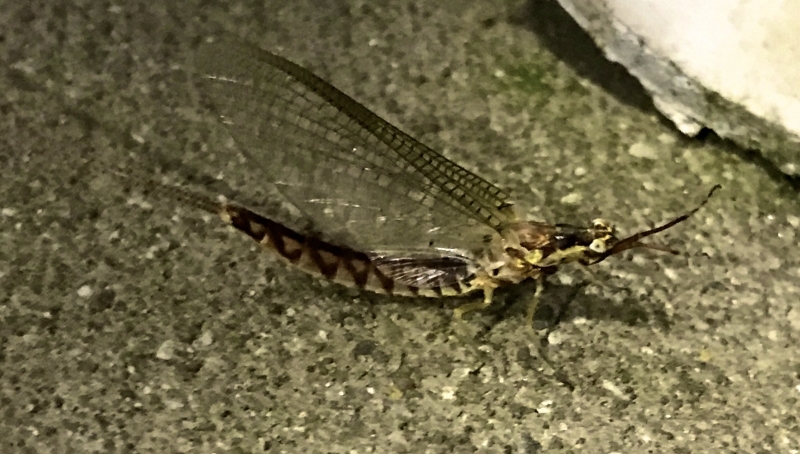 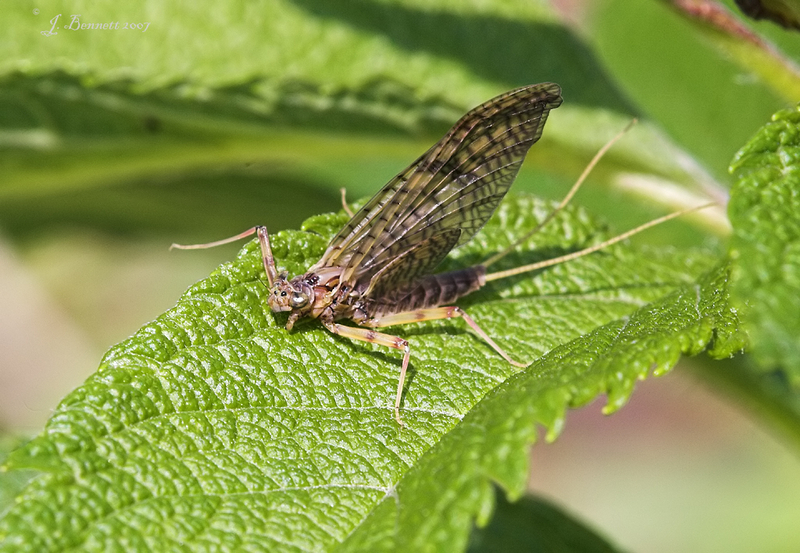 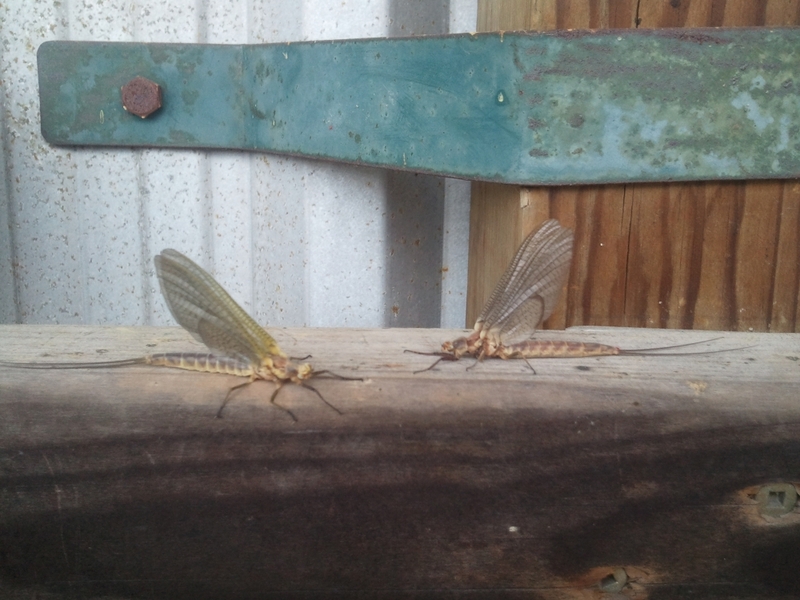 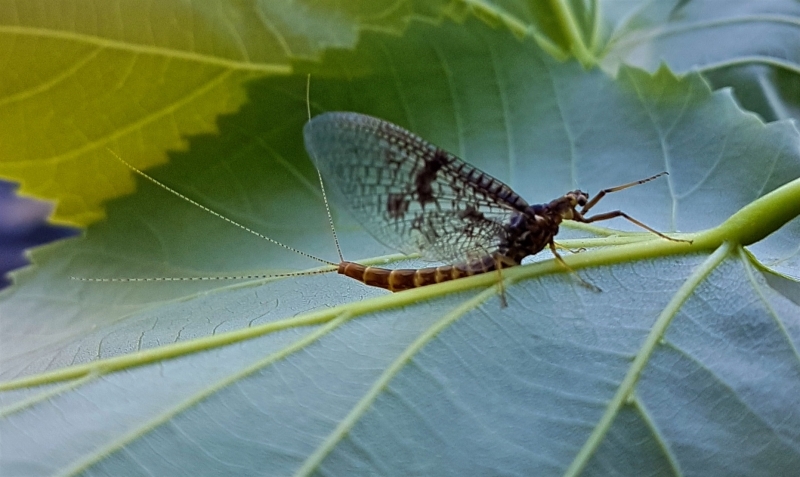 Mayflies in June - Wallaceburg Ontario. 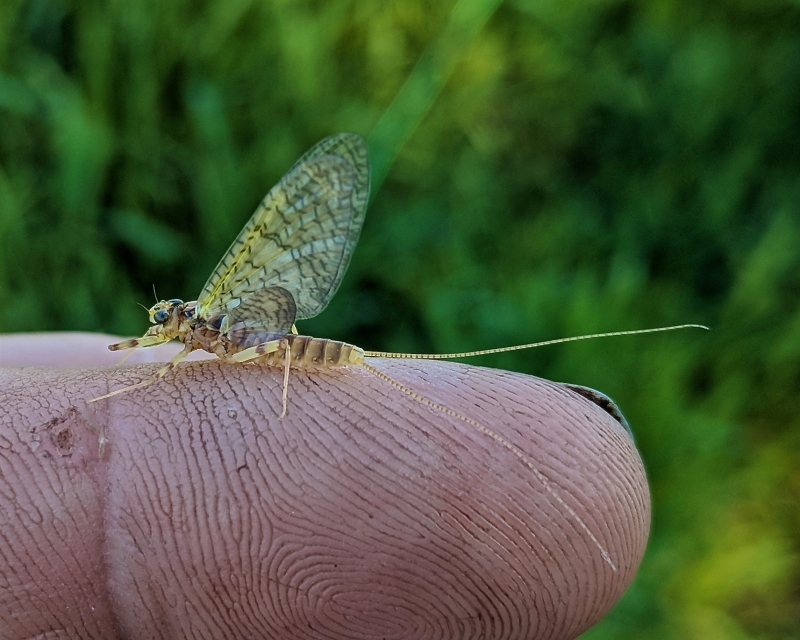 Although the Grand’s resident trout fishery is only possible because of cold water from a bottom-draw dam at the headwaters, the river is also largely fed by runoff from intensely farmed and populated land. 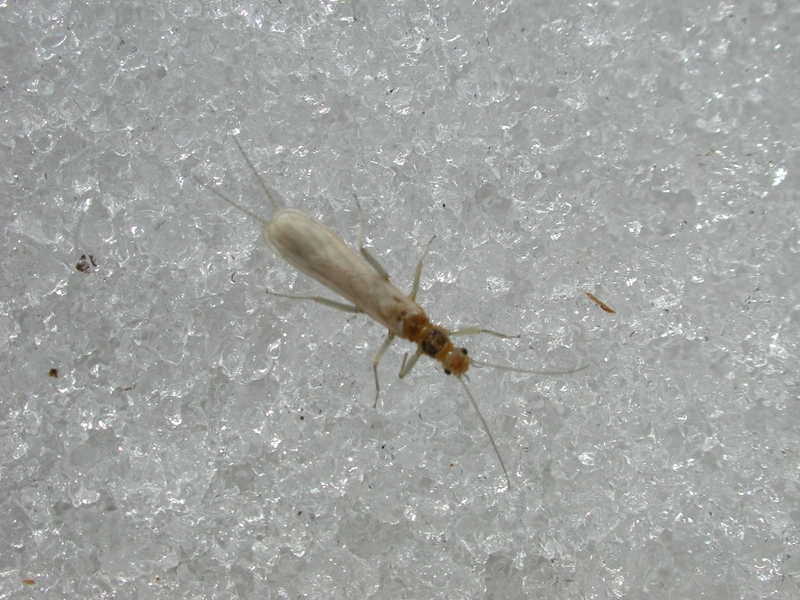 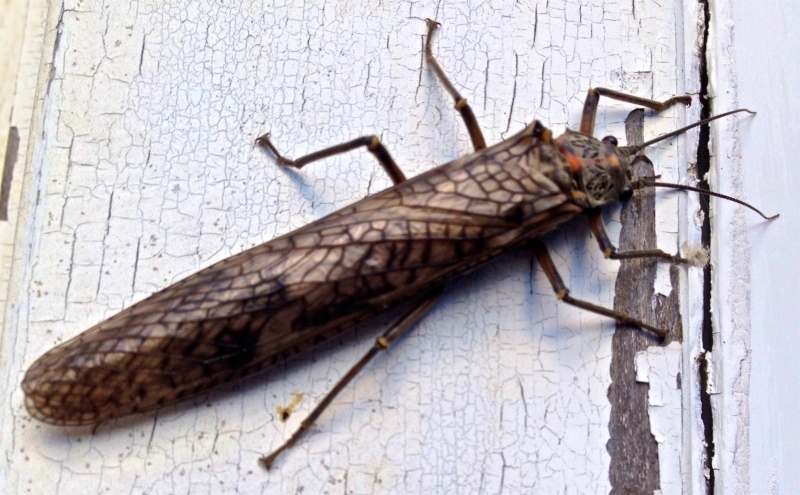 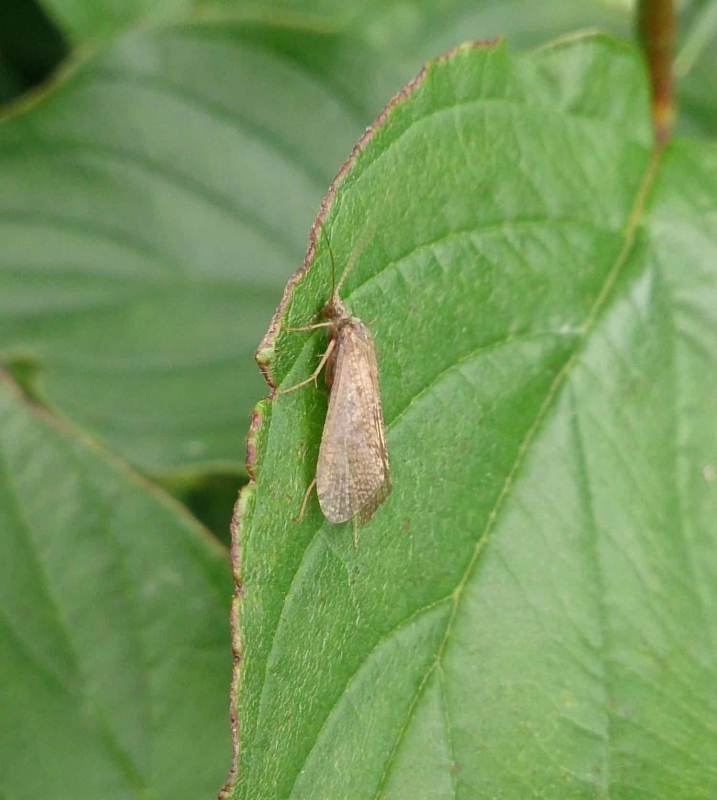 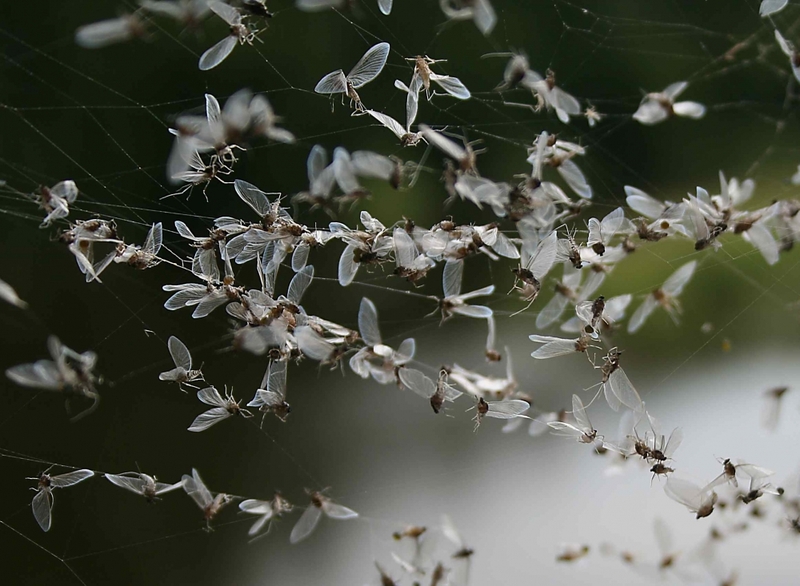 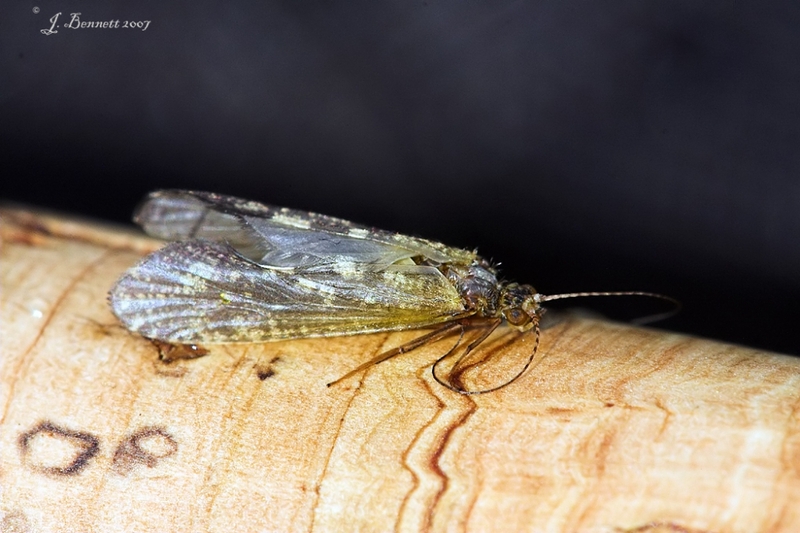 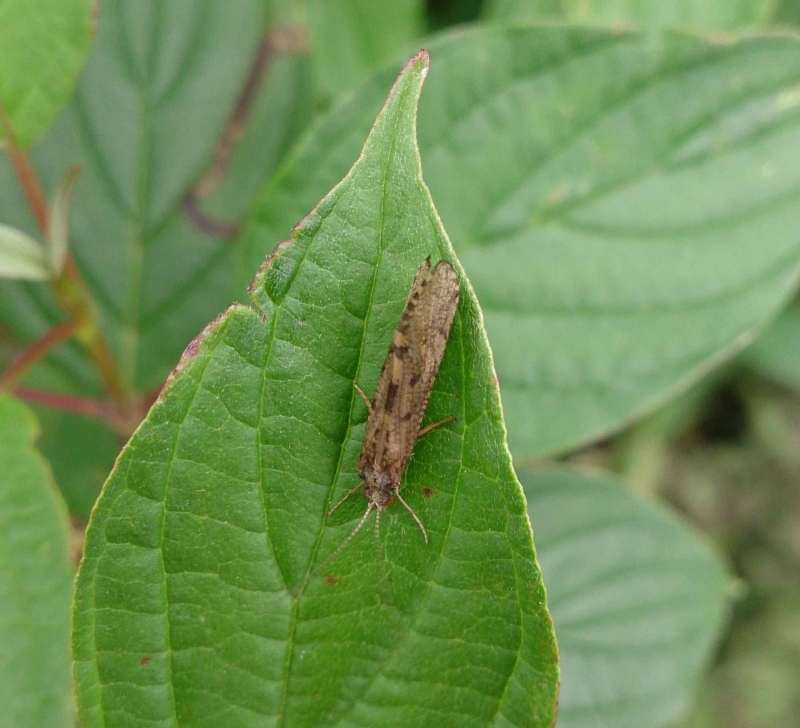 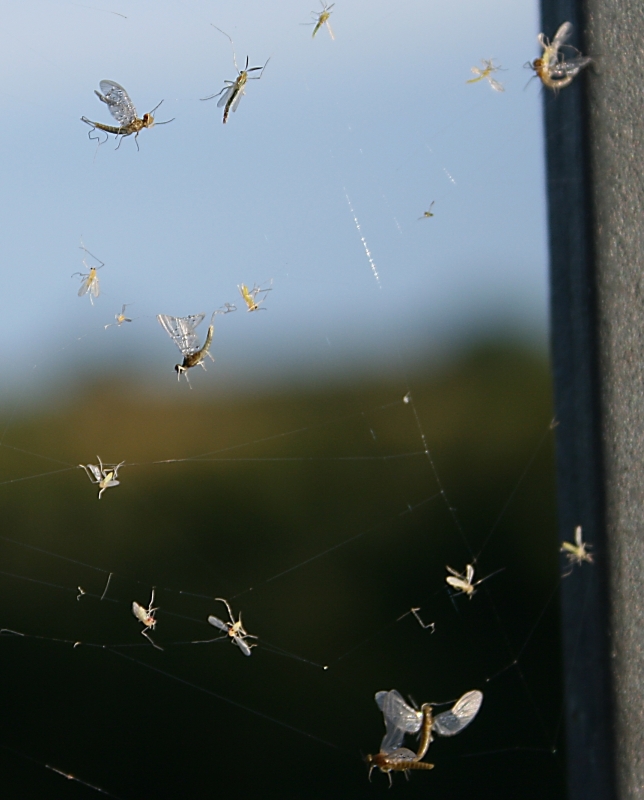 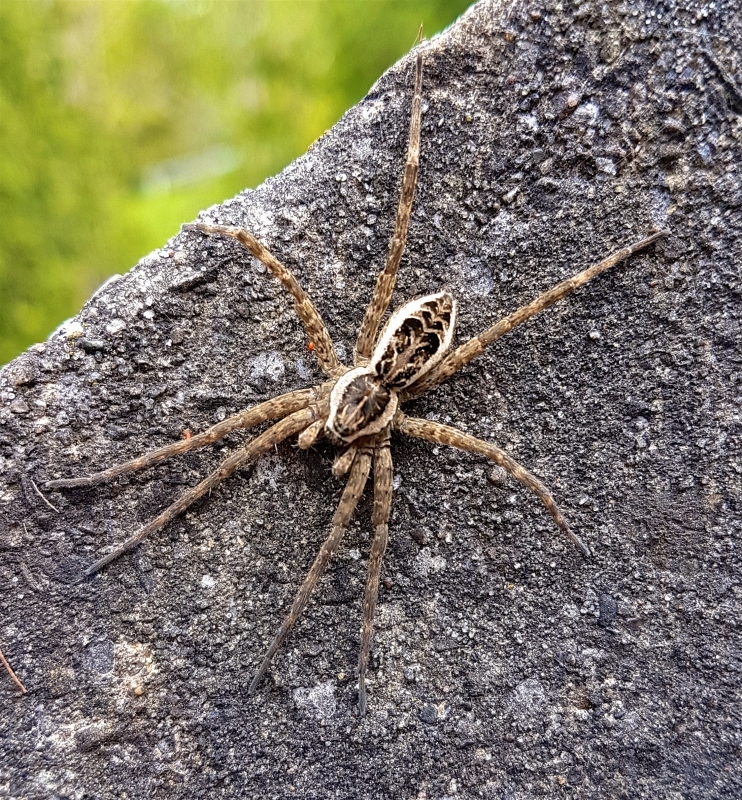 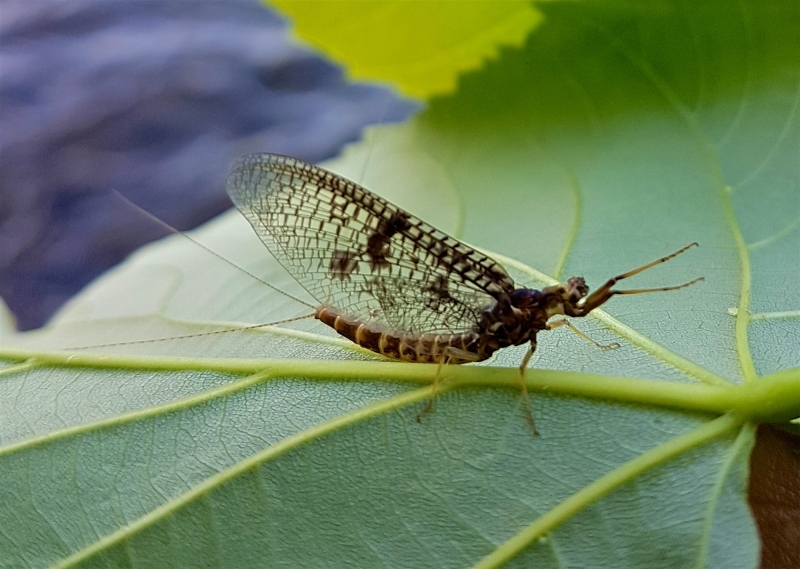 When it comes to insects, this means a much larger population of caddisflies and fewer mayflies. 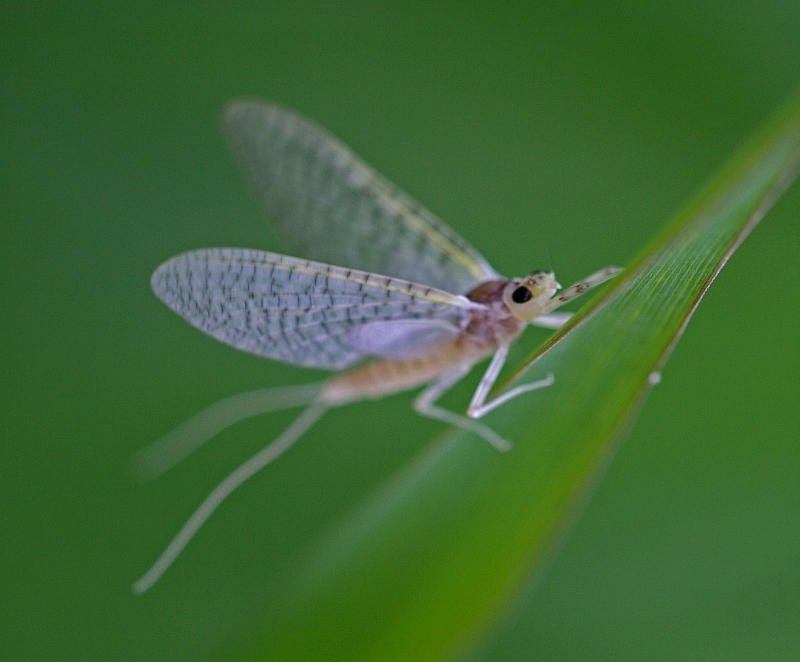 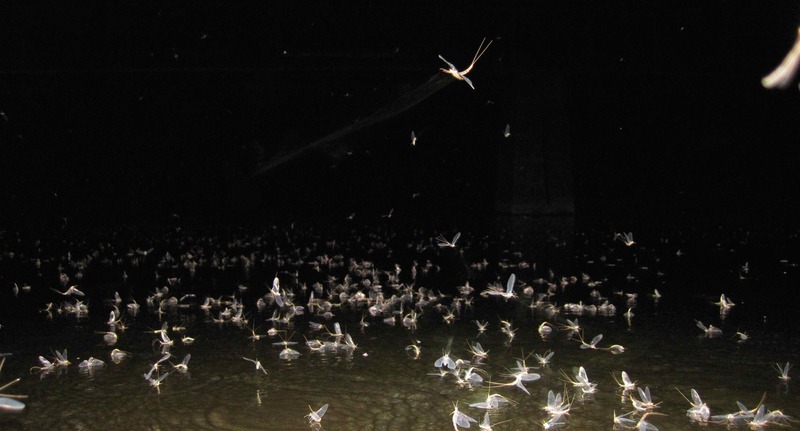 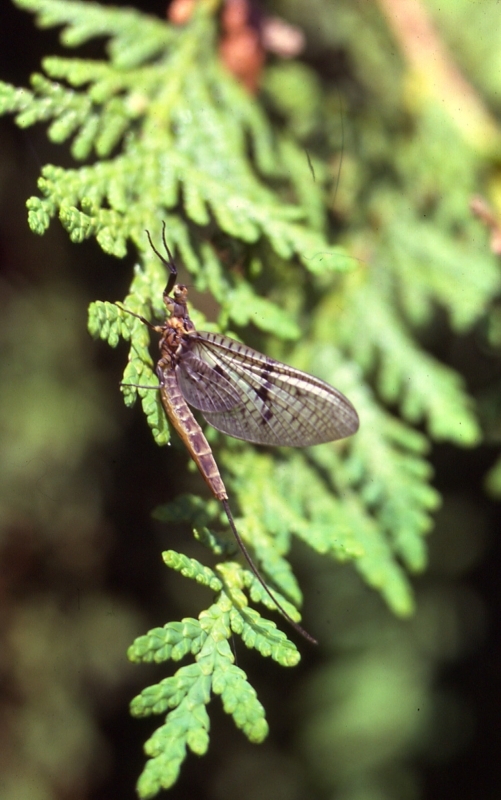 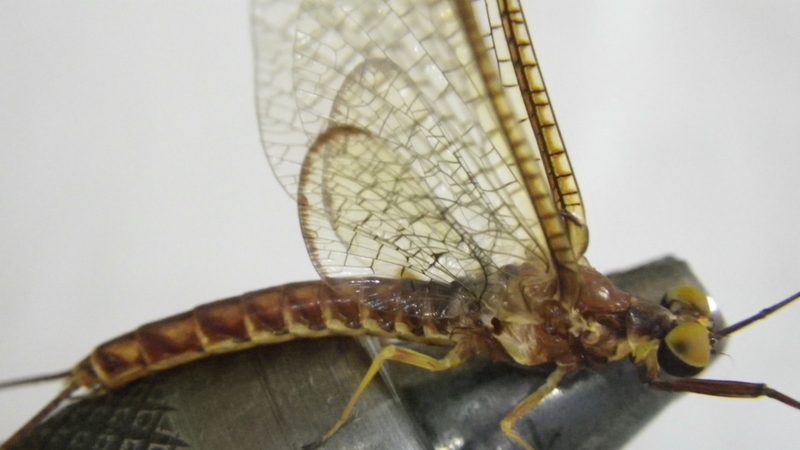 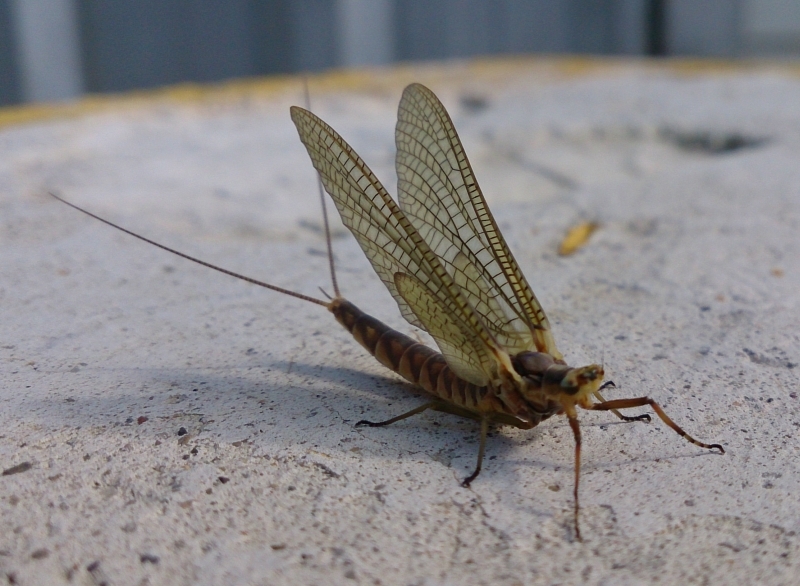 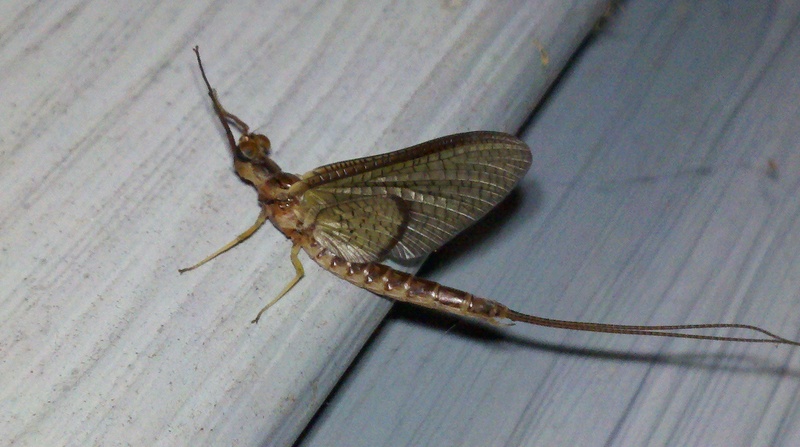 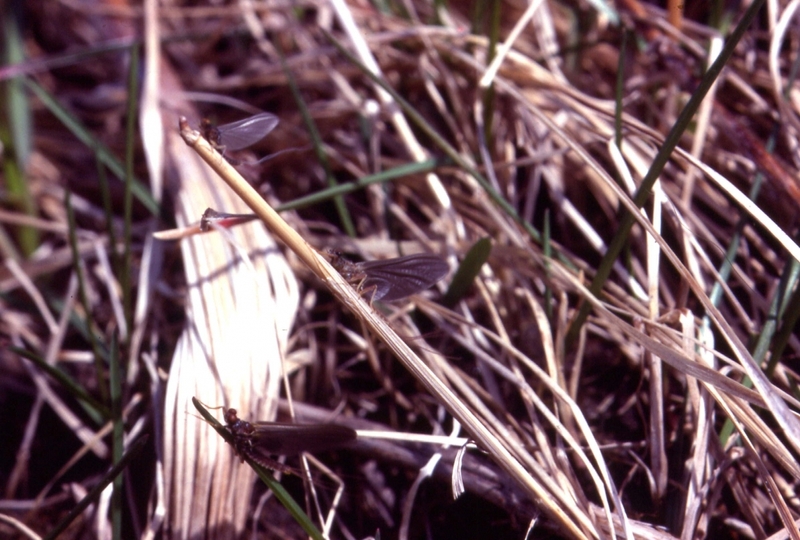 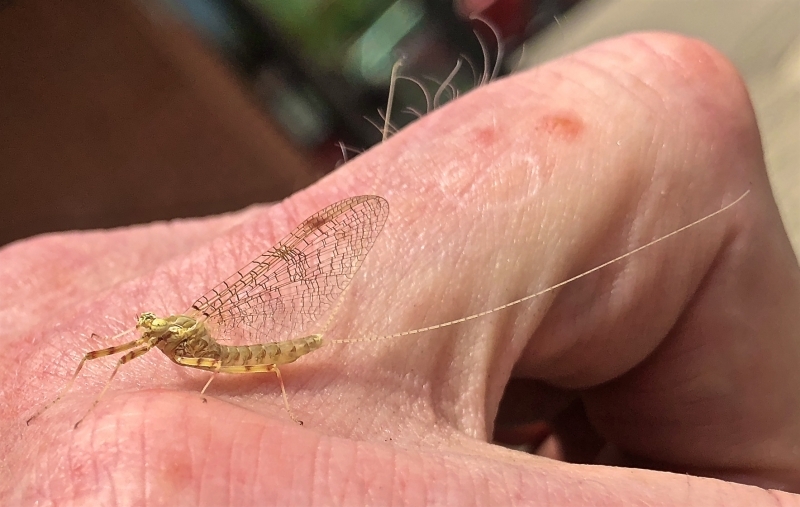 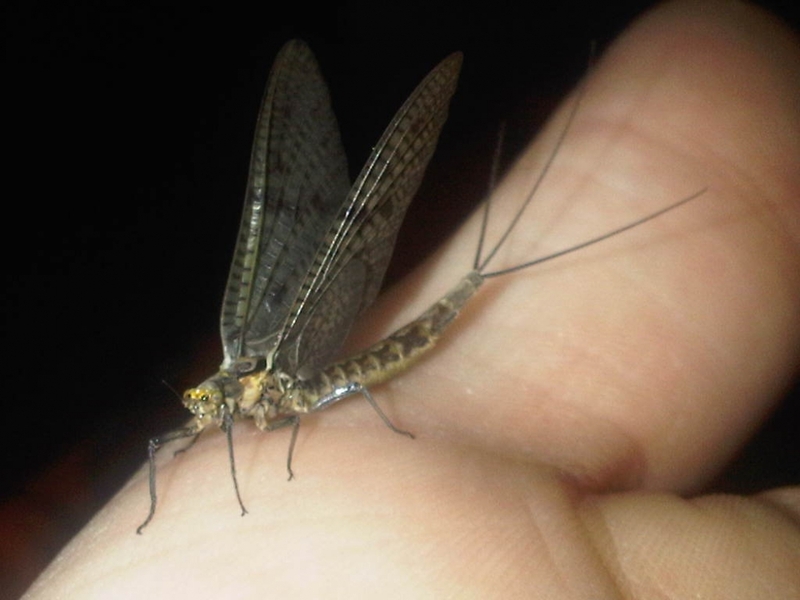 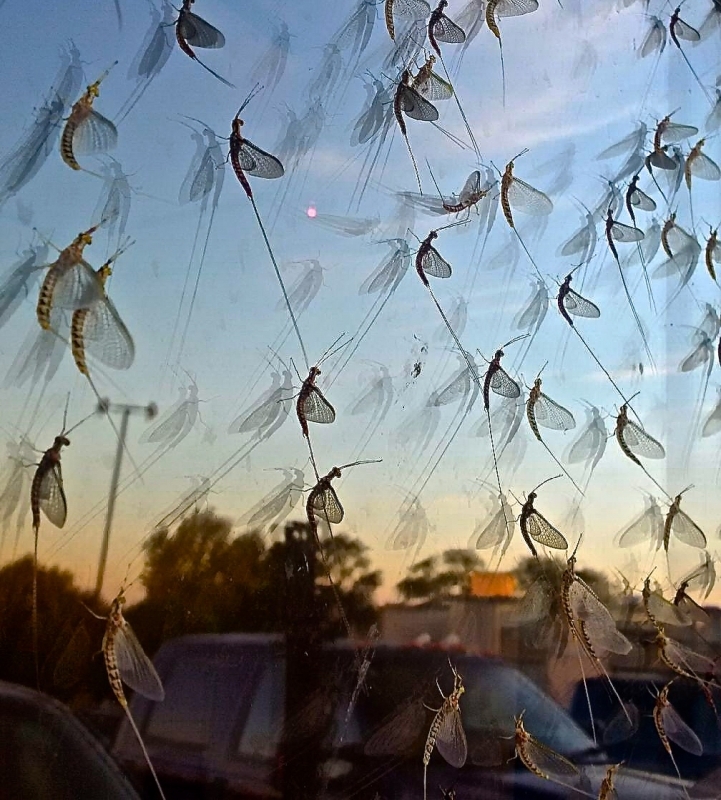 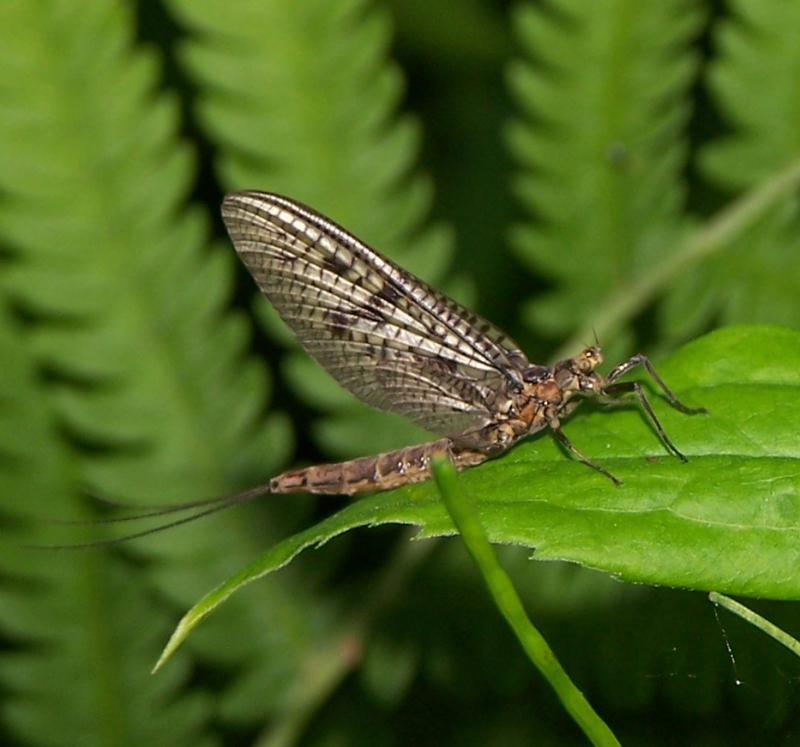 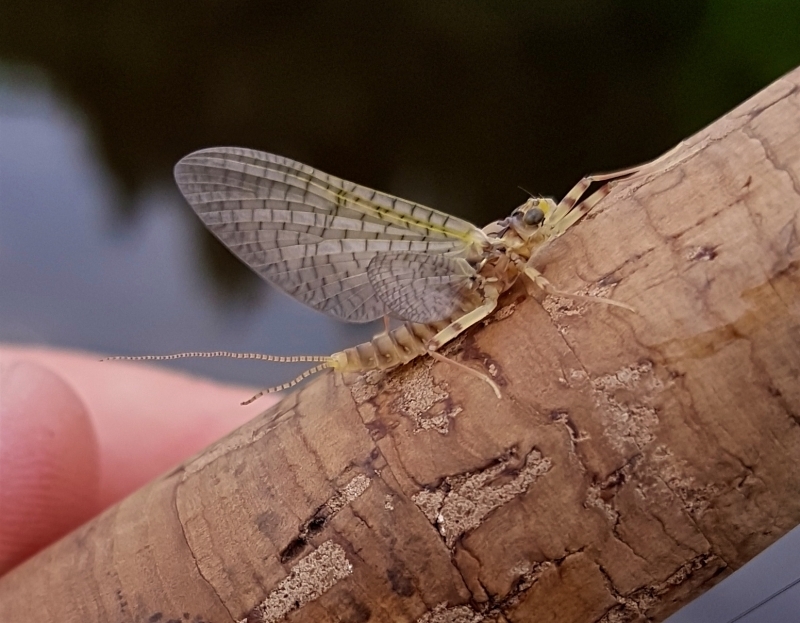 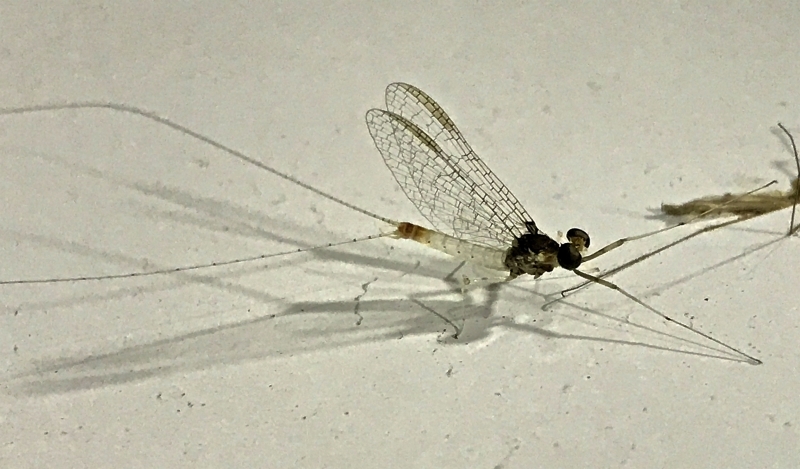 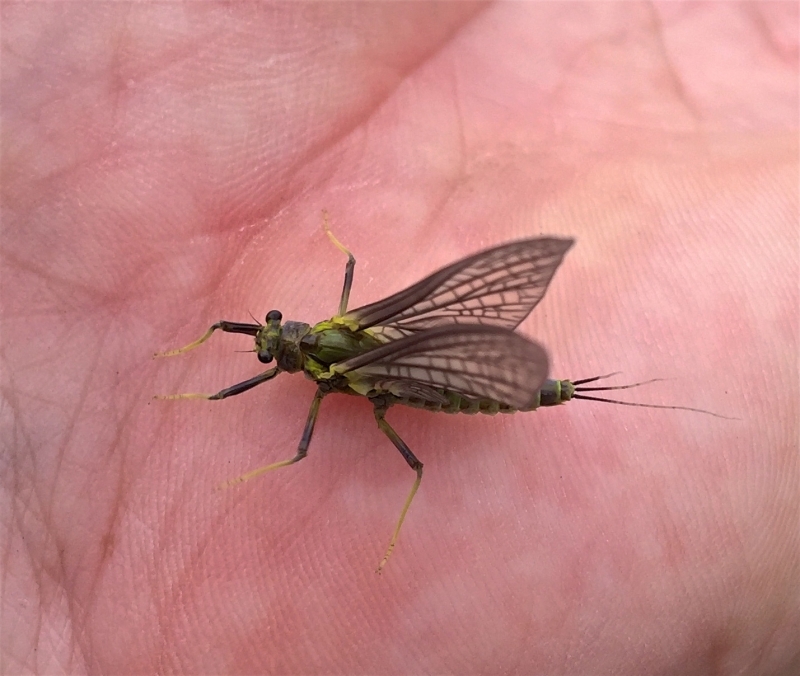 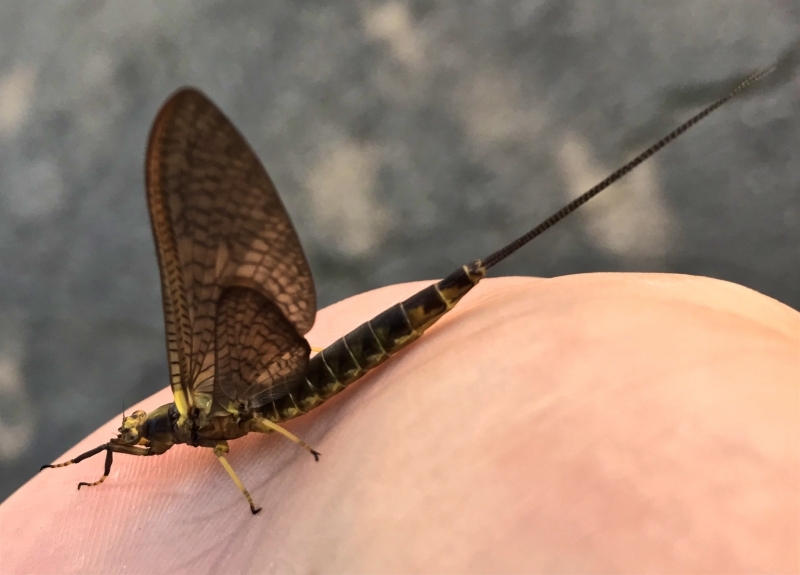 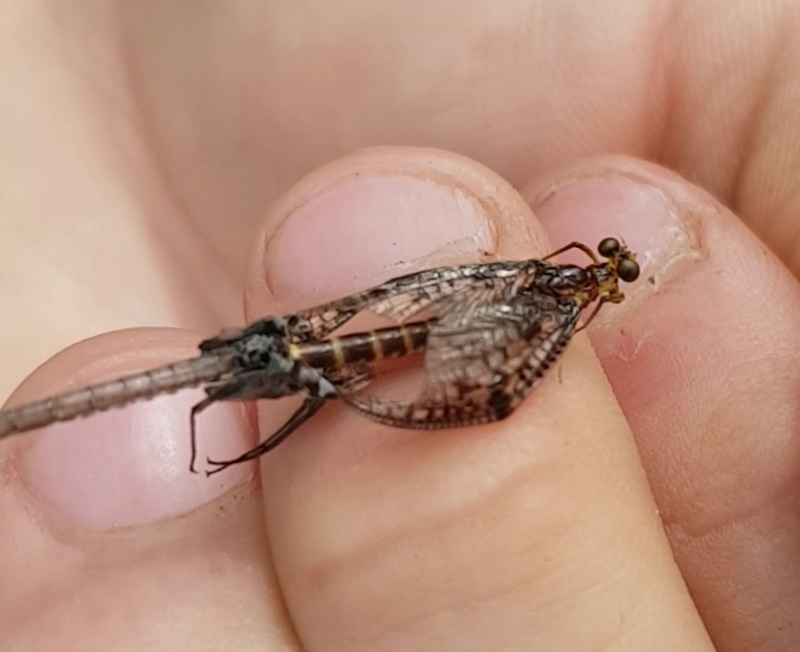 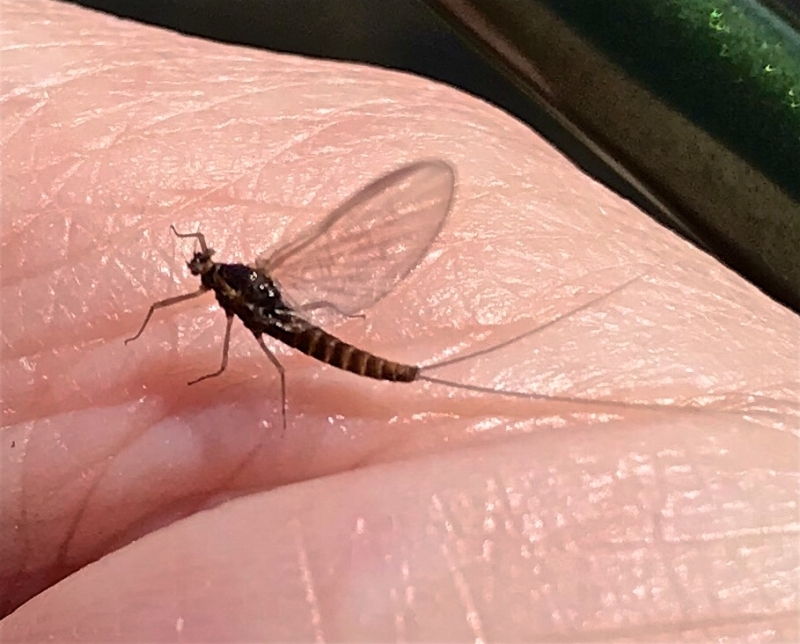 Time-honoured mayfly hatches such as the Hendrickson still occur, but they’re usually short-lived. 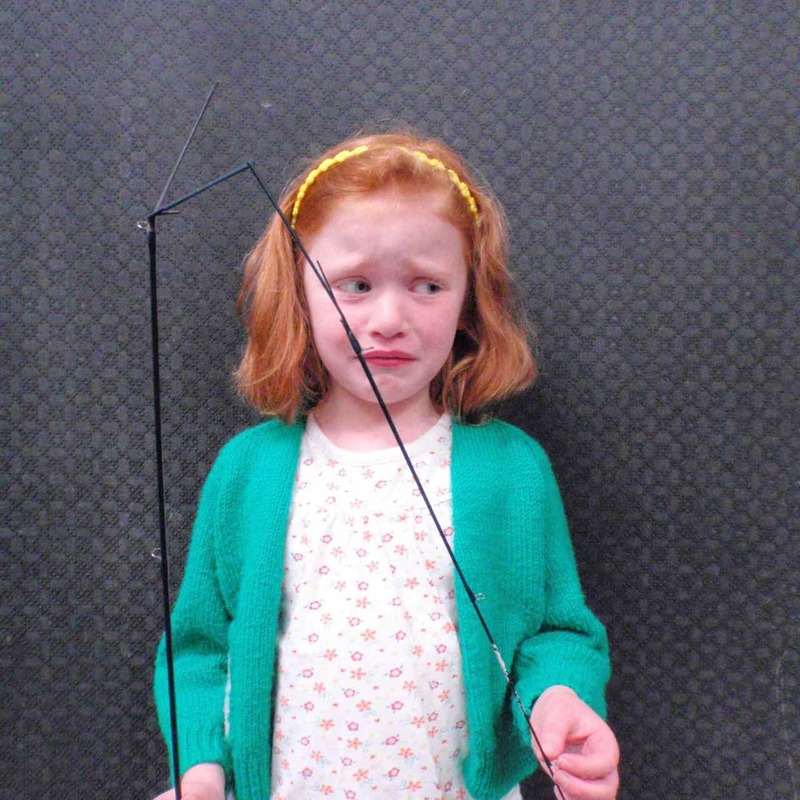 The lesson here? 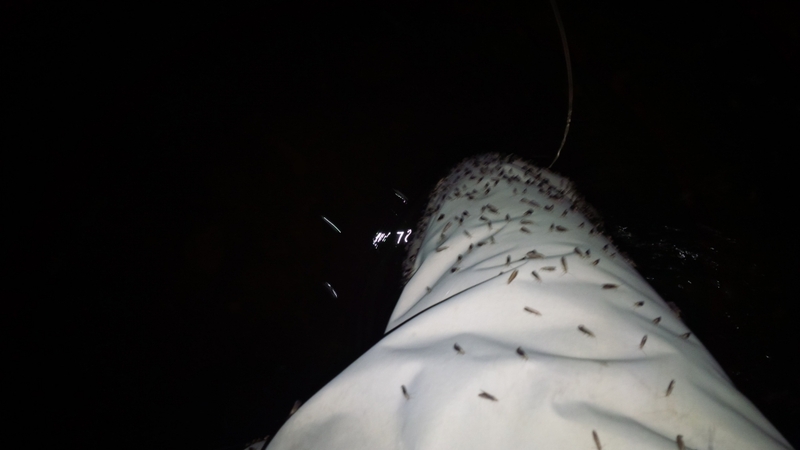 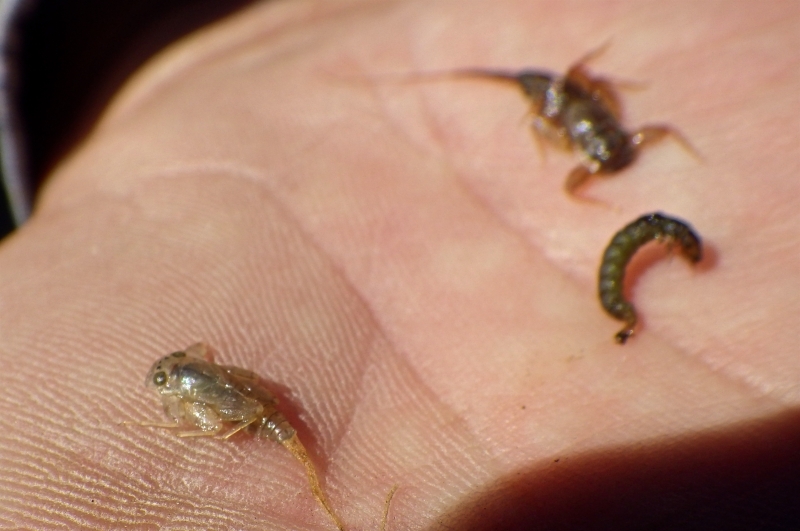 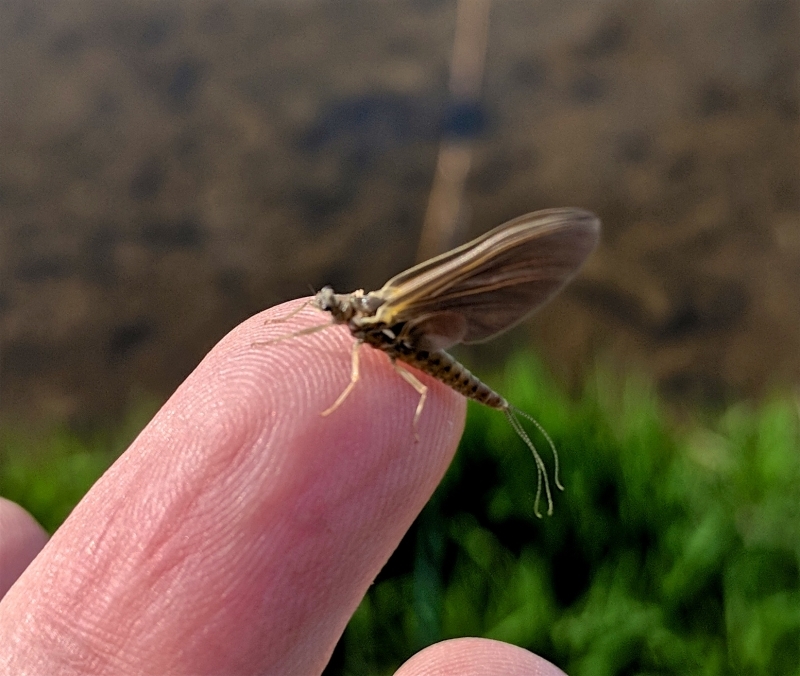 On rivers like the Grand, instead of feeling frustrated because you’re missing the classic hatches, hedge your bets instead by focusing on the insects that are locally abundant. 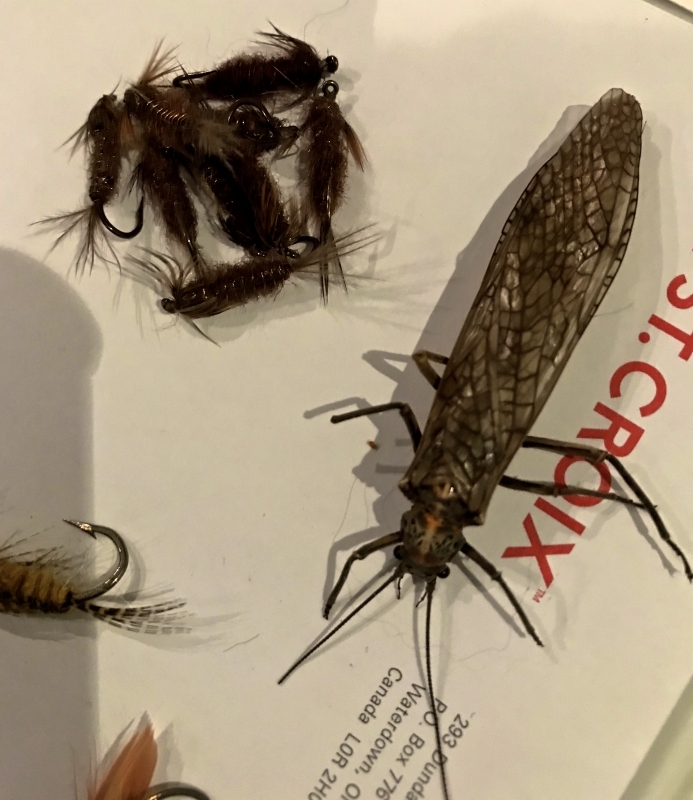 The situation on the Grand is by no means unique. 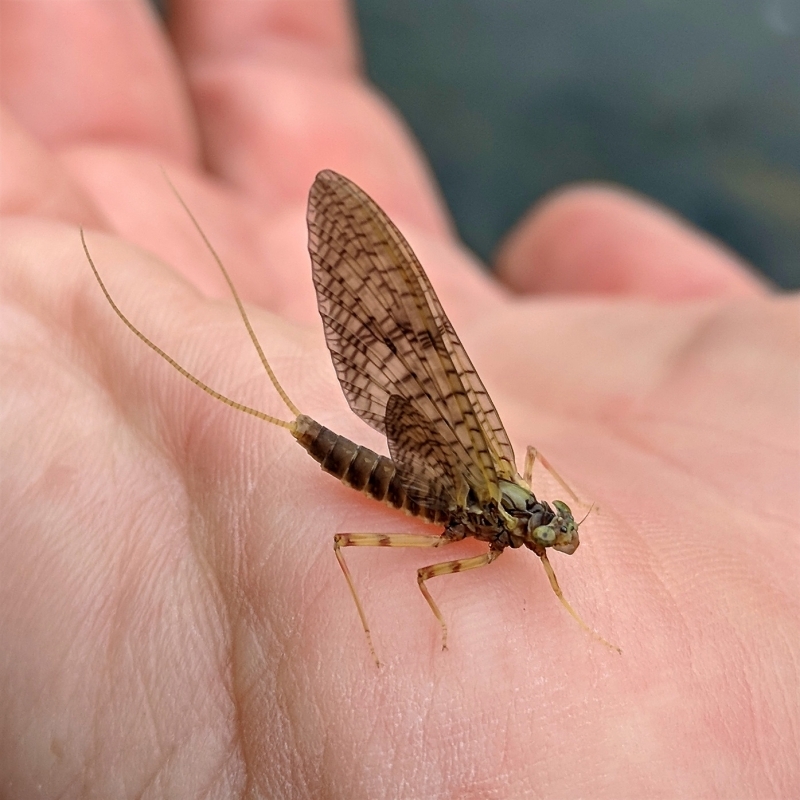 To better understand your local stream or river, be sure to learn about its composition and aquatic life from several different sources. 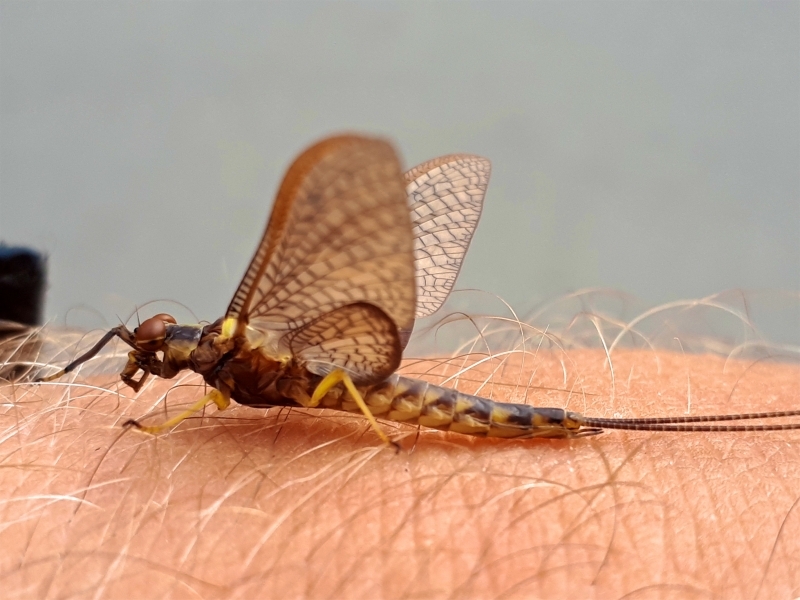 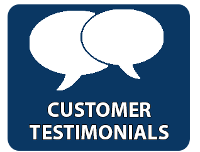 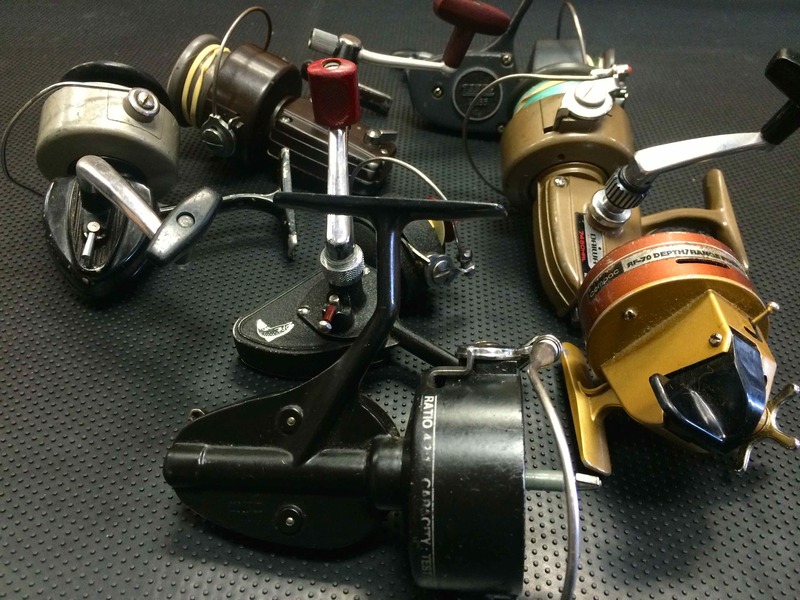 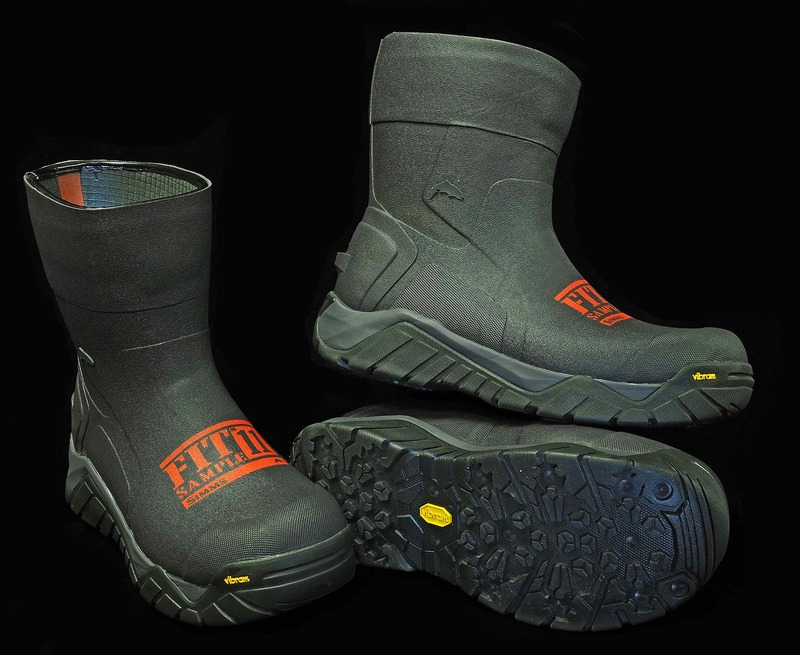 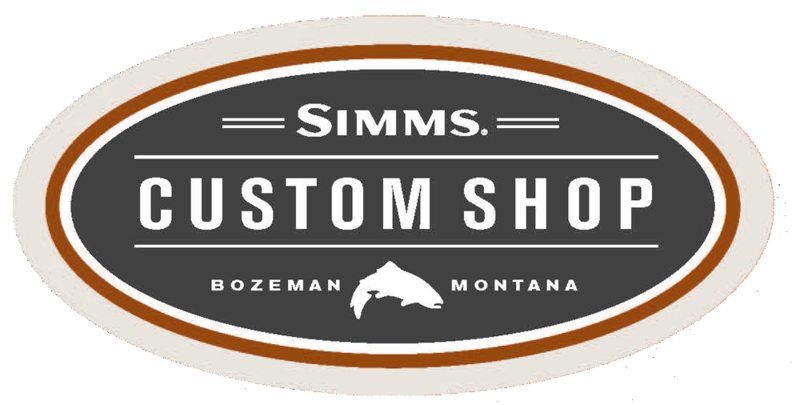 Fly shops ( contact us here ) can offer invaluable information, as can conservation authorities, government agencies and even environmental consulting firms that may have analyzed your home waters. 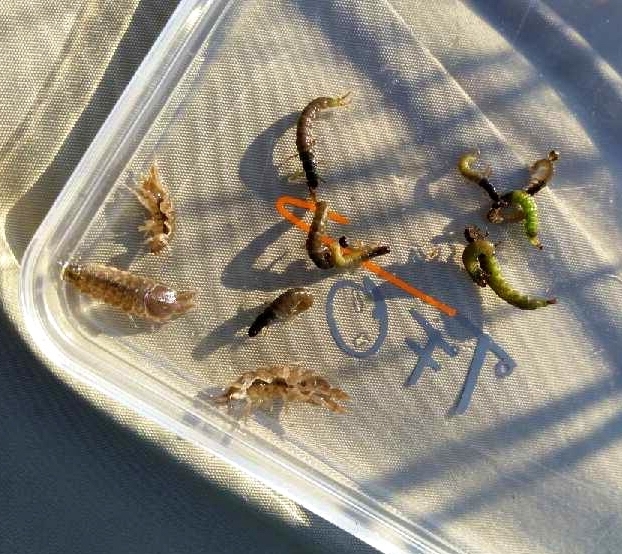 Combined, such research will help you to better match the hatch. 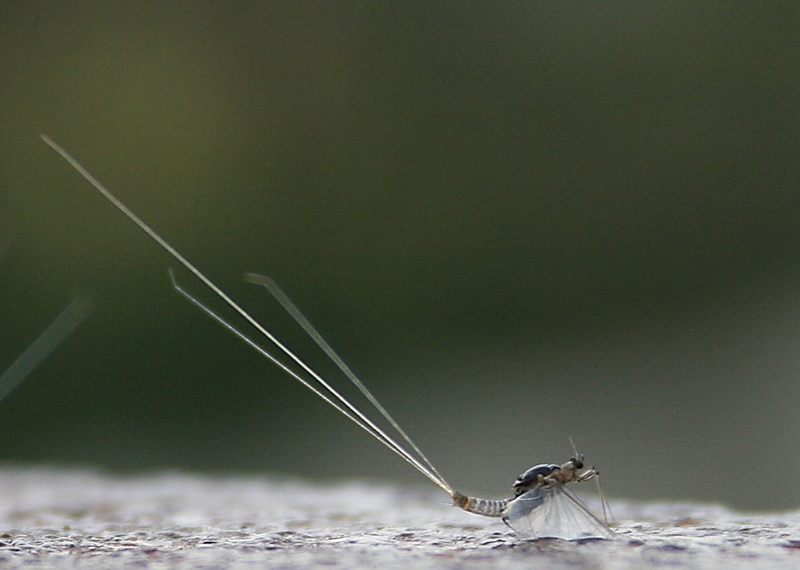 Let’s assume you’ve timed it right and the hatch is coming off with a vengeance. 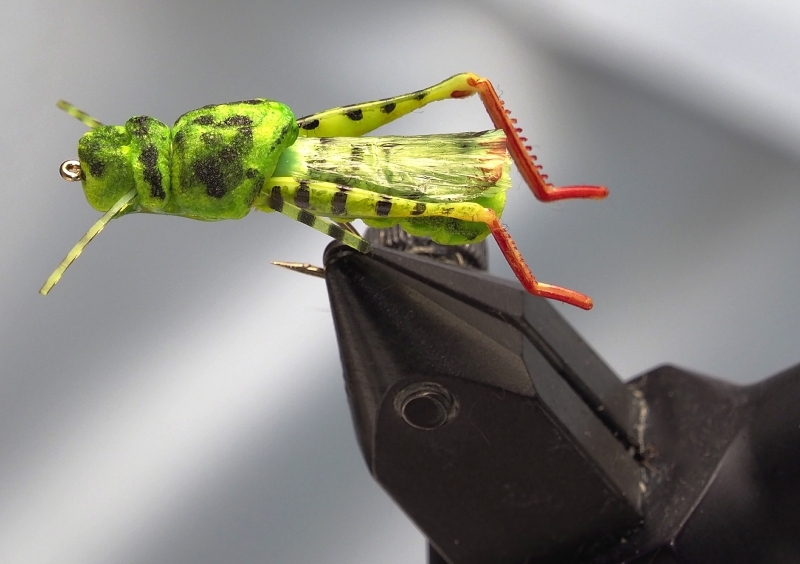 This poses a whole new set of complications, including how to precisely mimic the insects. 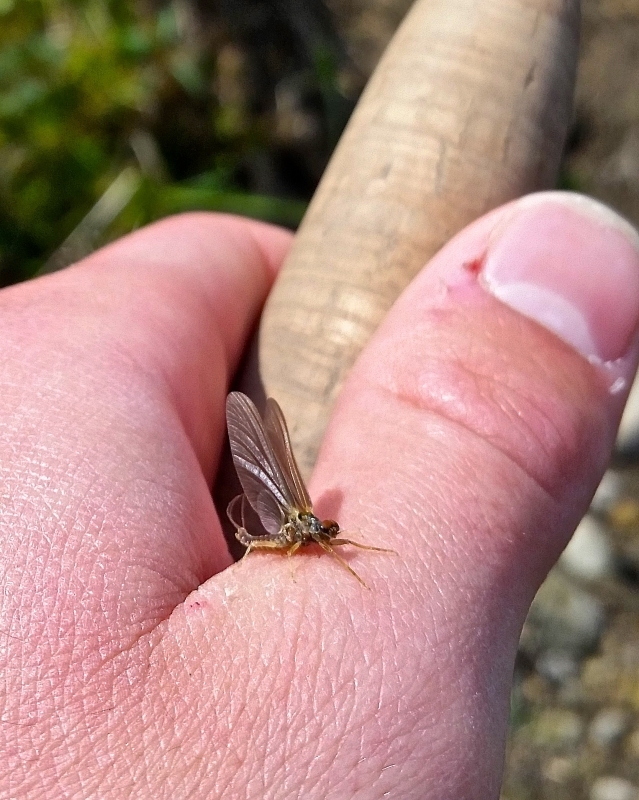 When a trout refuses a fly, we often assume it wasn’t a good enough replica or we somehow botched the presentation. 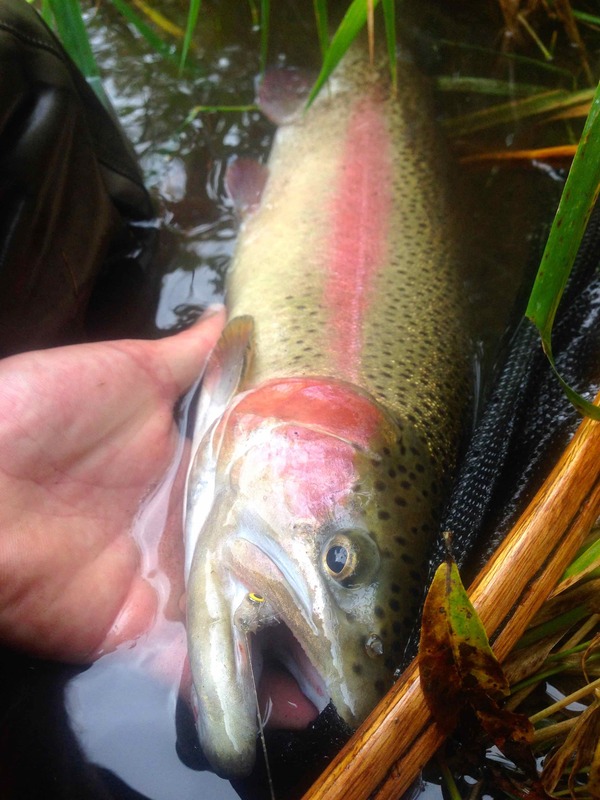 While this could be true, don’t give the trout too much credit. 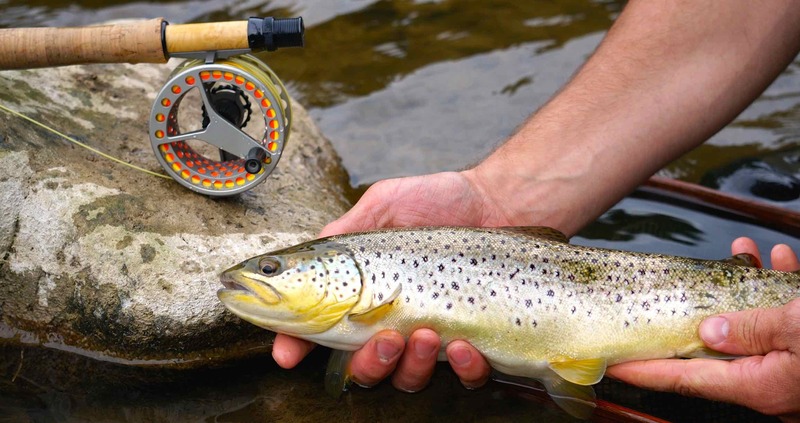 Renowned flyfishing writer and educator Gary Borger recently wrote about scientific studies of fi h intelligence that determined brown trout have an IQ of six. 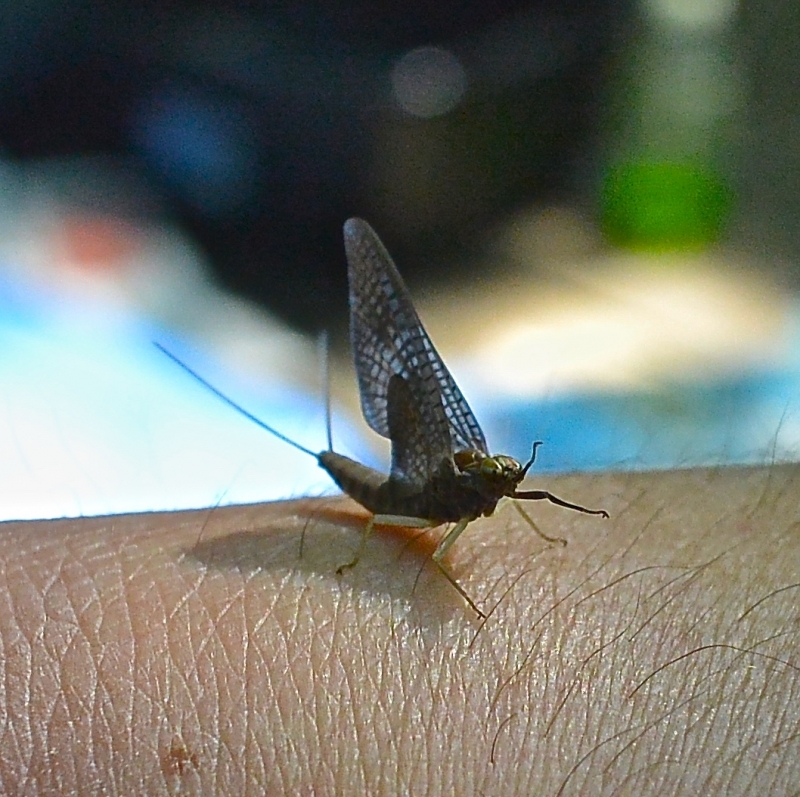 That’s right, six. 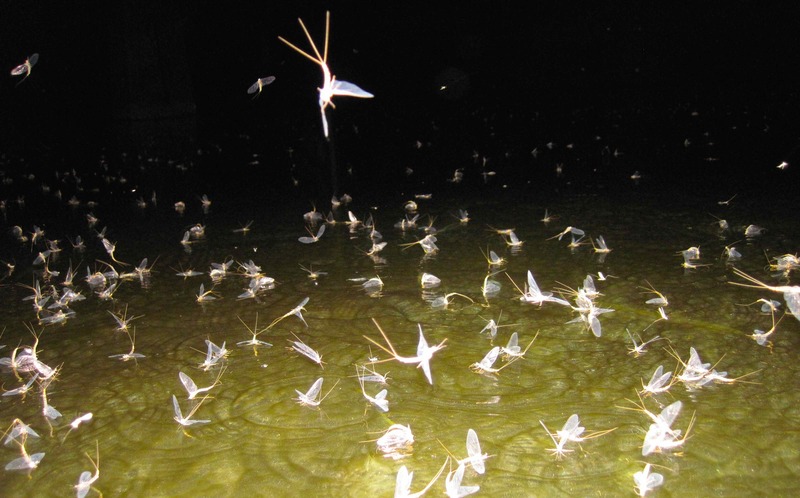 Clearly, these wily creatures are not as smart as we think. 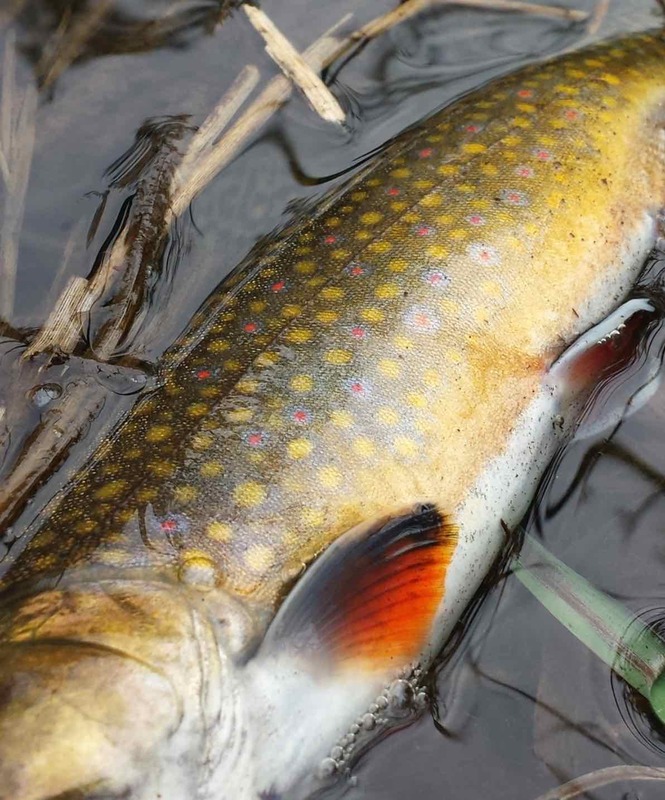 Granted, once a trout is caught a few times it may become a bit smarter—but not much. 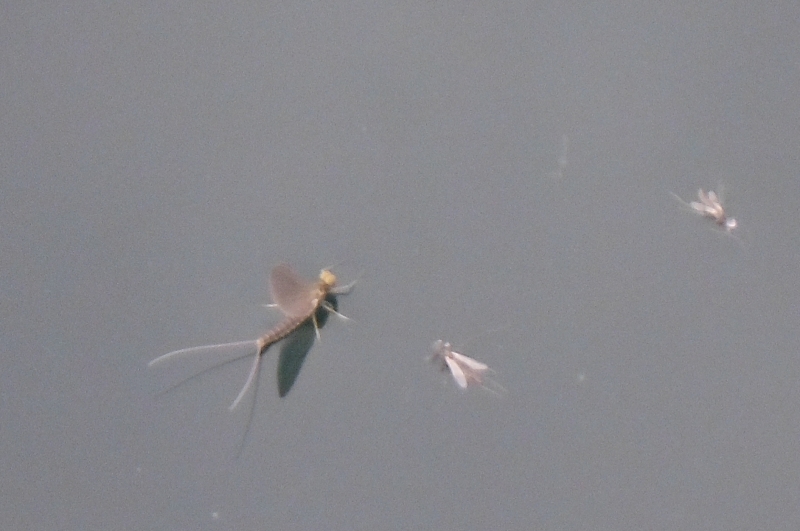 selected by a feeding fish. 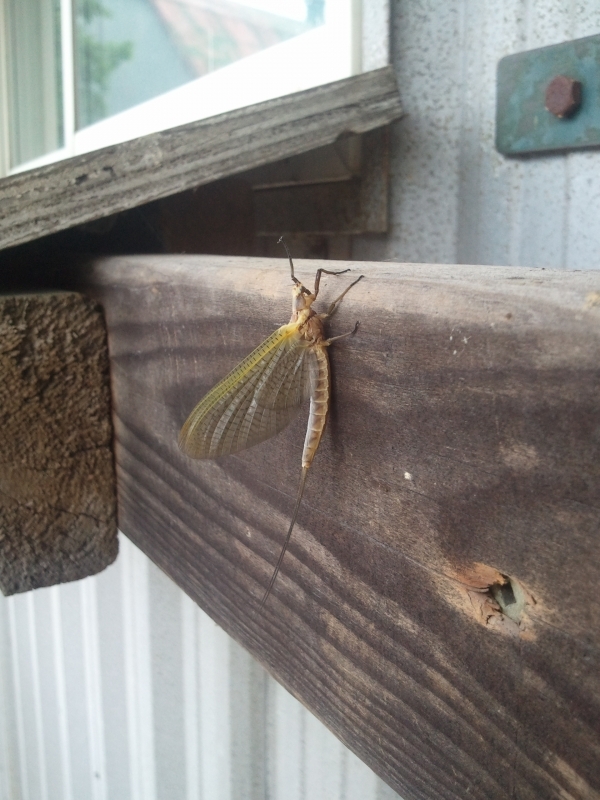 Try overcoming this exasperating situation by not matching the hatch so closely. 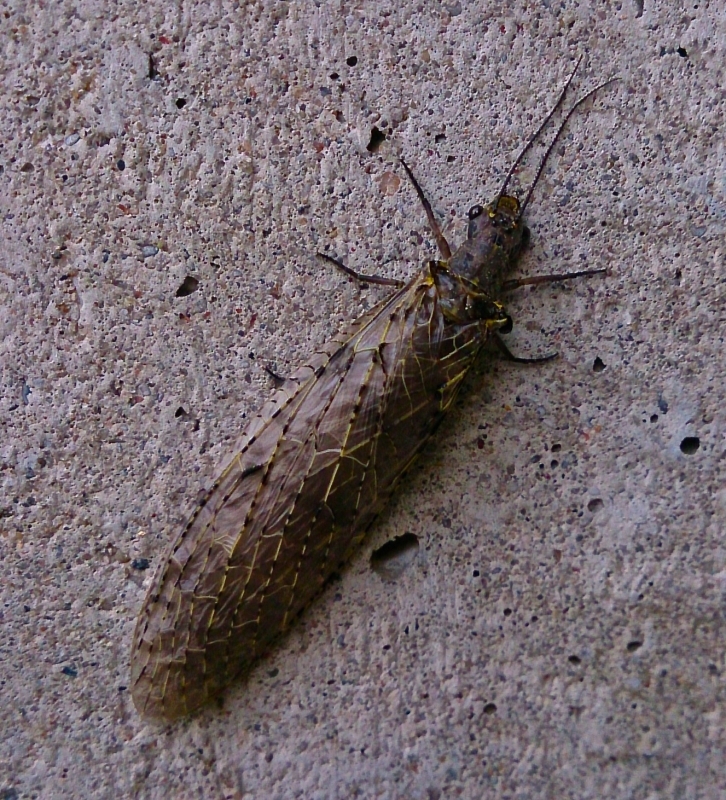 For starters, tie on a larger version of the hatching insect. 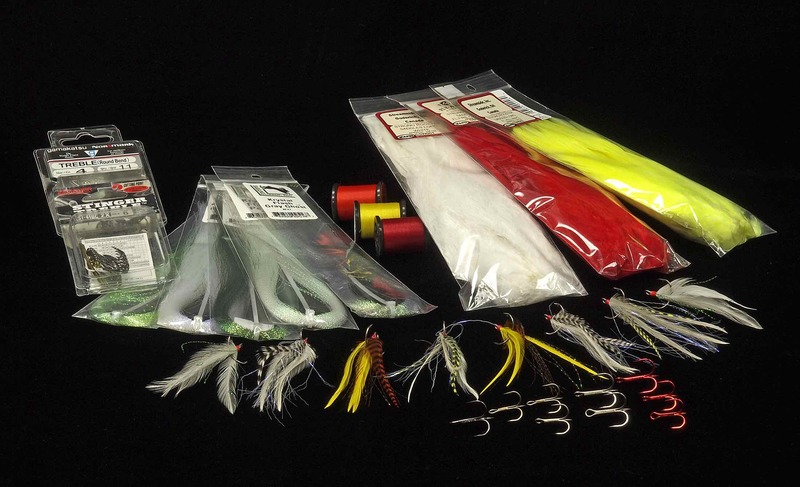 If the trout don’t want that, change up the colours. 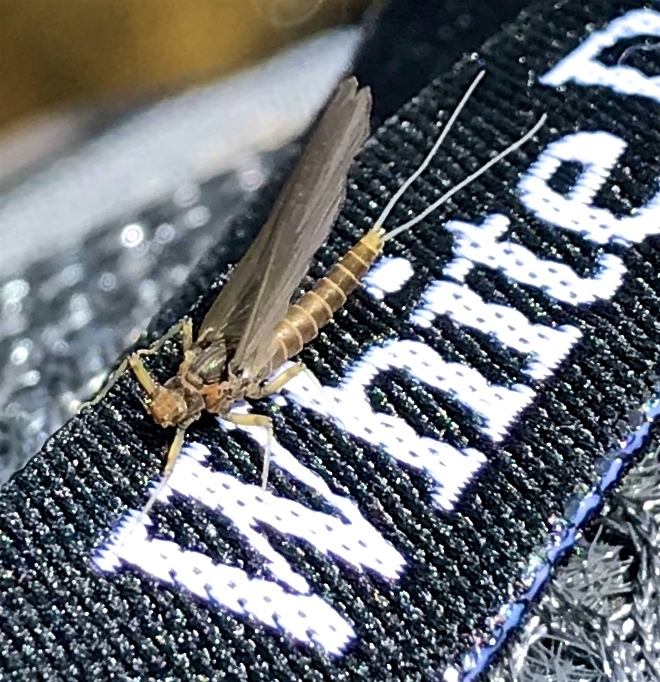 The goal here is to make your fly stand out as a larger-than-life alternative—just as the thickest, juiciest steak on the grill is the one that catches your eye. 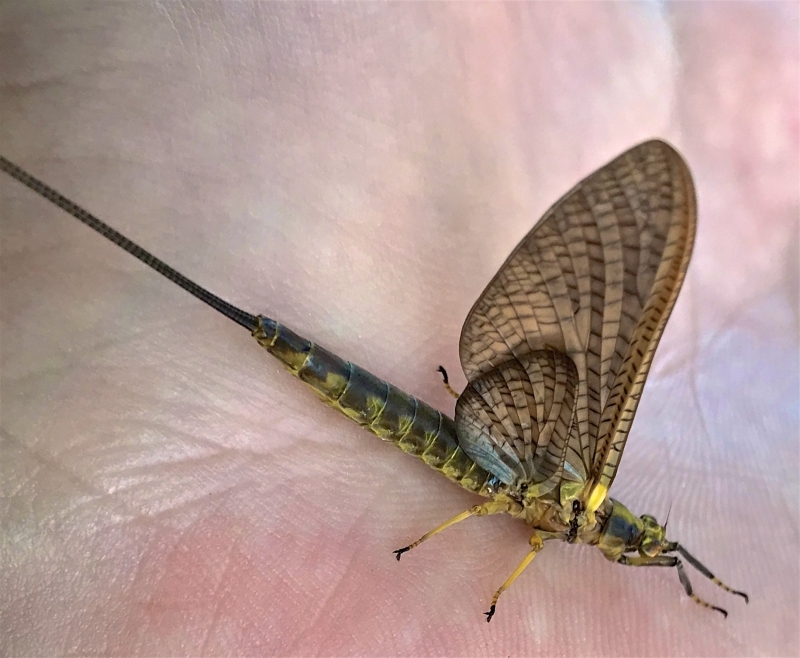 During a heavy hatch, trout of all sizes will gorge on the abundant insects, but the very biggest fish will still want more. 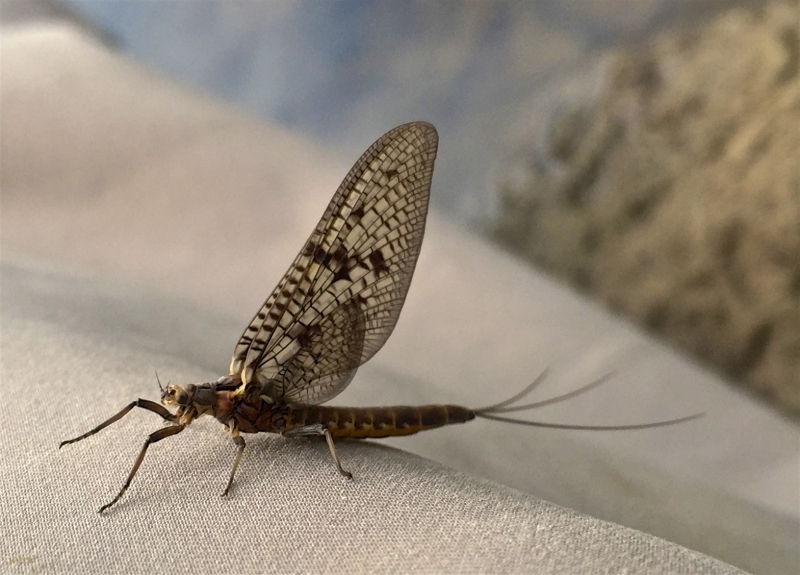 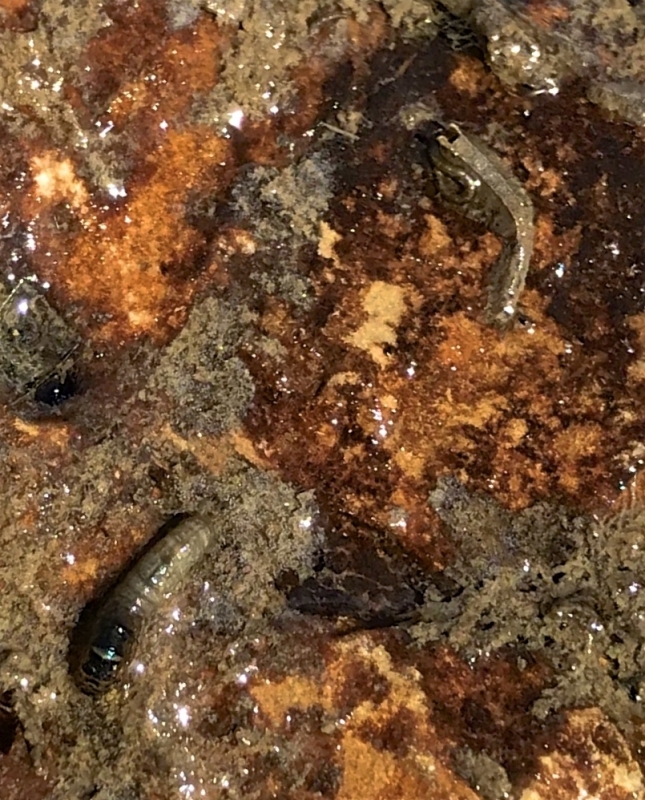 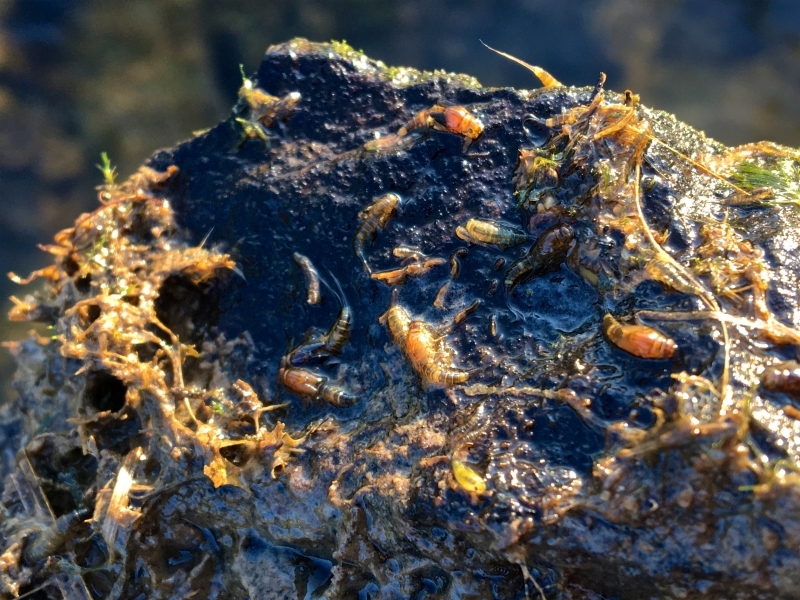 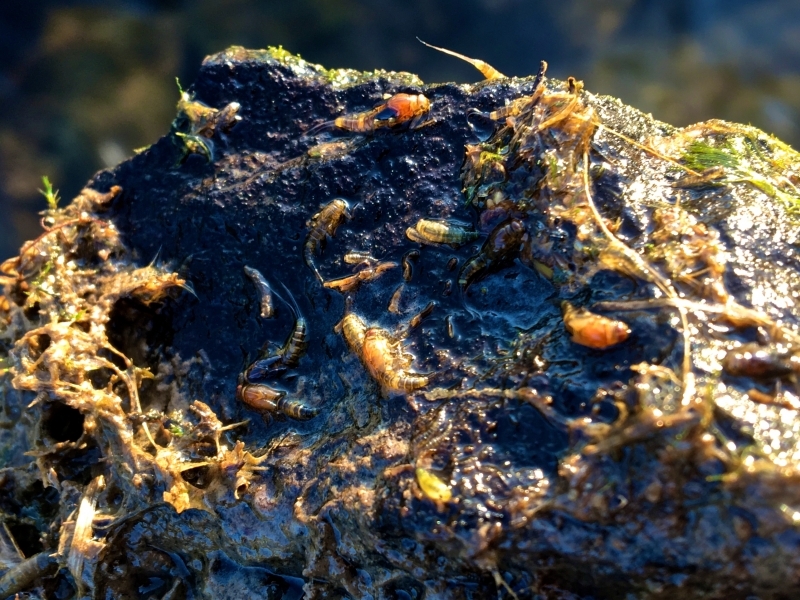 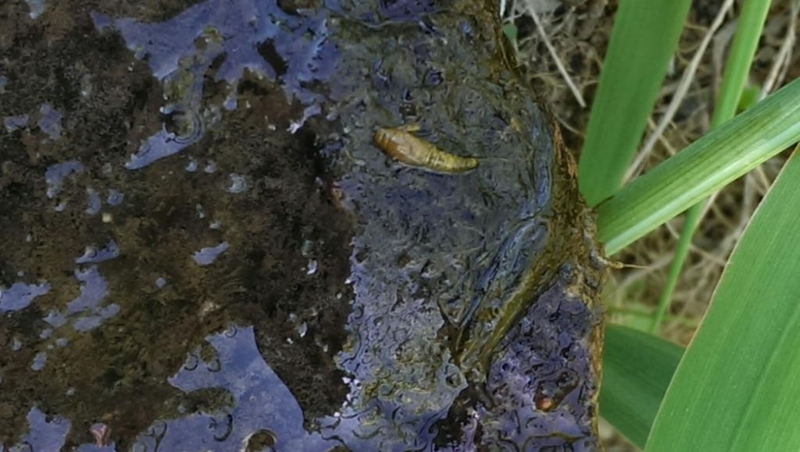 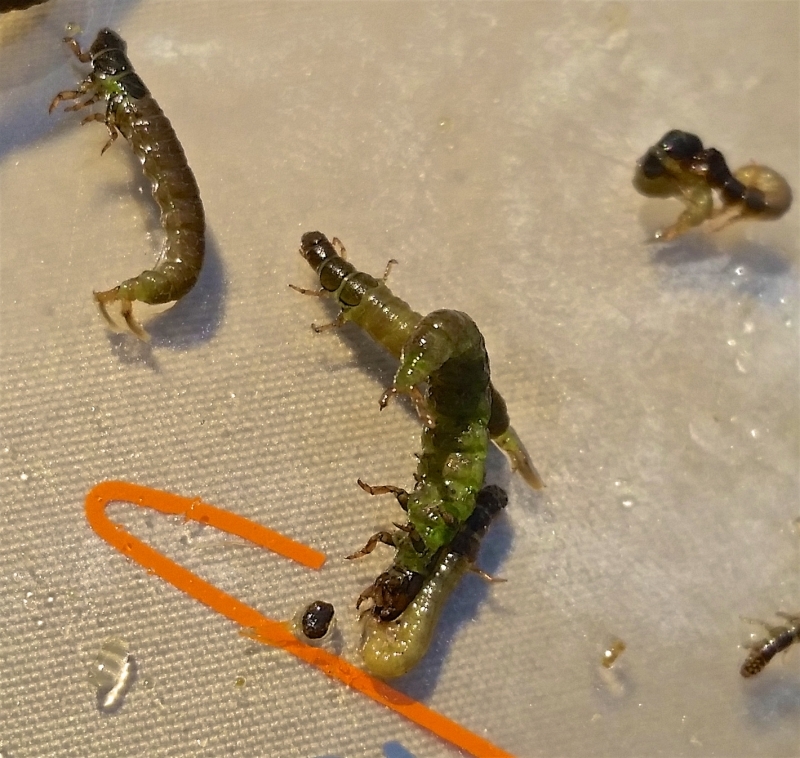 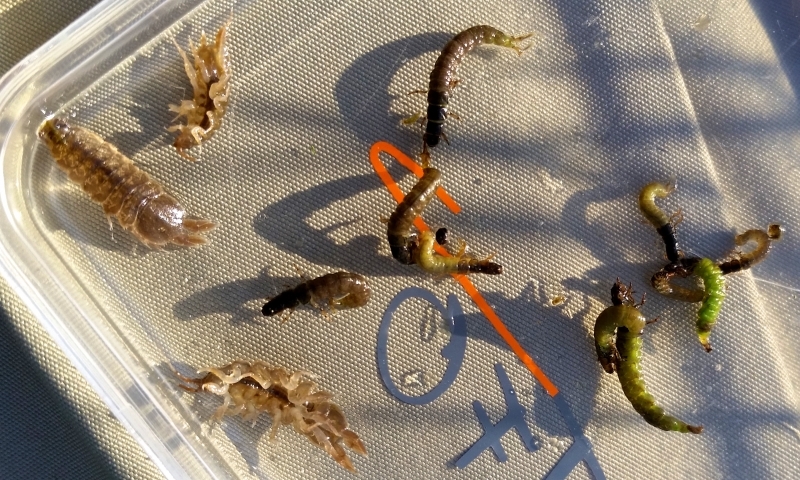 For a true lunker, rising to sip small food items—even protein-rich caddis- or stoneflies—means expending too much energy for too little benefit. 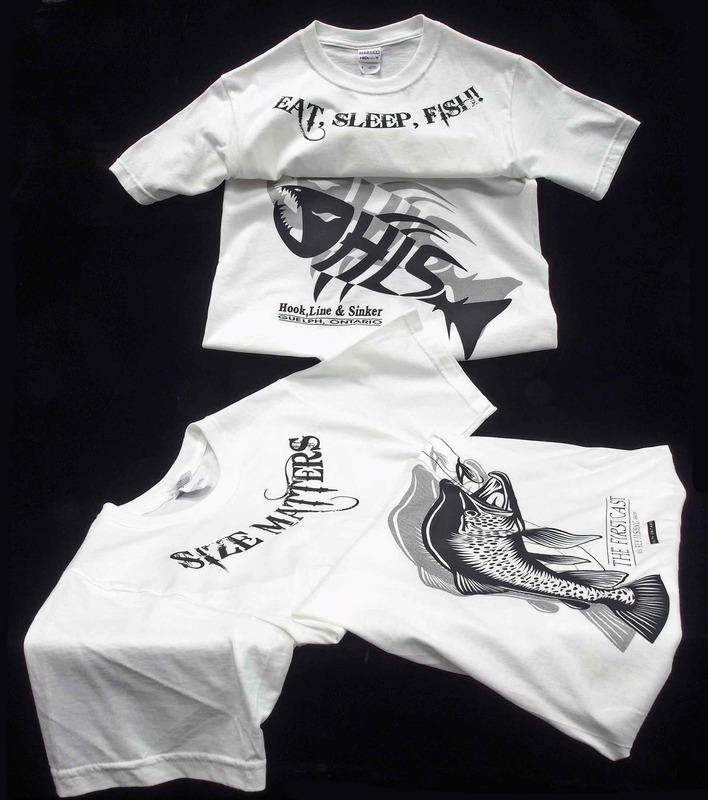 Instead, the largest fish will feed primarily on baitfish such as sculpins, shiners and sticklebacks. 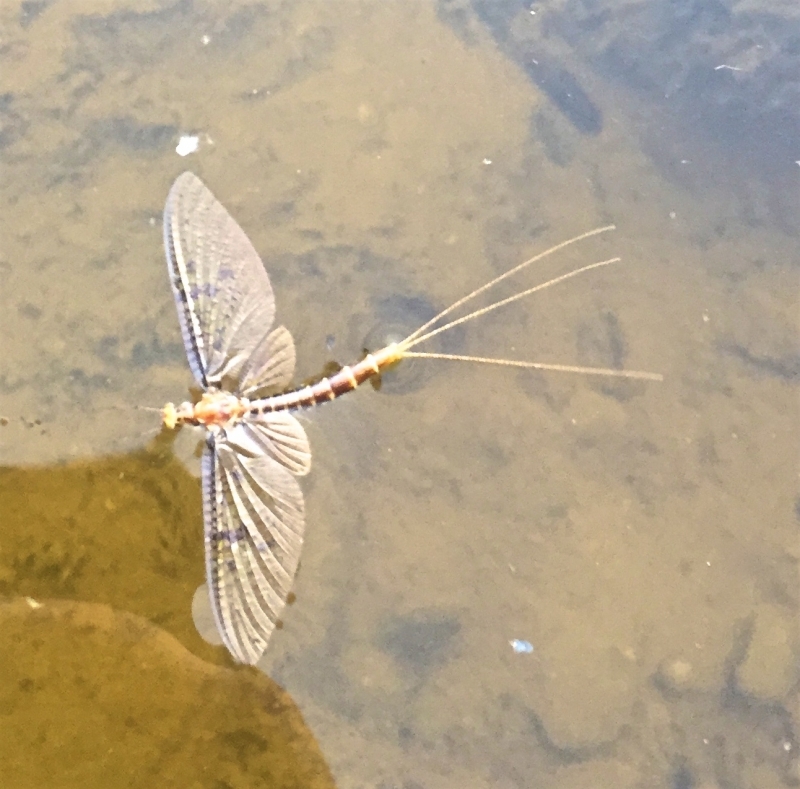 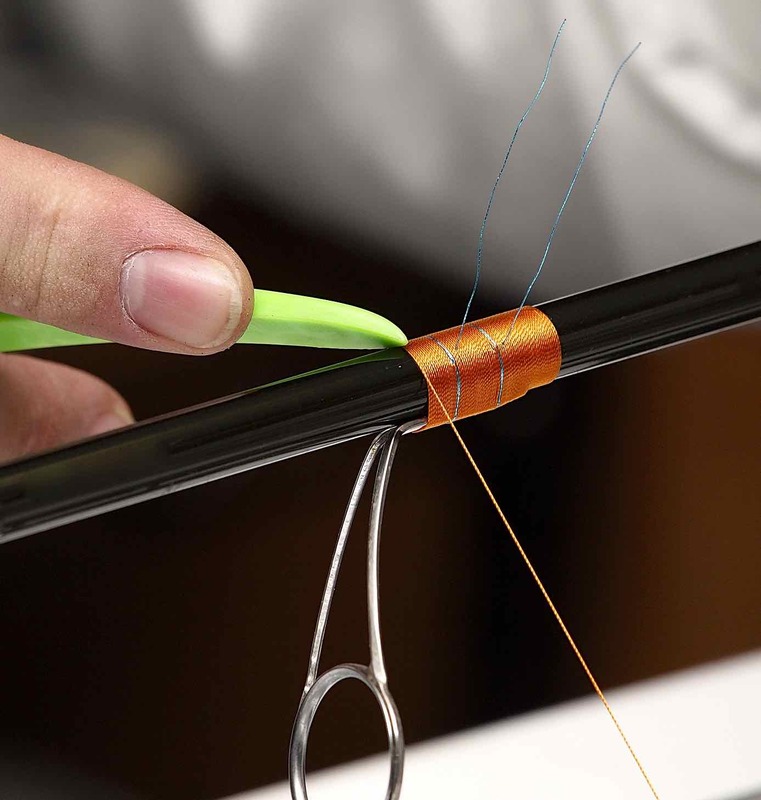 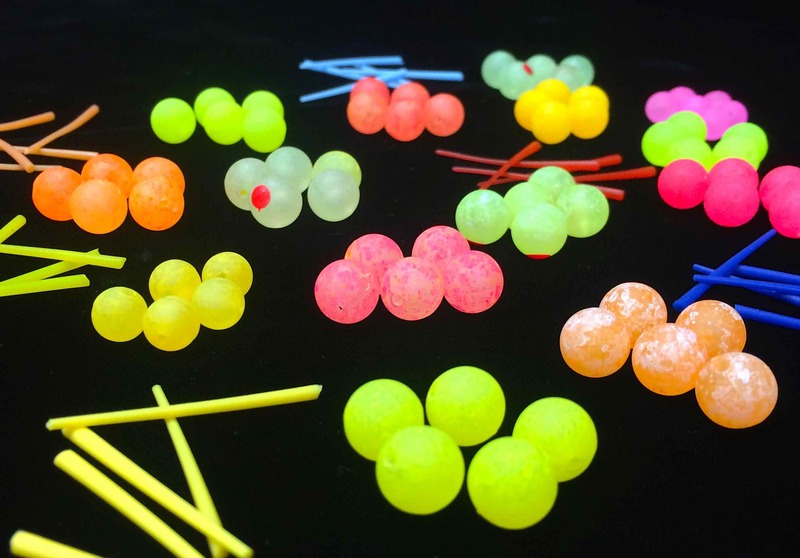 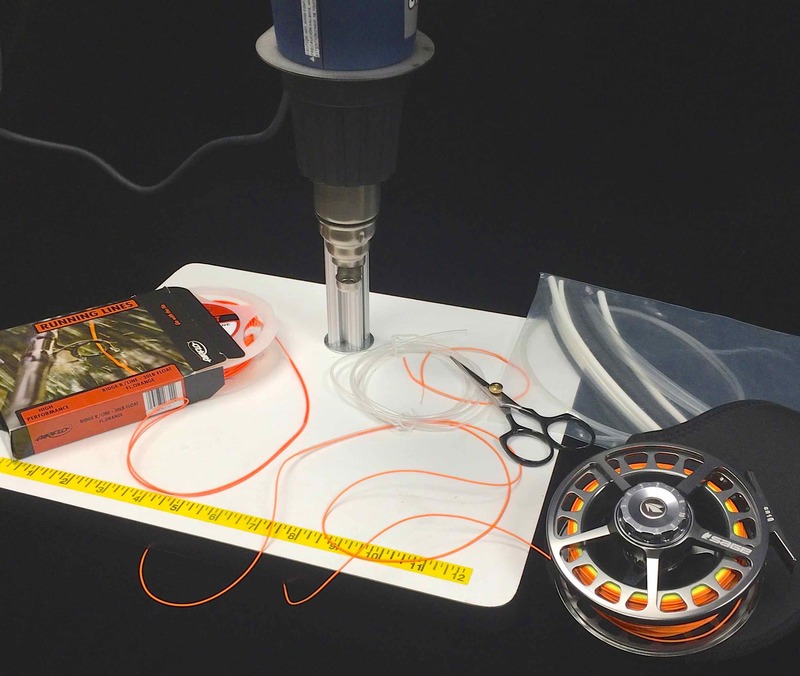 If your goal is to catch truly big stream trout, then, forget the hatches and instead strip streamers through deep pools during low-light periods. 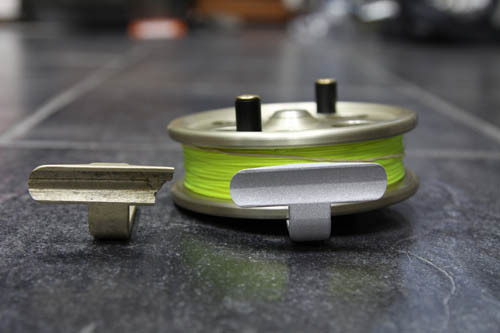 If trophy browns are your target, cast streamers during the pitch black hours and you’ll almost certainly hook your biggest trout of the season.